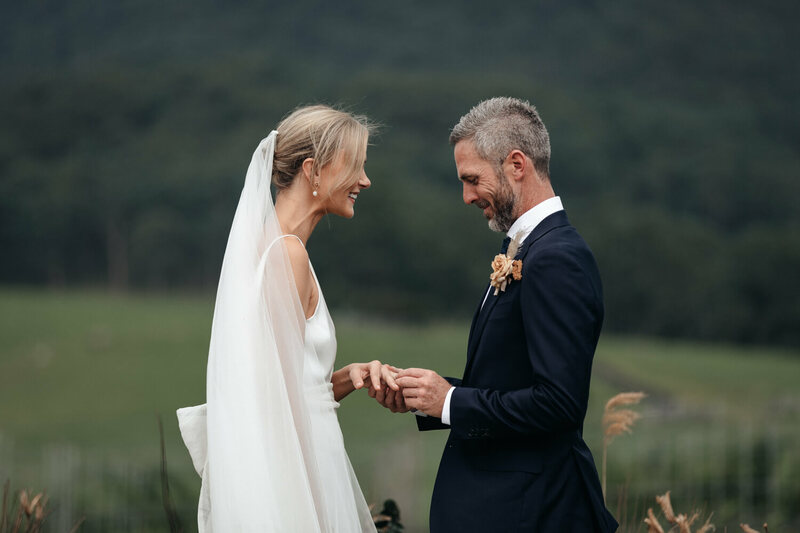 There were so many incredible moments which took place during this Melross Farm wedding, I honestly don't know where to begin. 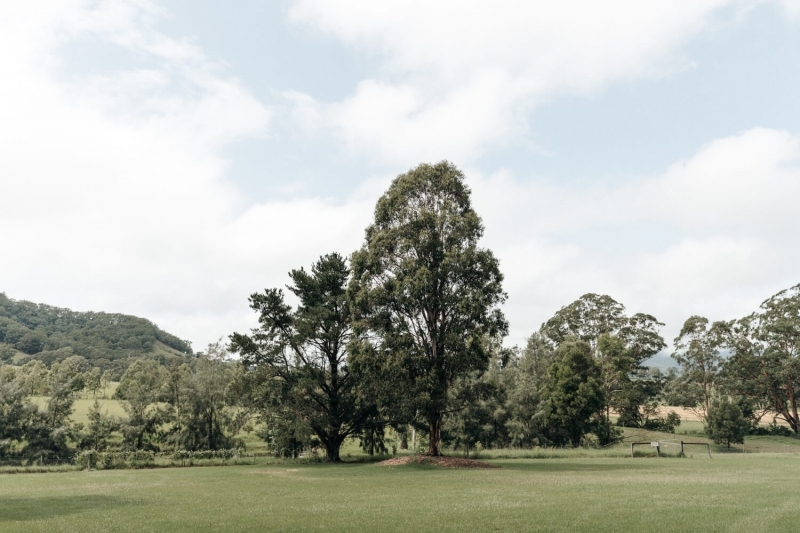 If you have been to Kangaroo Valley before then you'll already know that it's a pretty special place. 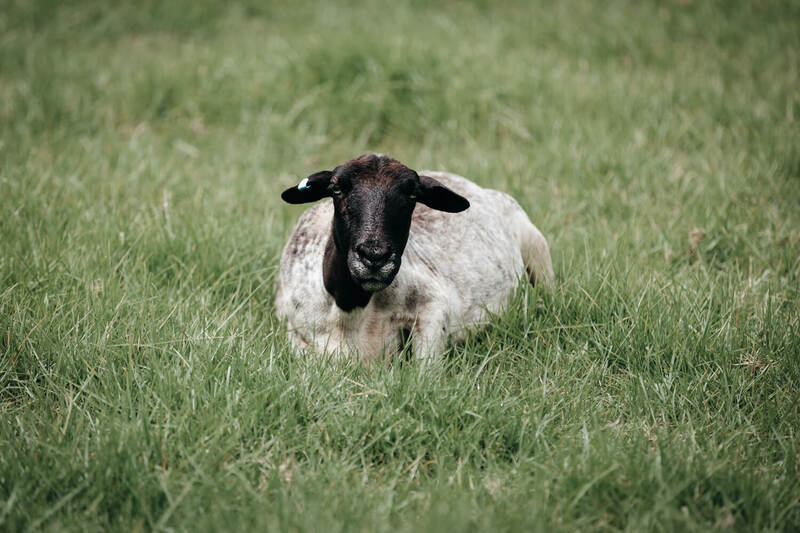 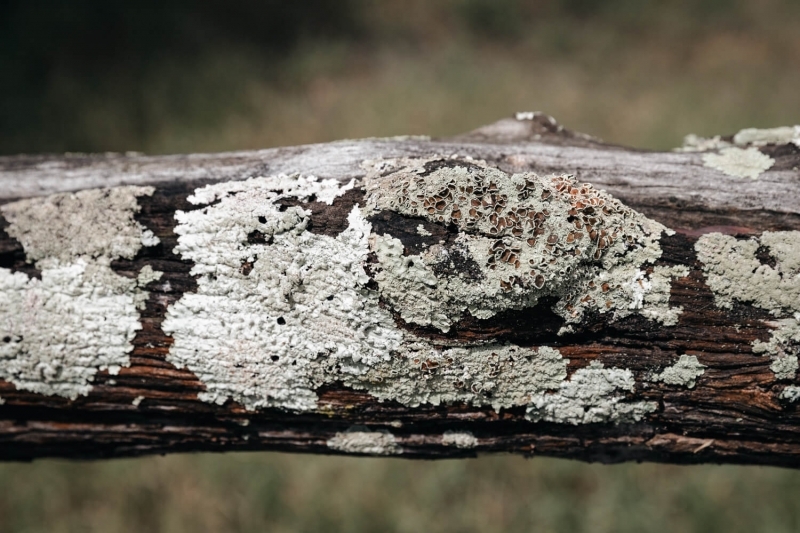 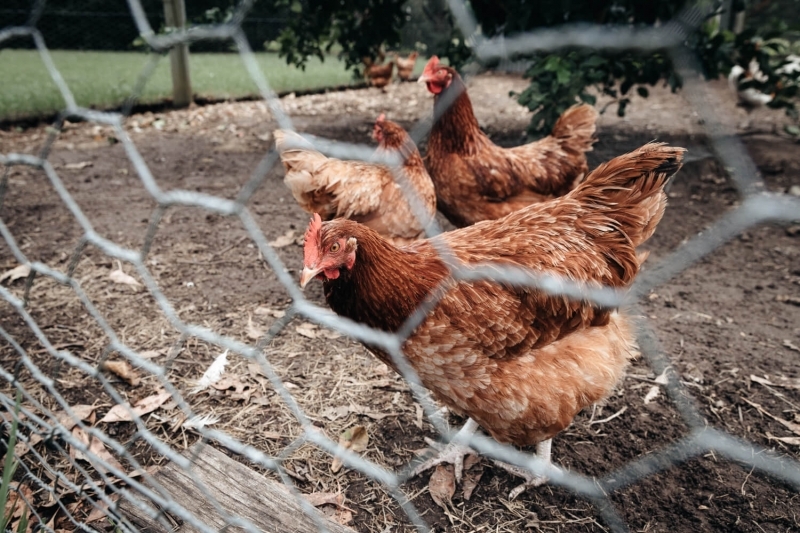 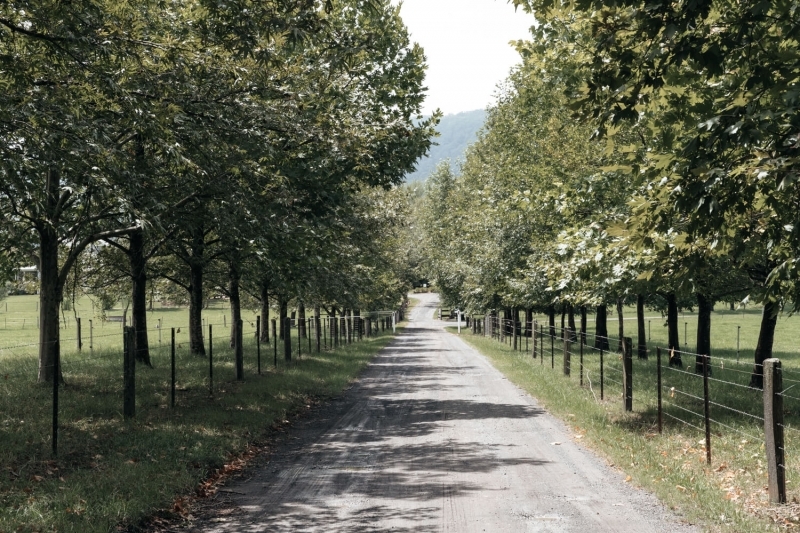 Think of country NSW with rolling green hills, bushland, open paddocks and farm animals. 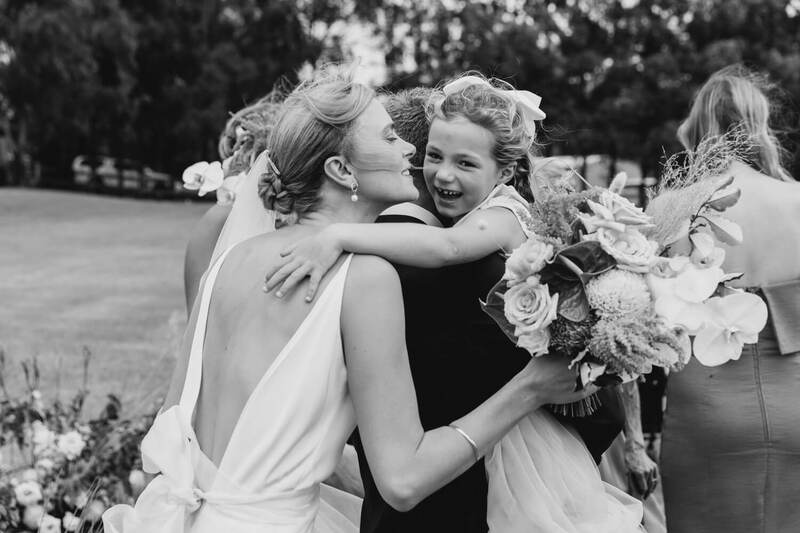 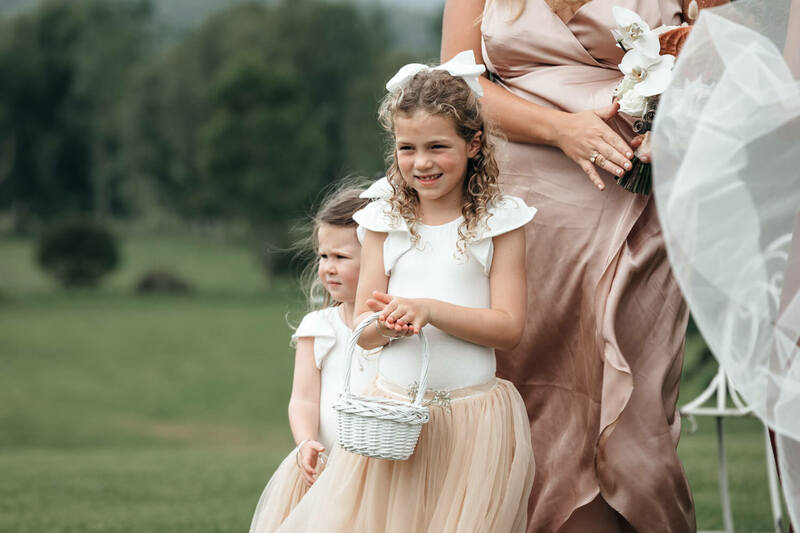 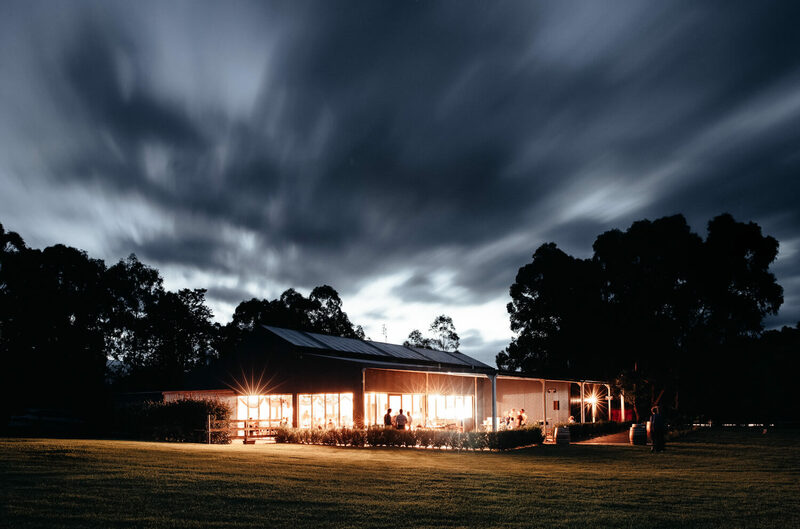 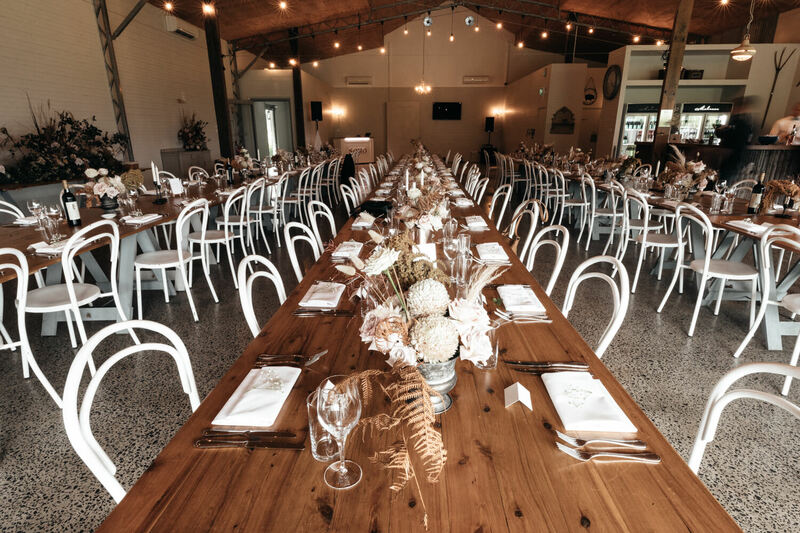 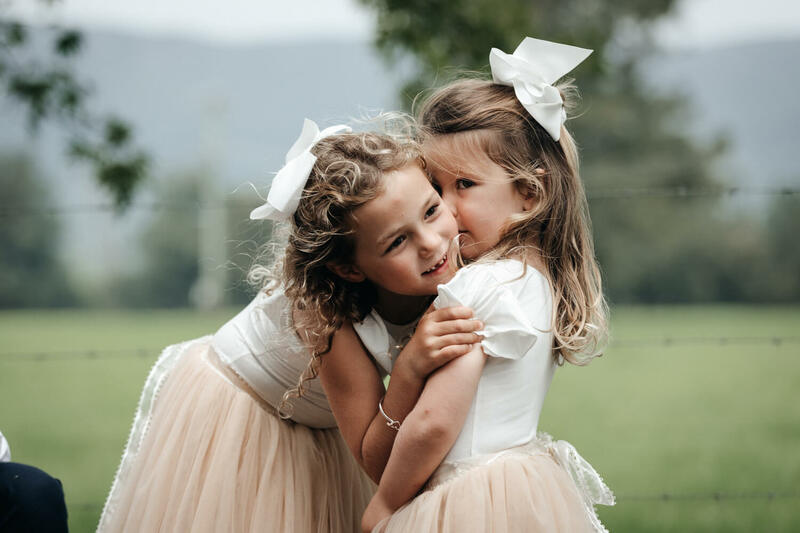 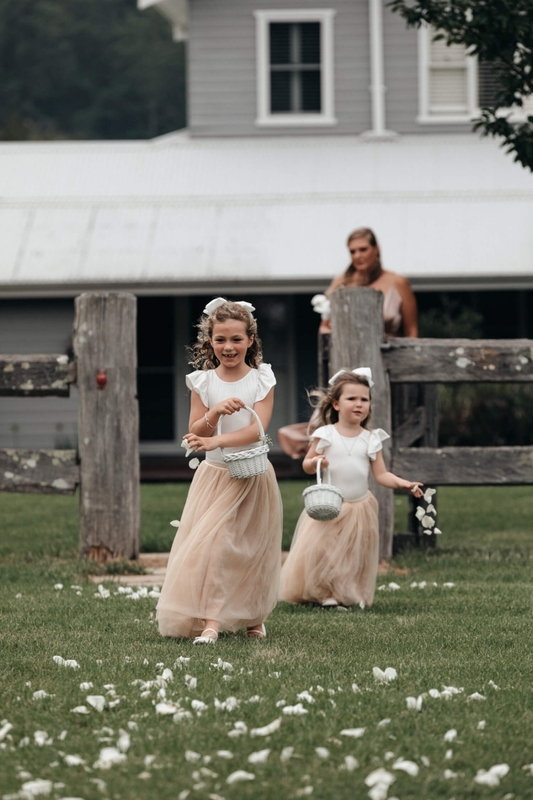 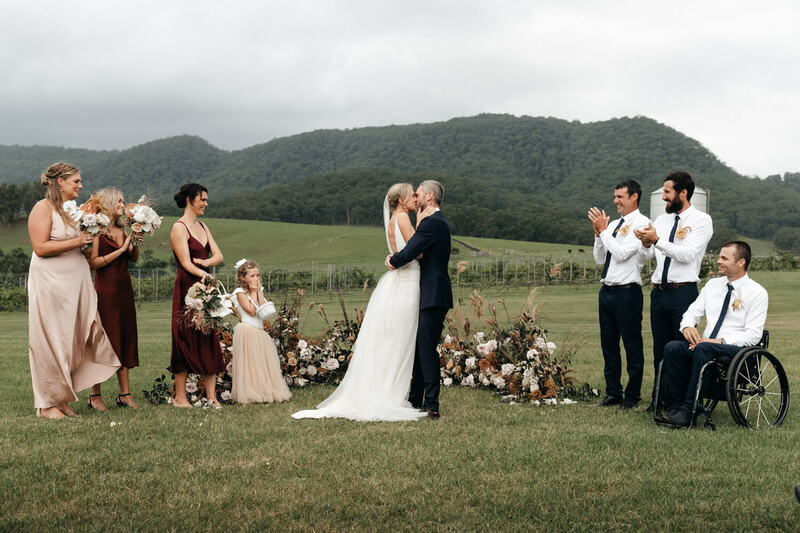 Melross Farm in Kangaroo Valley is the quintessential country wedding venue which has all the charm. It's easy to see why Elise and Jono decided this was the perfect location to tie the knot. 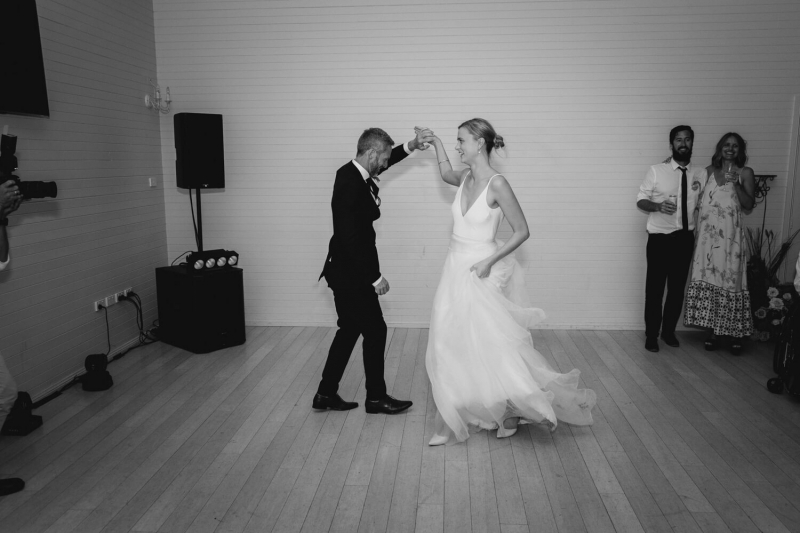 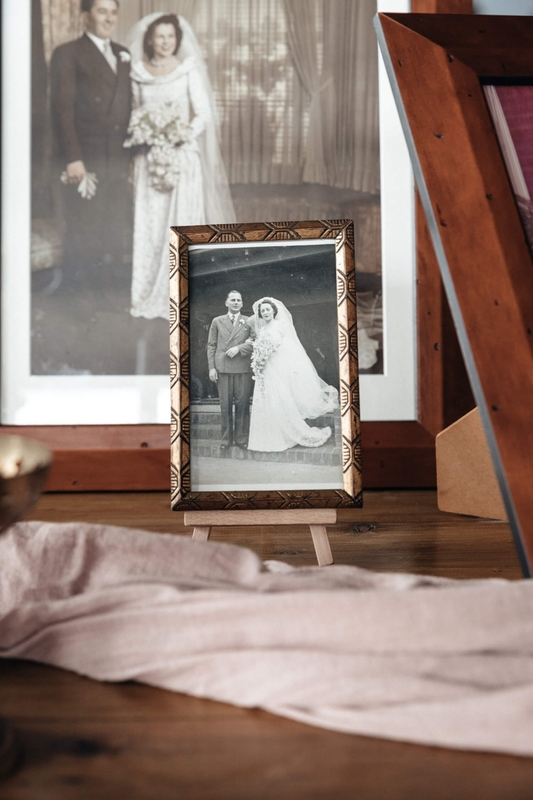 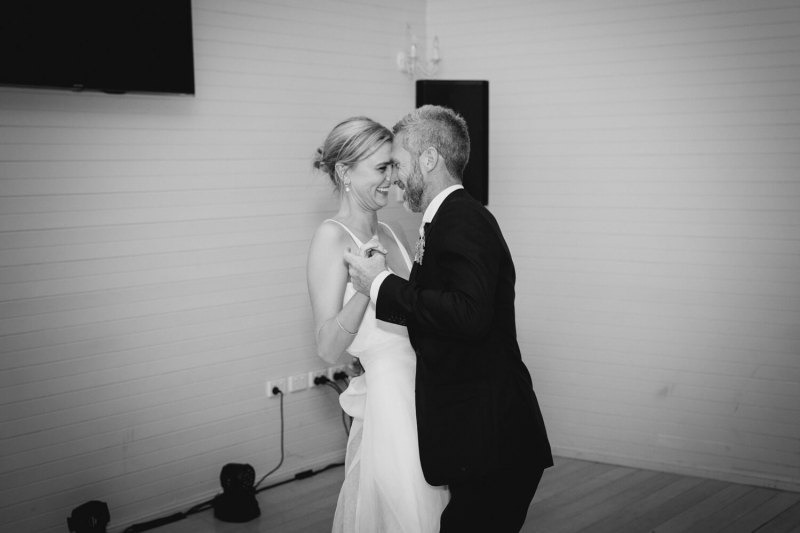 As a wedding photographer, there are a few key components that we hope for on a wedding day. 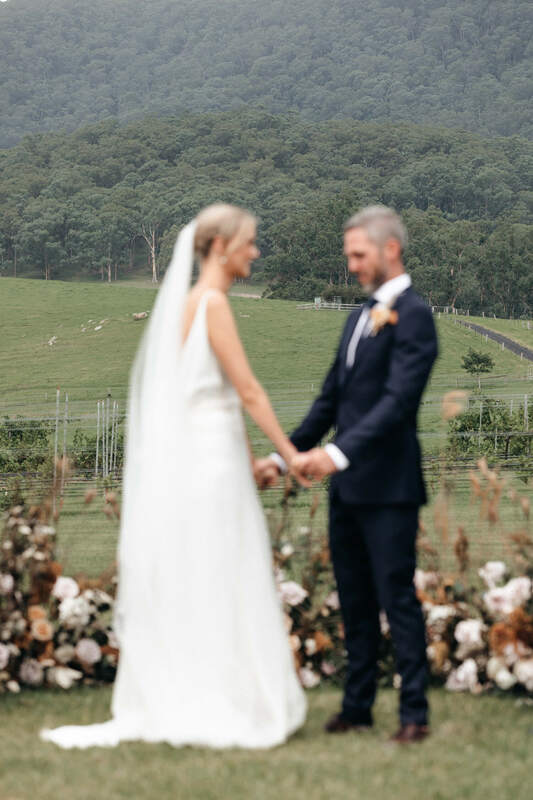 If I were to list these in order of preference it would be good light, a noticeable chemistry between the couple and finally a nice venue or setting. 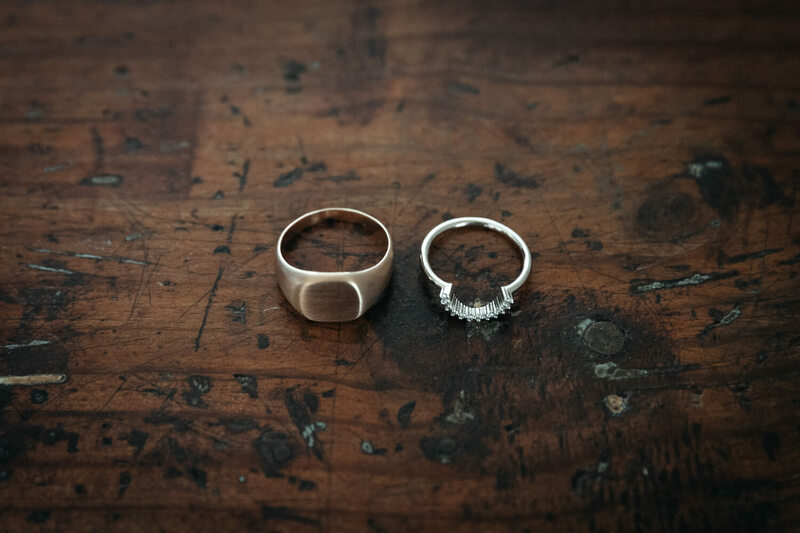 If we manage to get at least two out of those three elements, then we know it's going to be a pretty good day. Should we happen to get all three, then that is the ultimate combination. 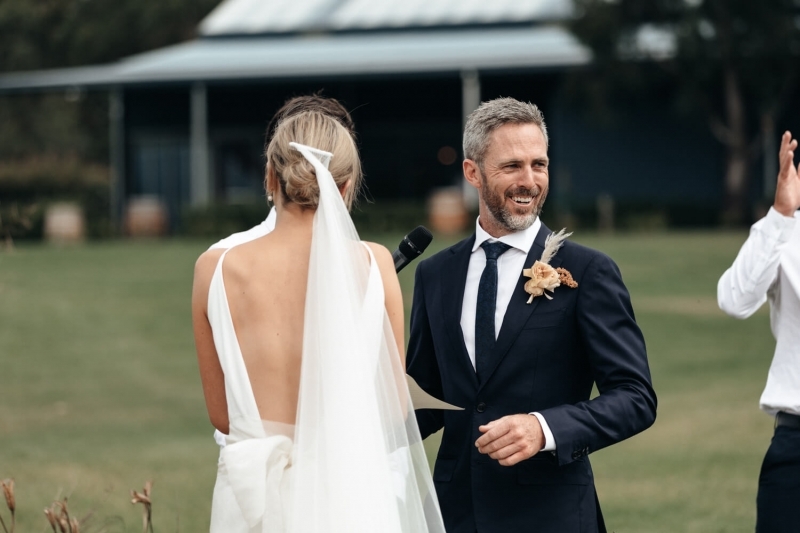 Elise and Jono all ready had the chemistry and the venue - Melross Farm sorted. 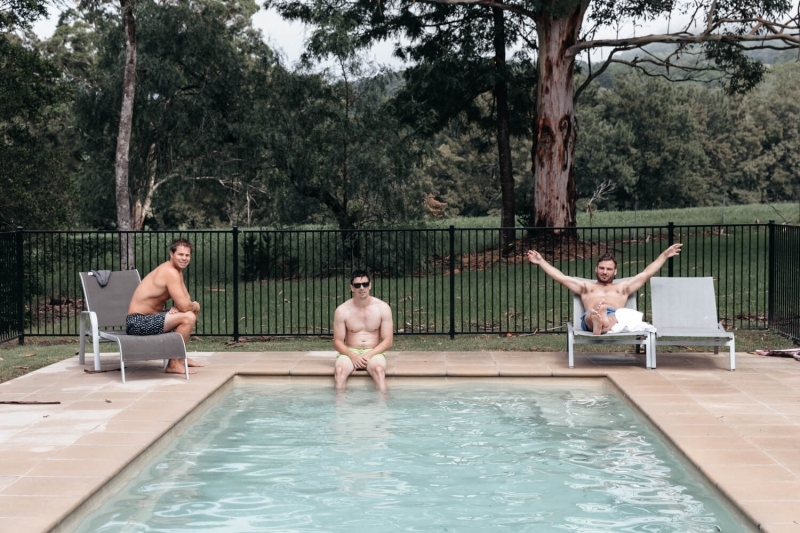 All they could do was hope for the weather to play nice. 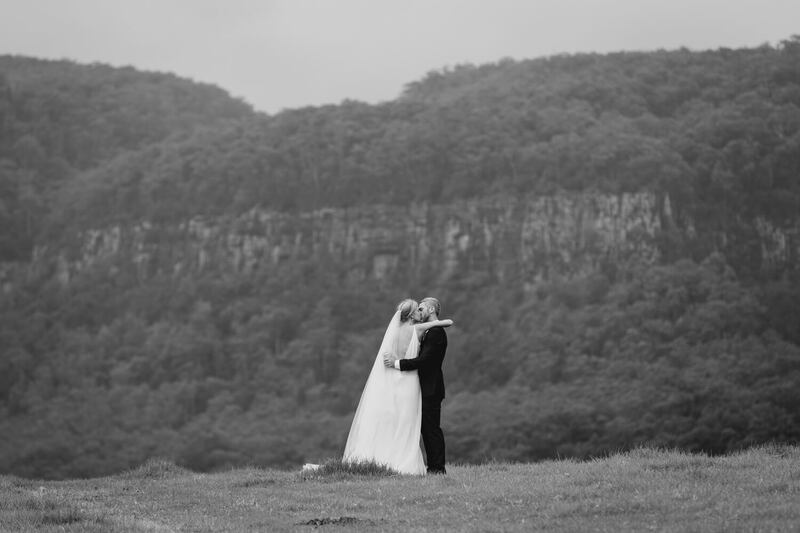 It would seem that on this occasion, luck was on their side as the weather just happened to go in their favour. 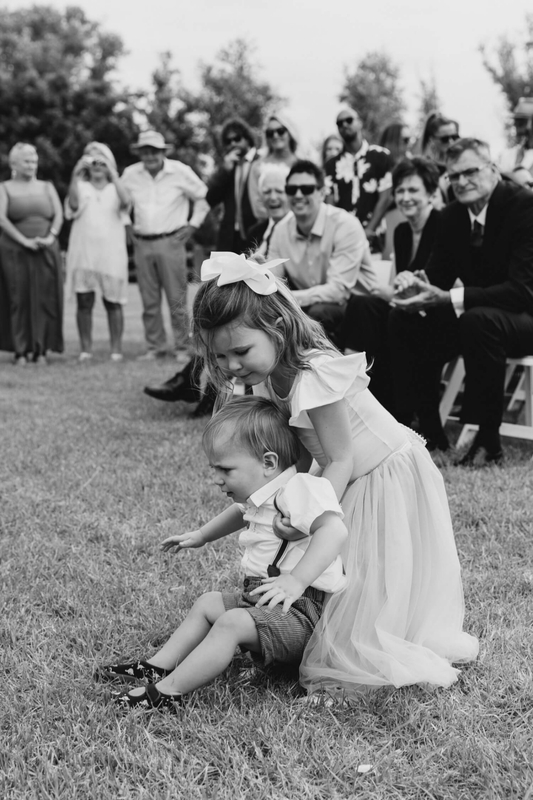 When it came to creating their highlight reel, there were so many images to choose from. 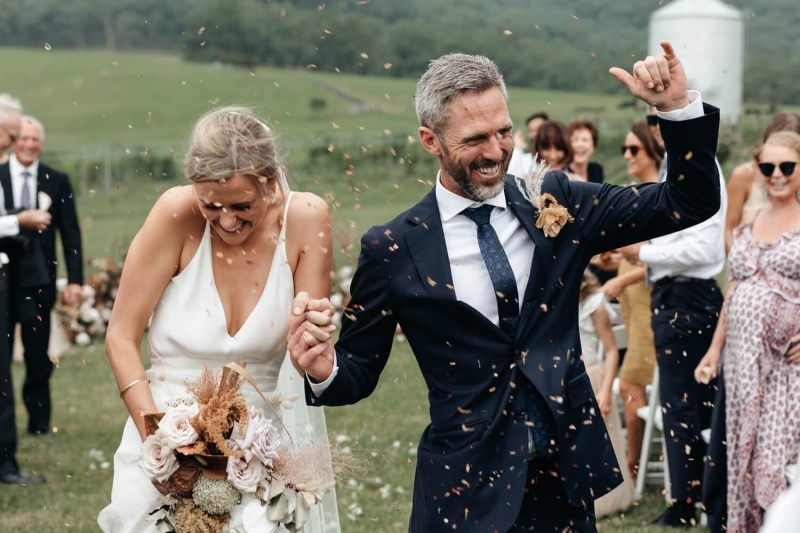 I managed to widdle their Melross Farm wedding down to a shortlist of roughly 200. 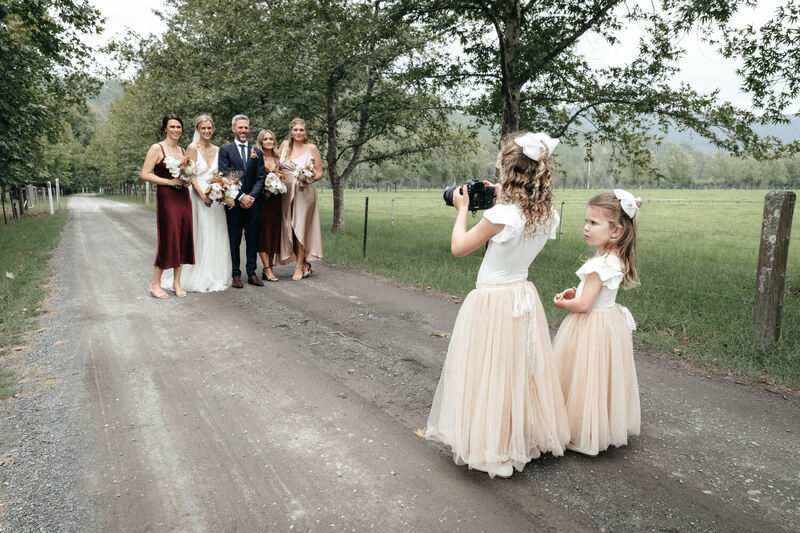 I normally find that 100 images are enough to showcase the highlights while giving a nice round overview of the entire day. 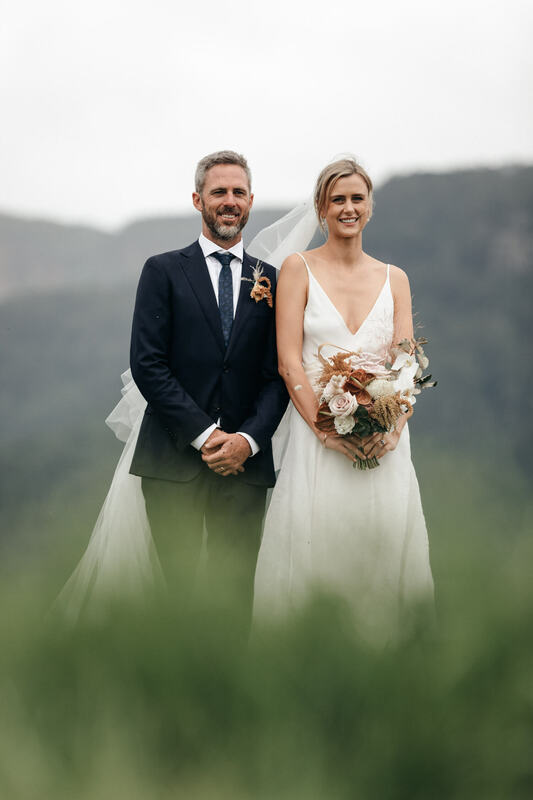 In Elise and Jono's case, I really struggled to get this number down further. 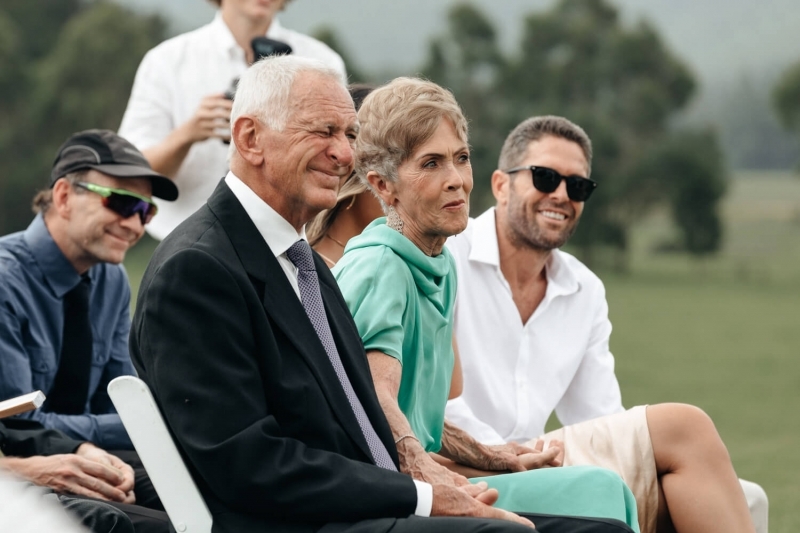 So the highlight reel which you will see below is a little longer than normal. 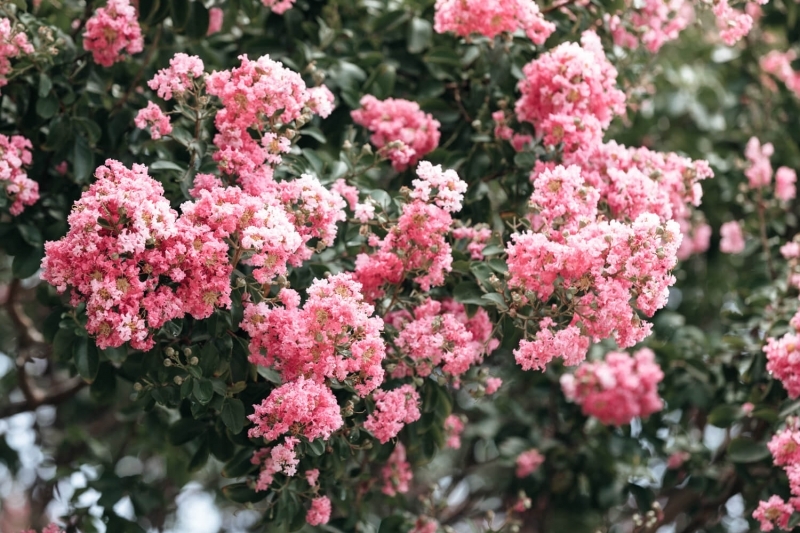 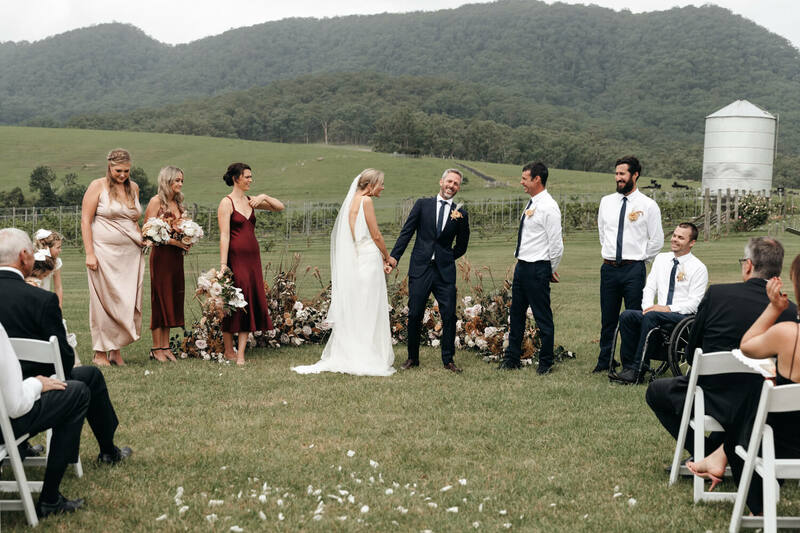 With all the garden and bush weddings in NSW that take place, there is so much inspiration out there. 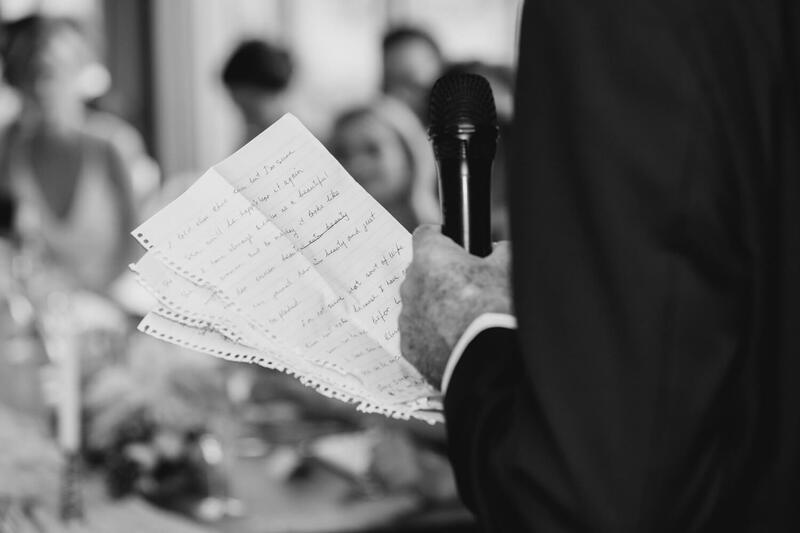 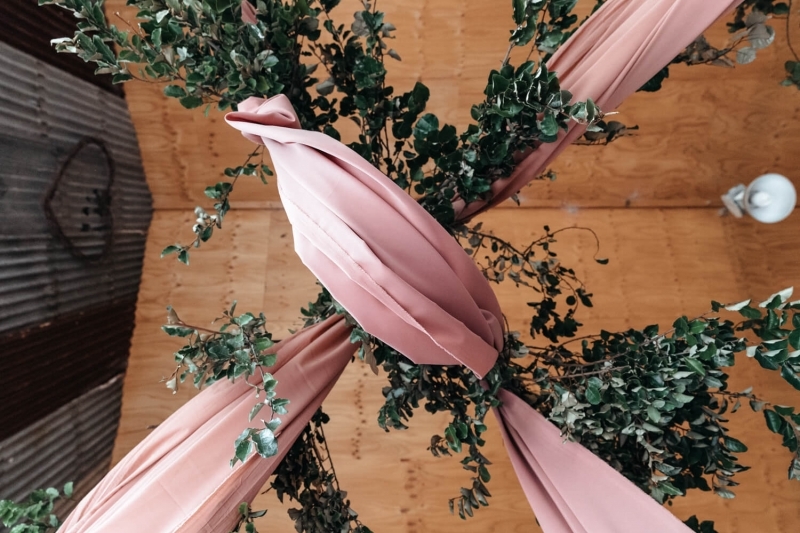 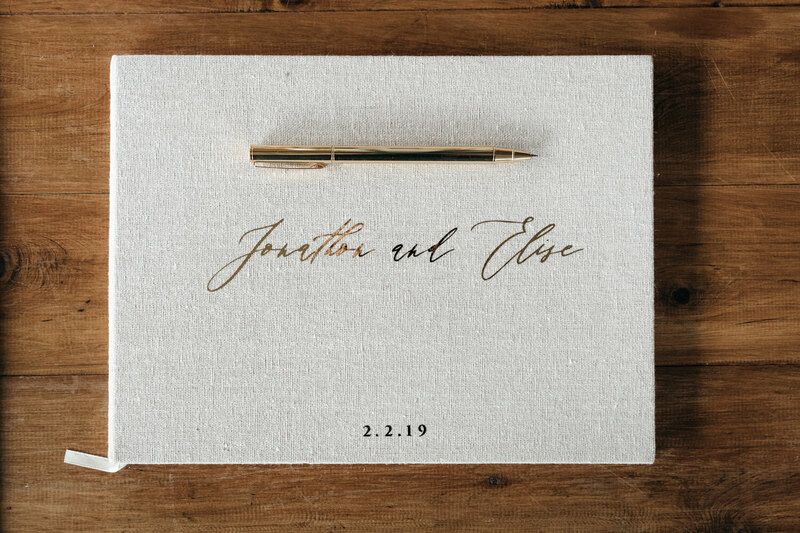 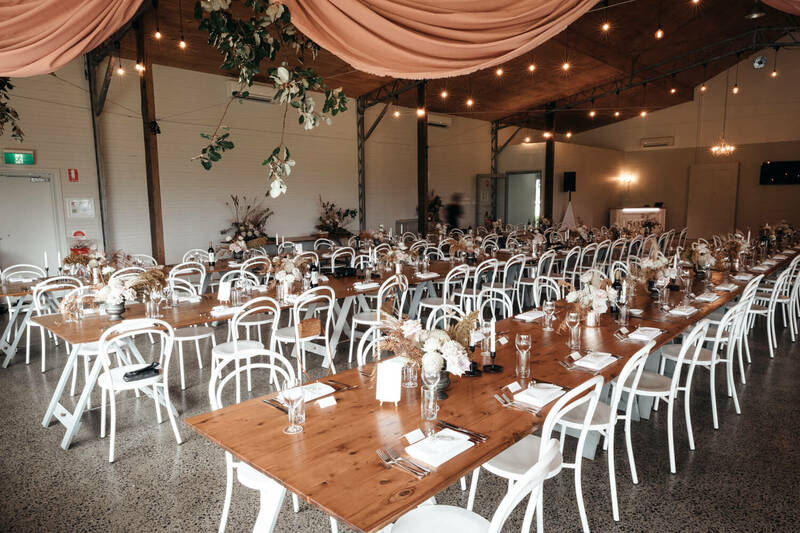 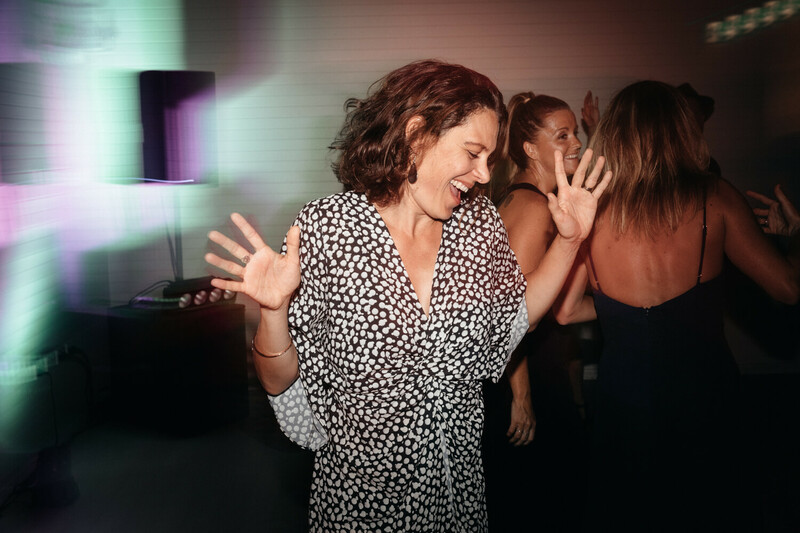 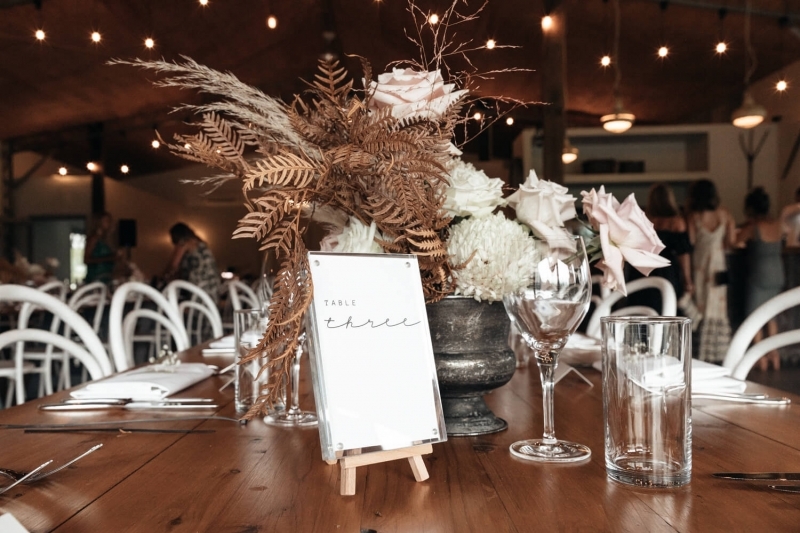 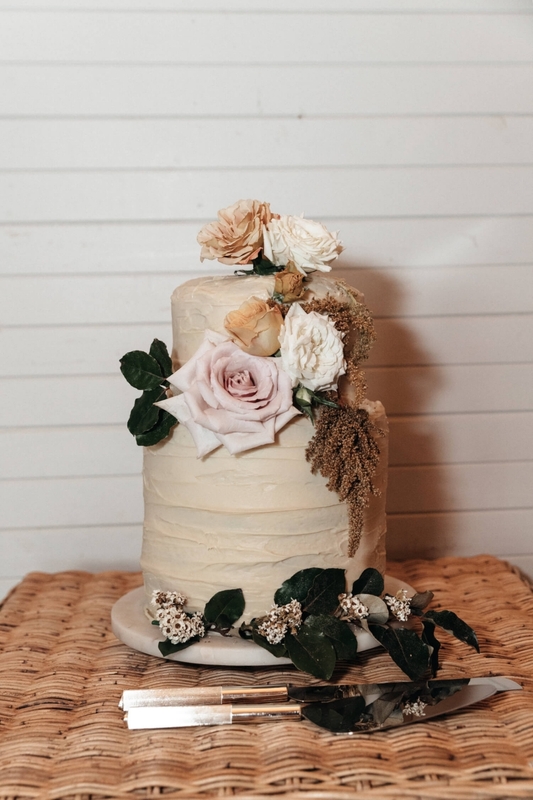 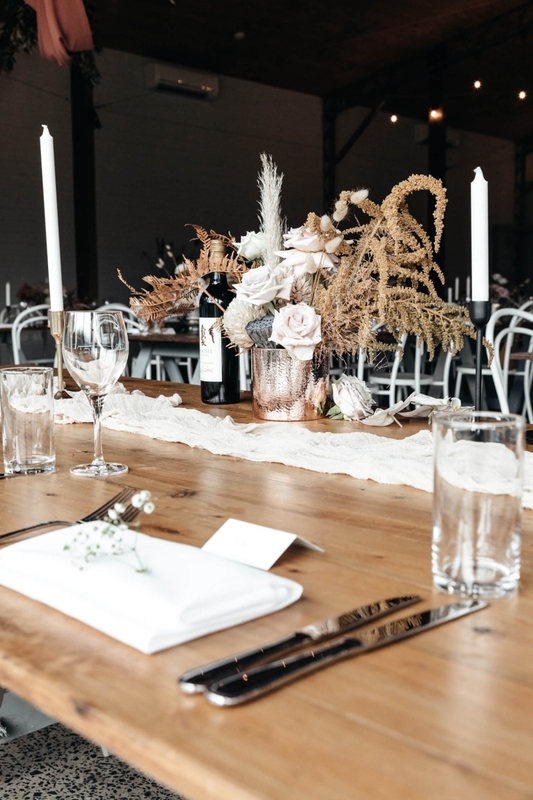 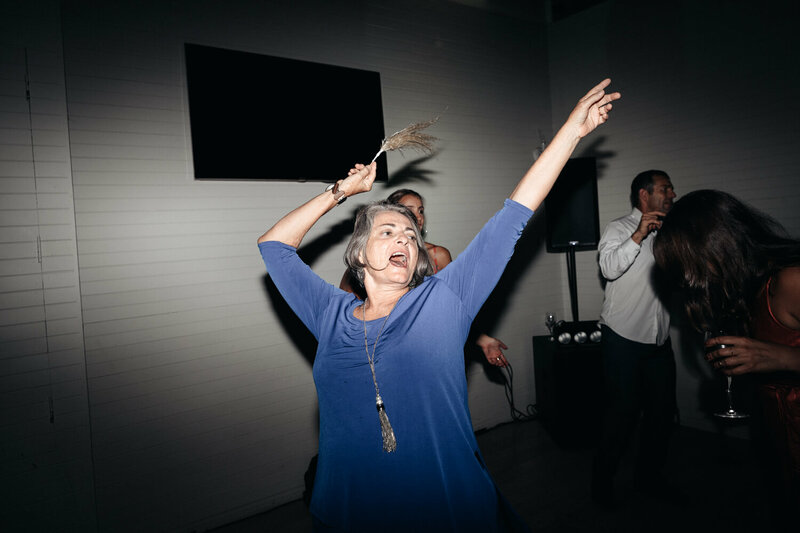 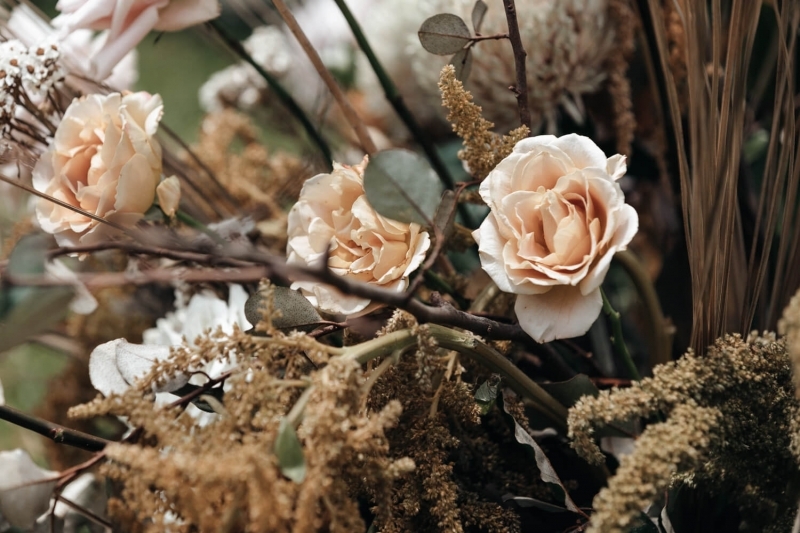 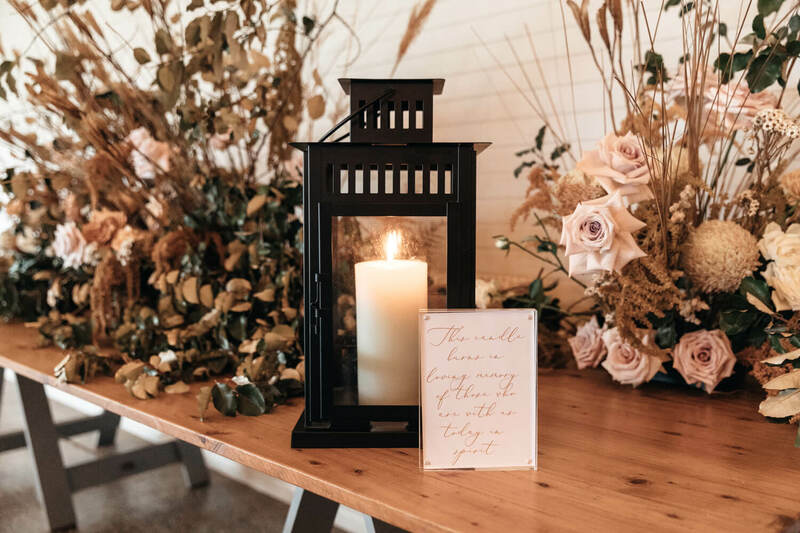 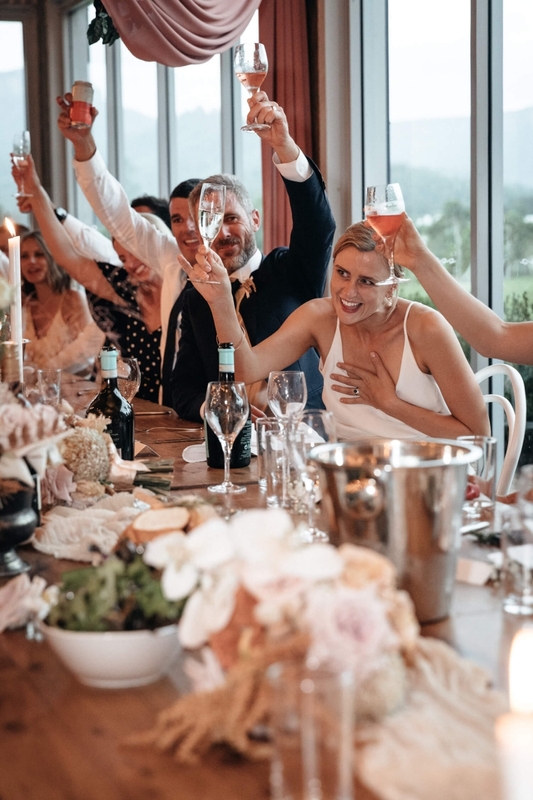 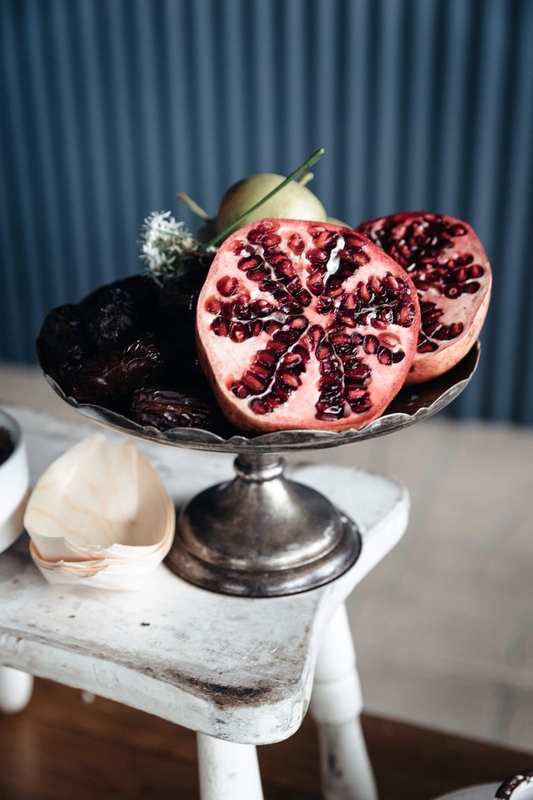 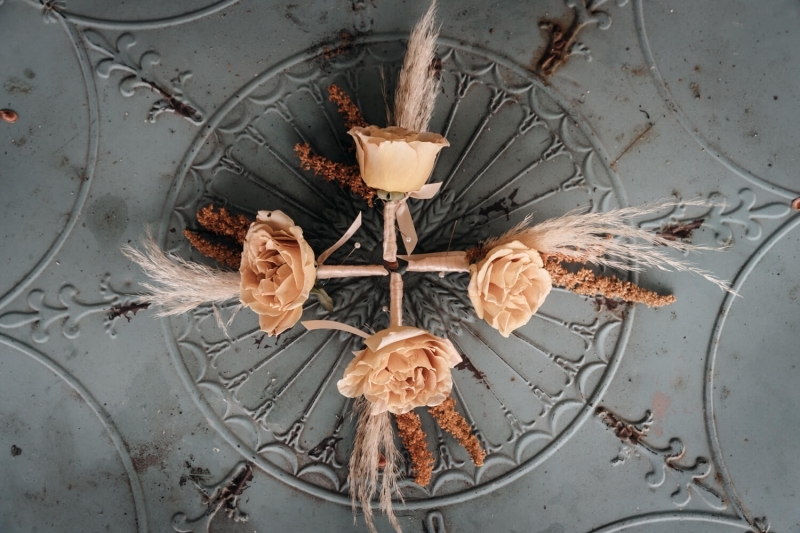 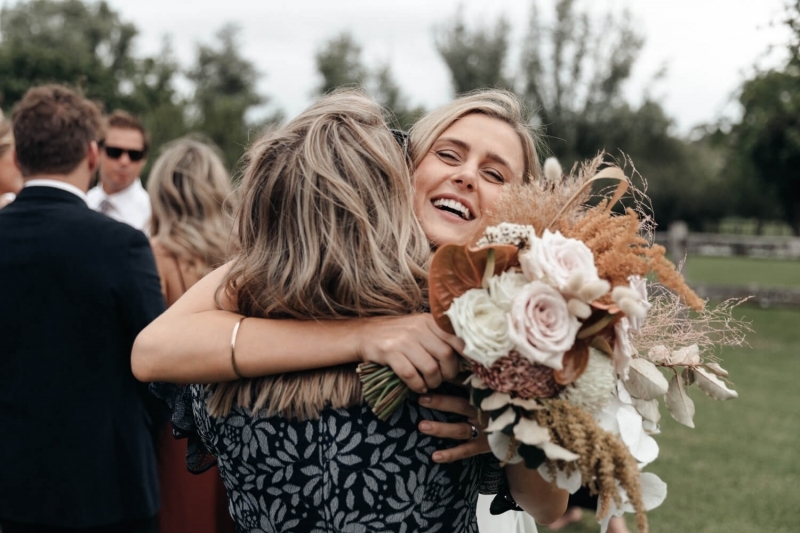 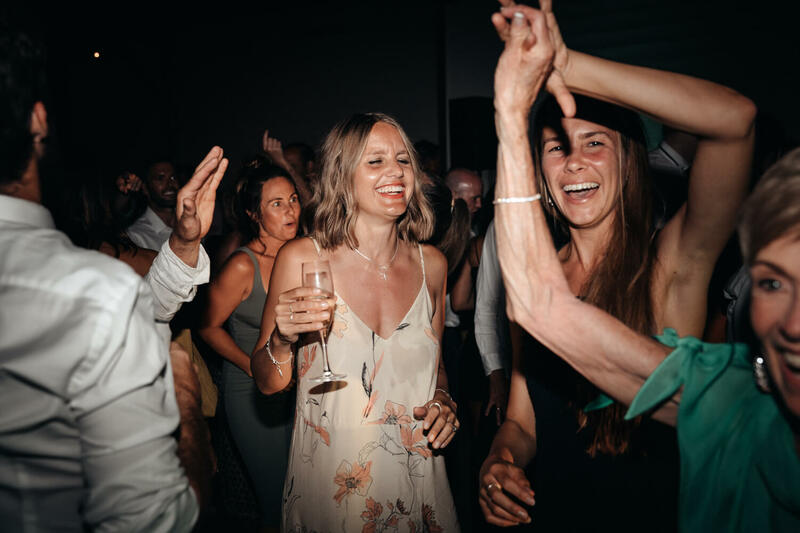 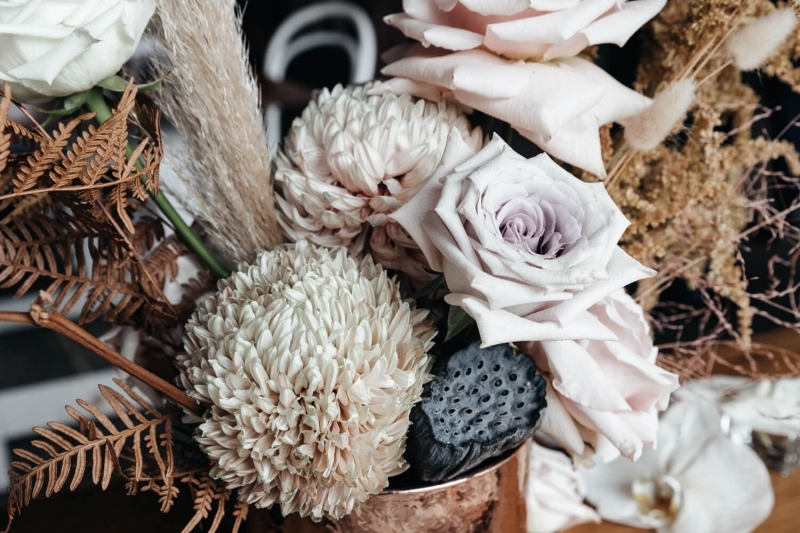 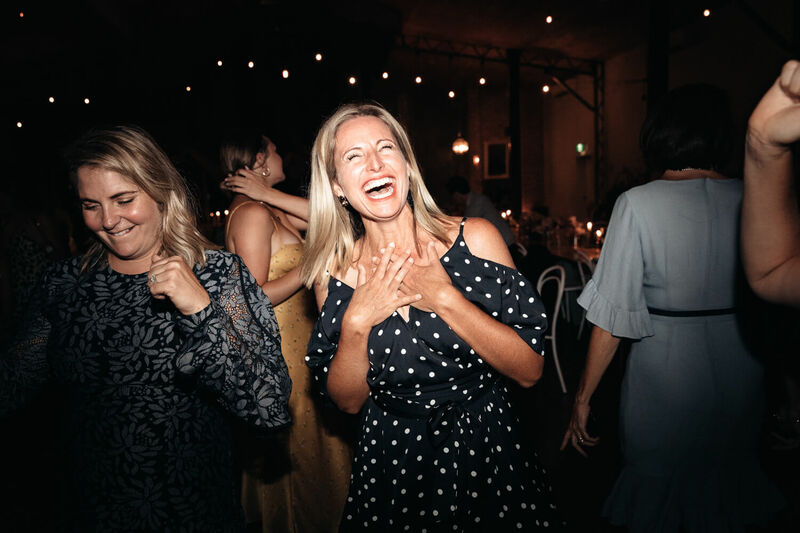 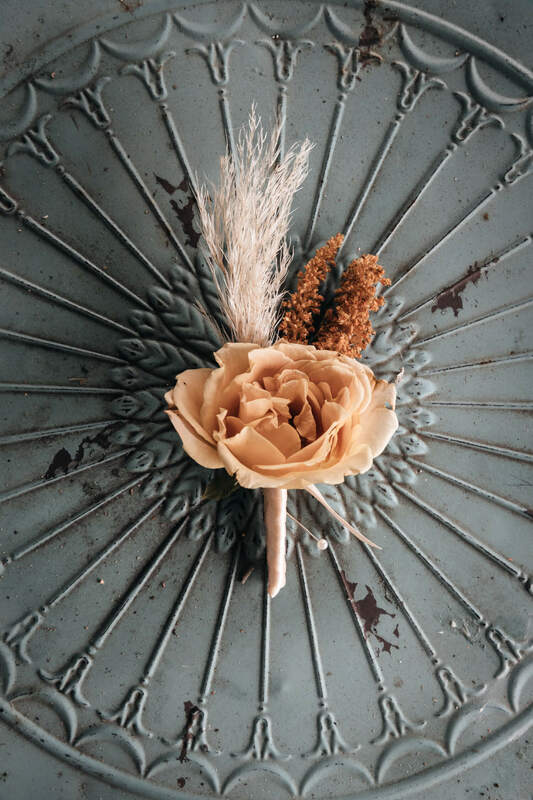 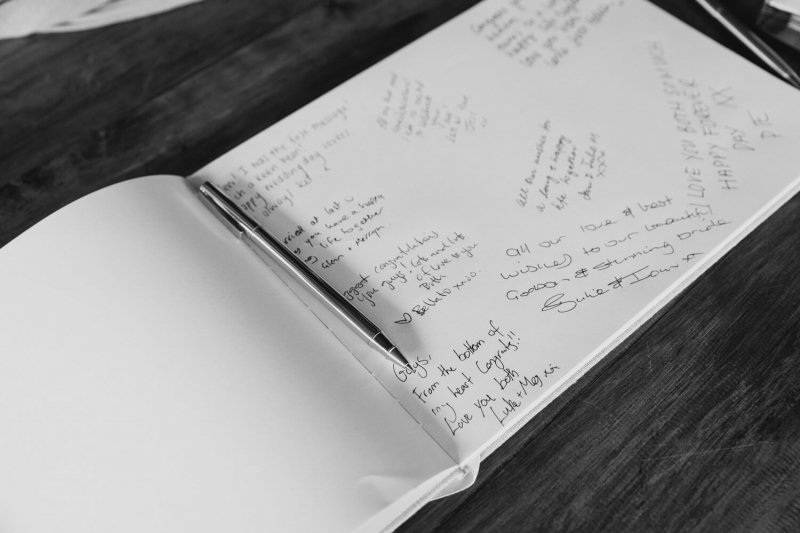 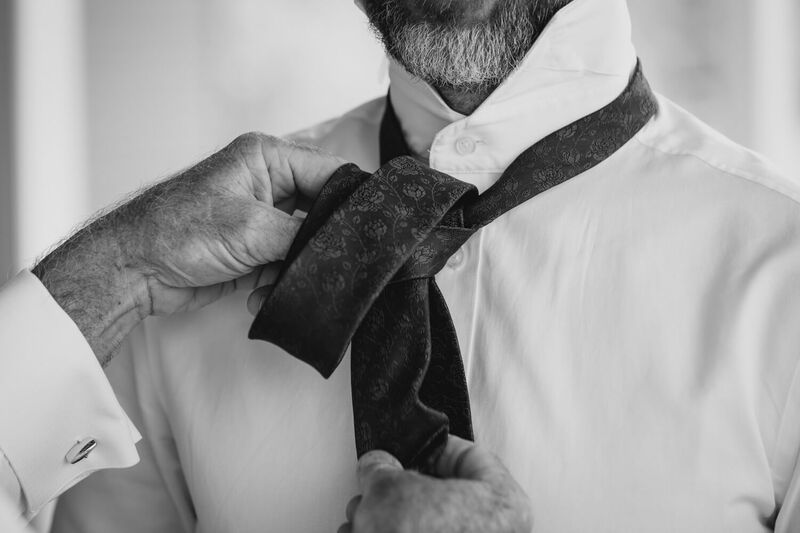 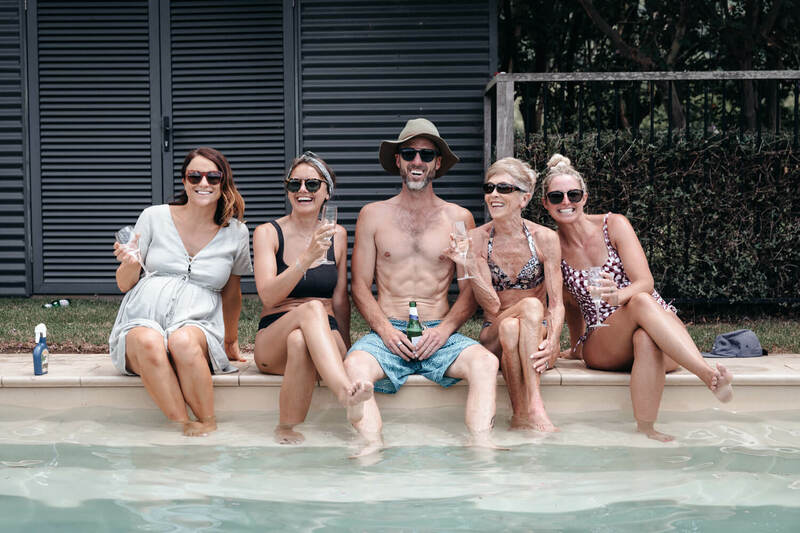 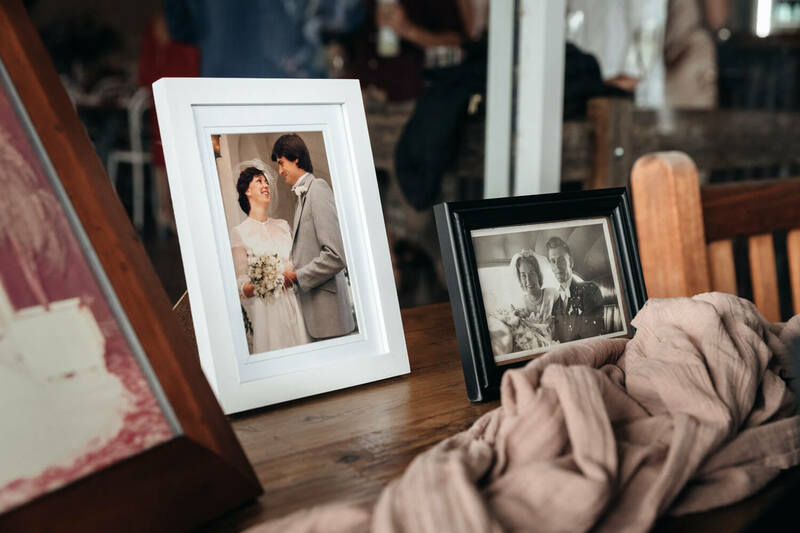 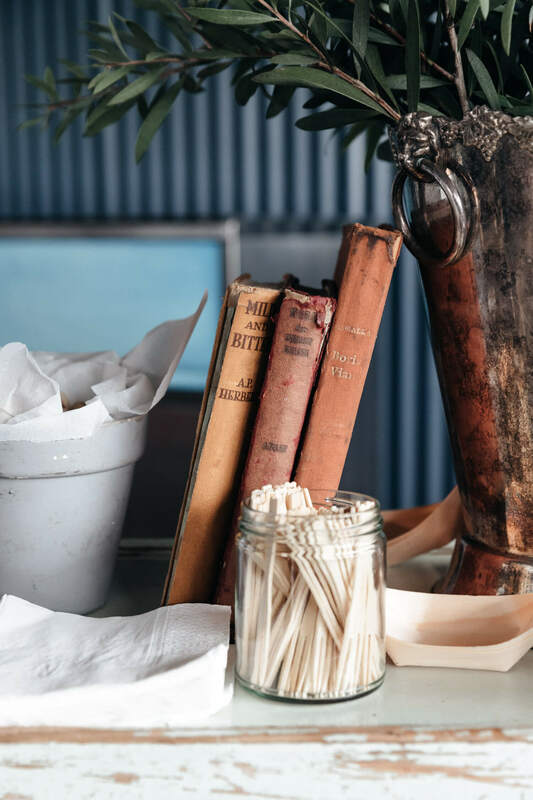 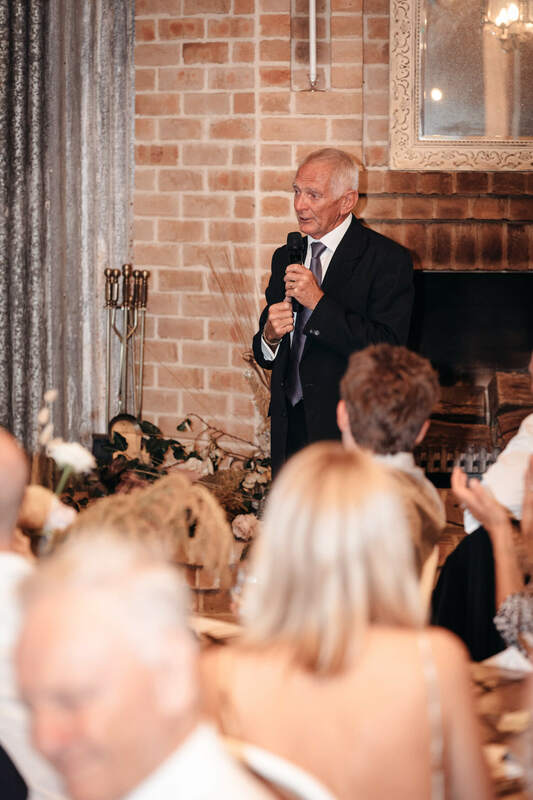 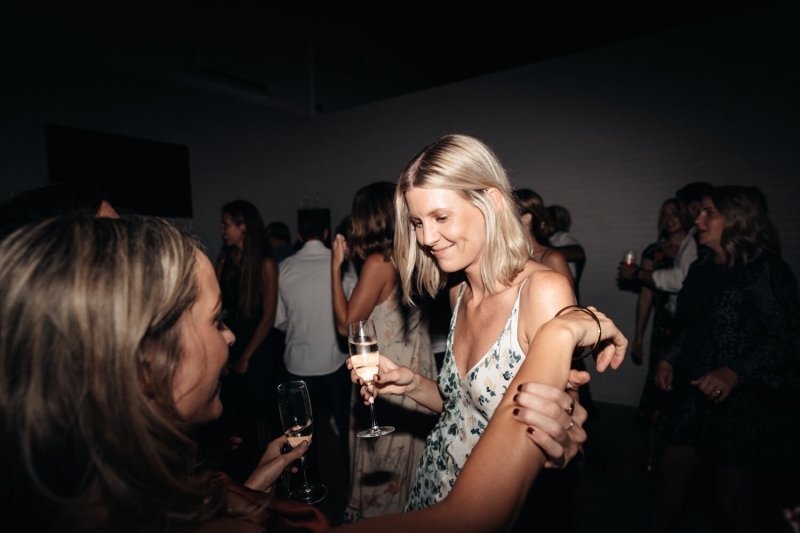 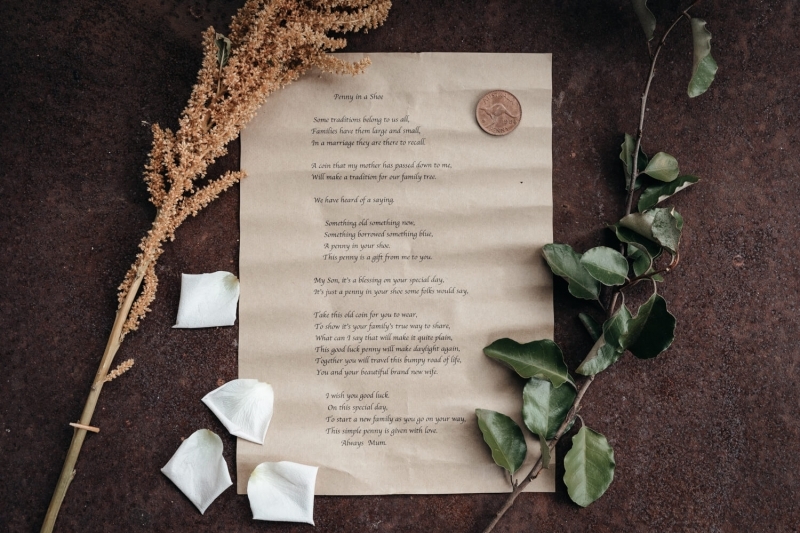 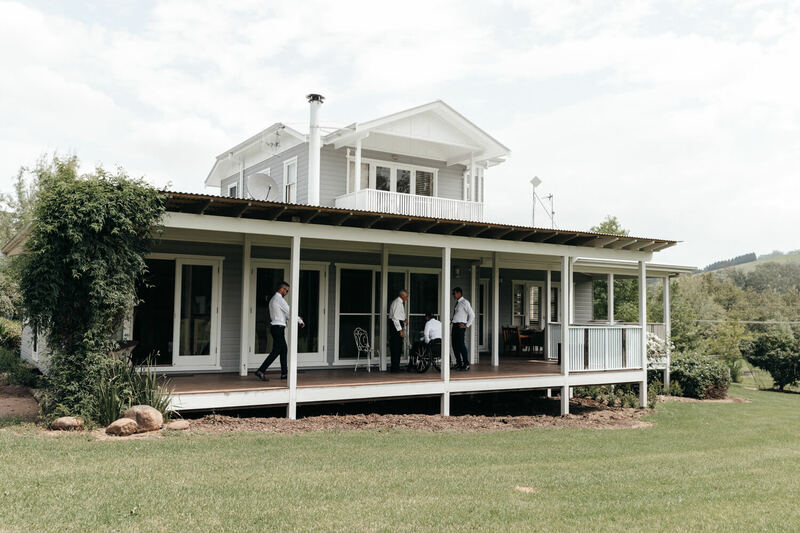 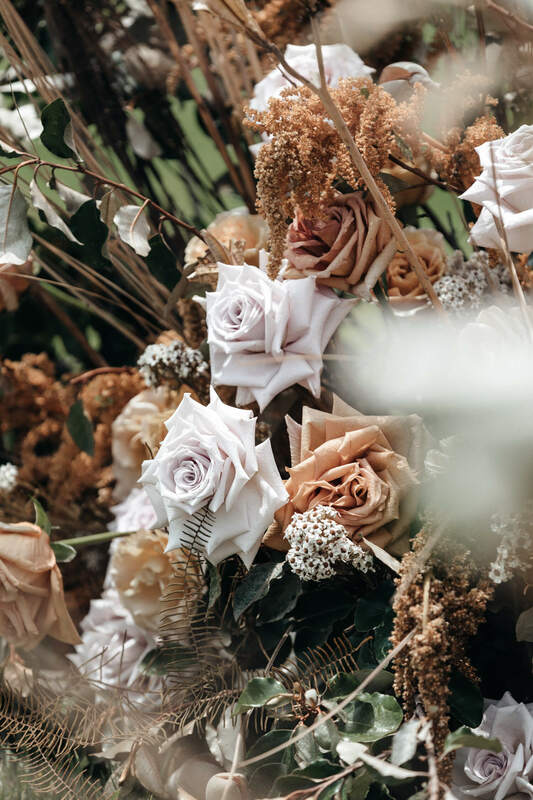 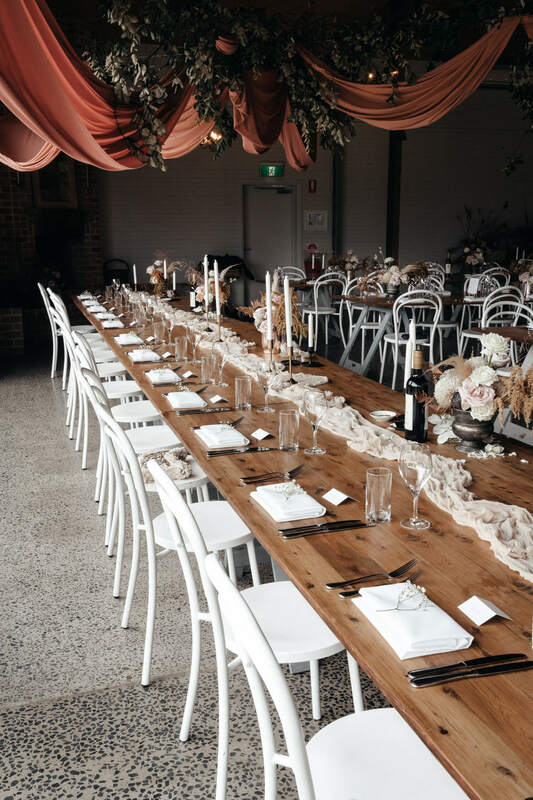 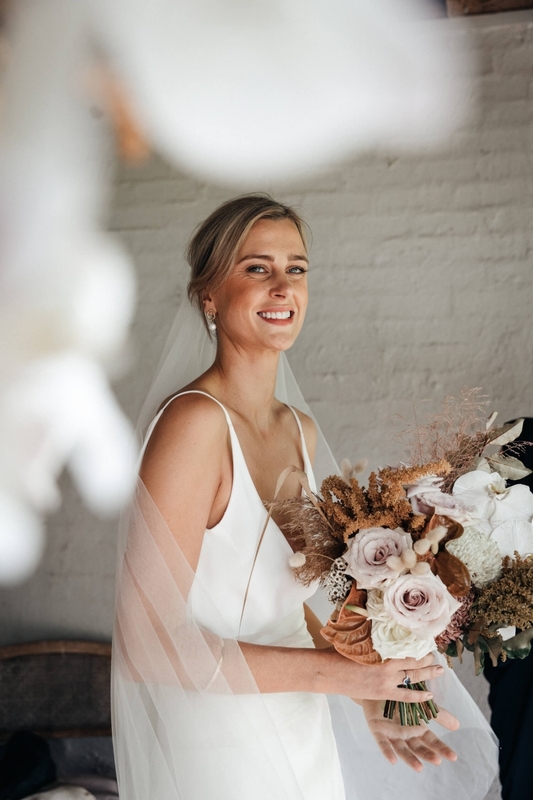 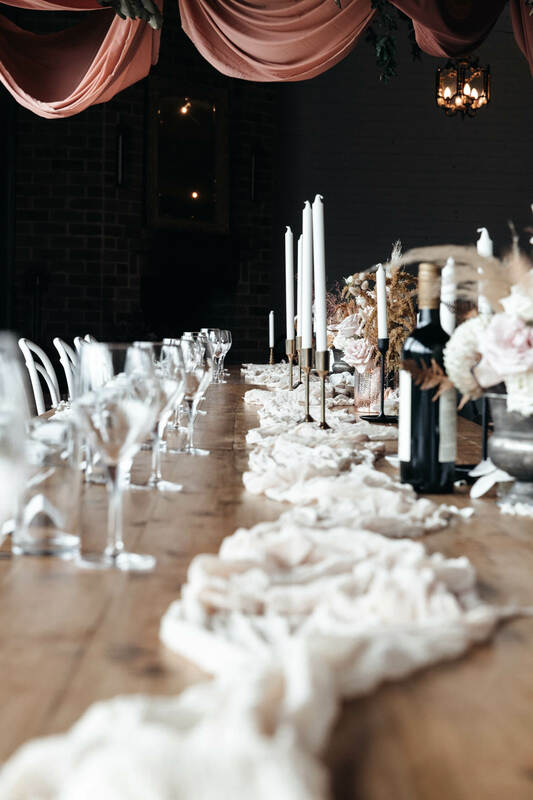 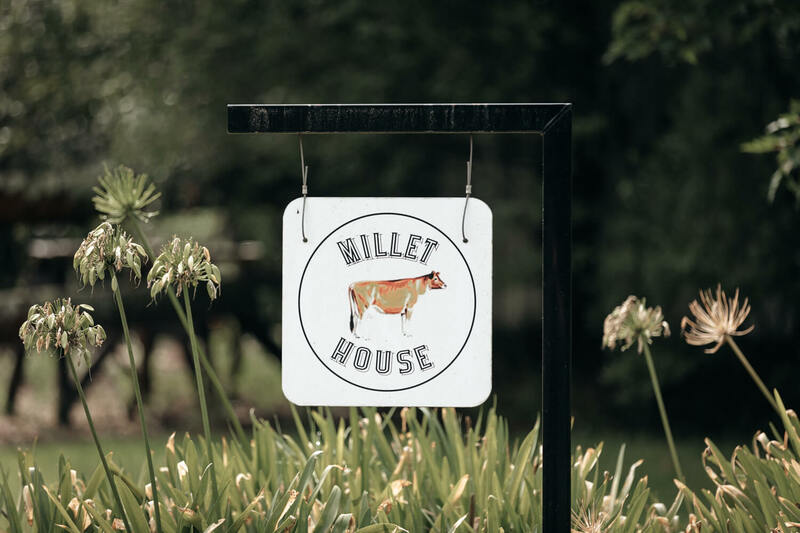 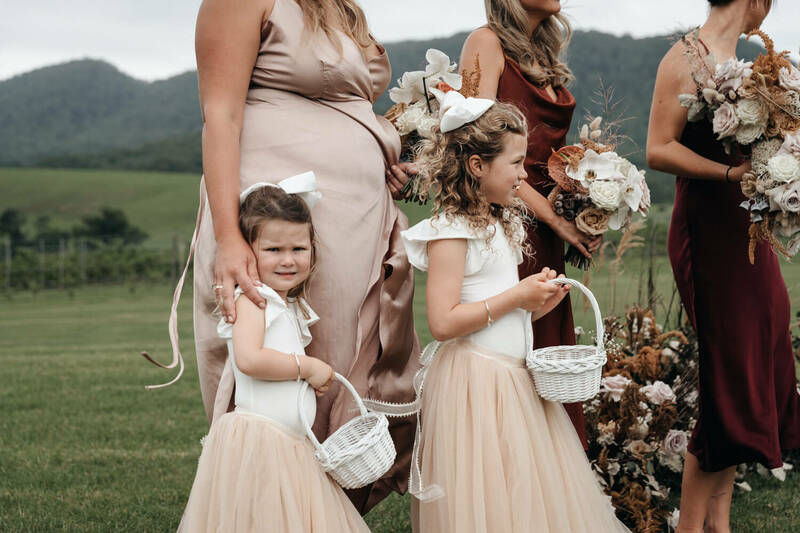 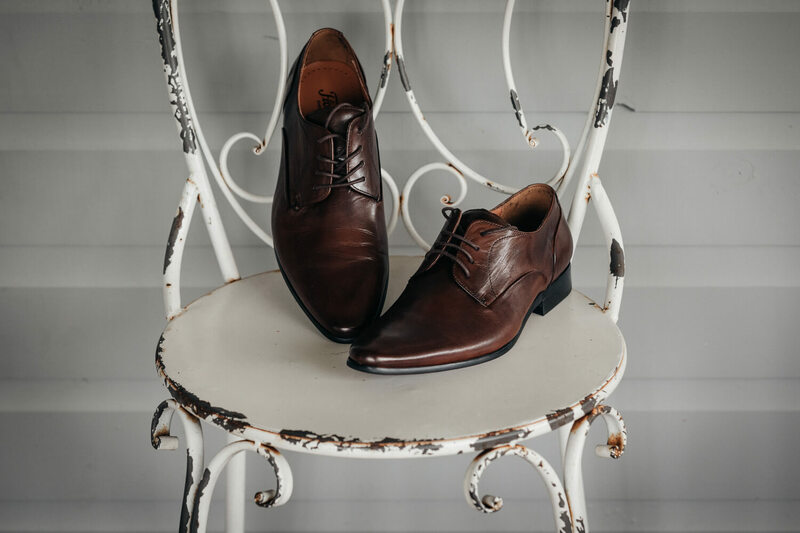 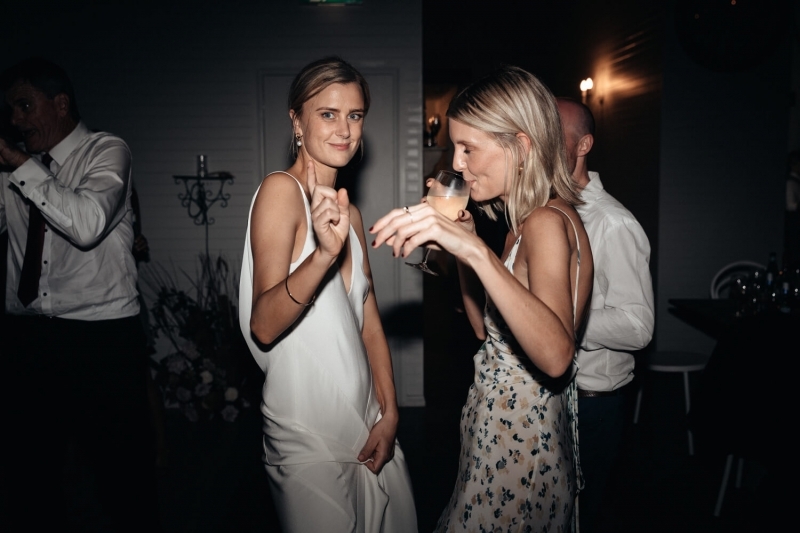 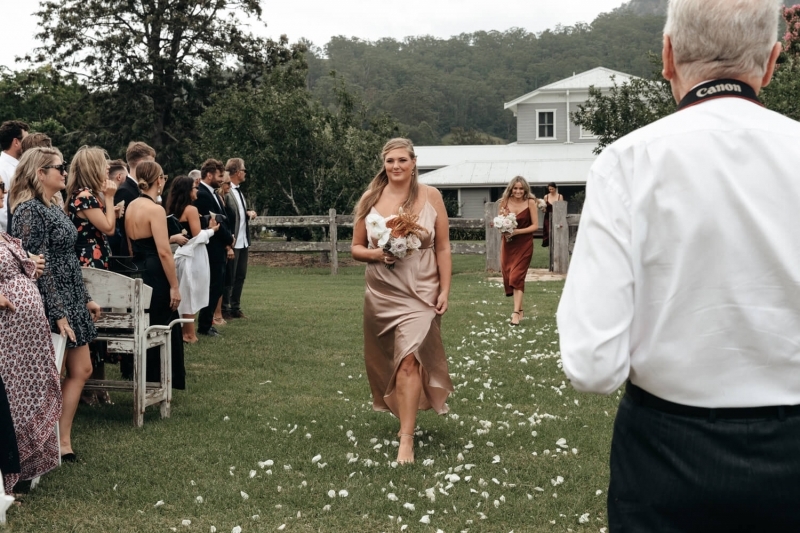 If you like what you see below and your planning to hold your own special day at one of the many Kangaroo Valley Wedding Venues on offer, then I would love to chat with you. 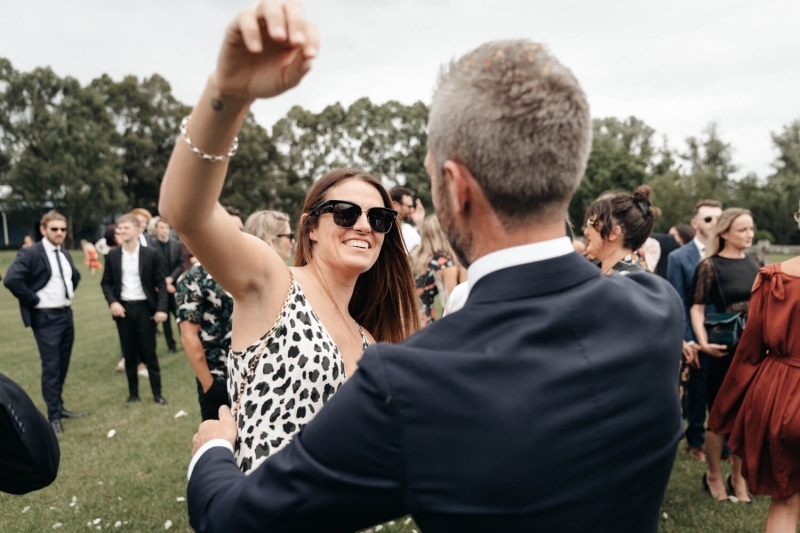 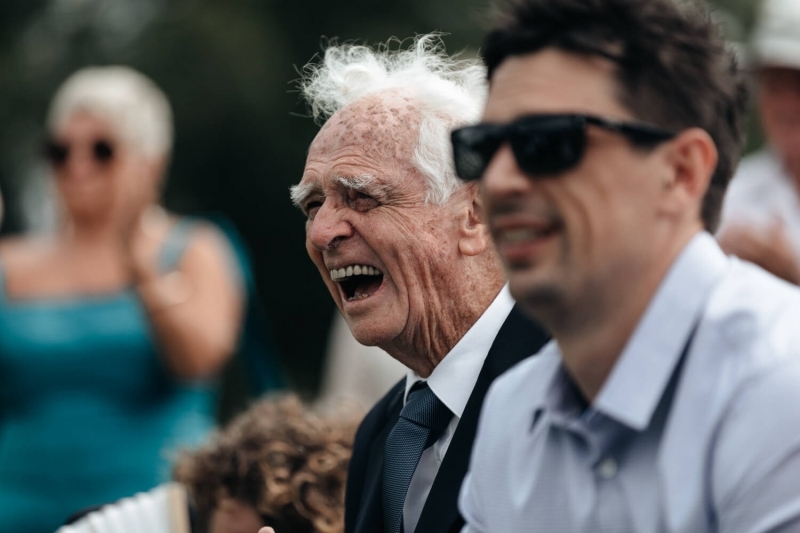 Respectively if you are also planning to hold a garden or bush wedding in NSW and are looking for a wedding photographer then I welcome you to get in touch via my contact page. 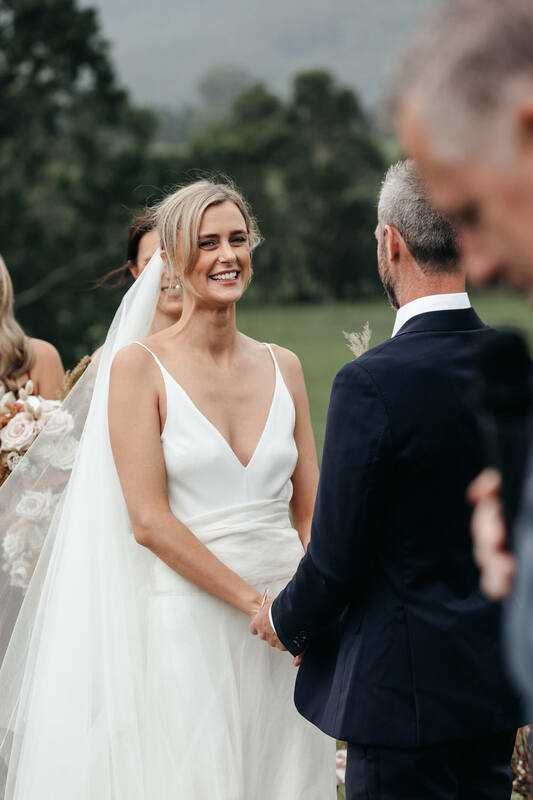 If you want to check out another one of my weddings then you should take a look at Matt & Jac's Palm Beach Wedding. 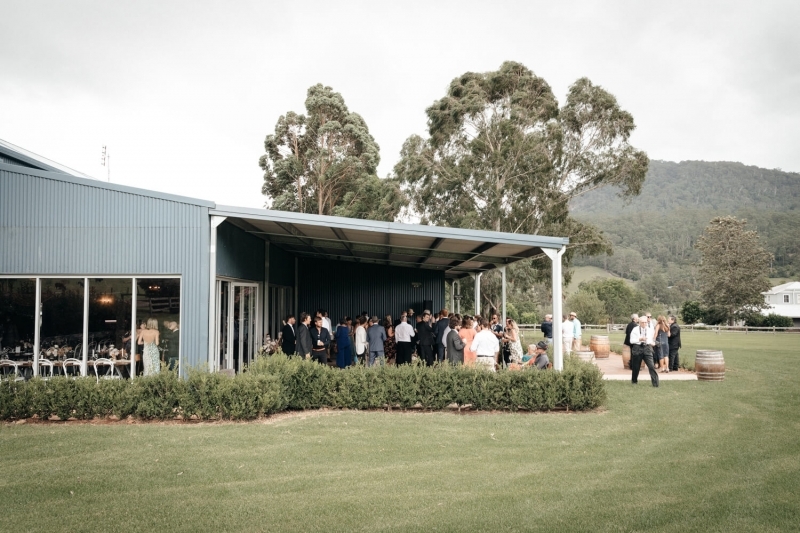 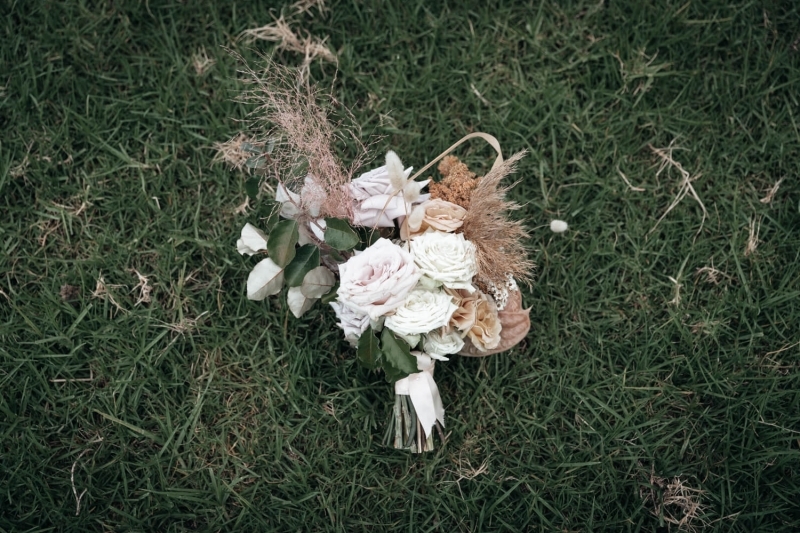 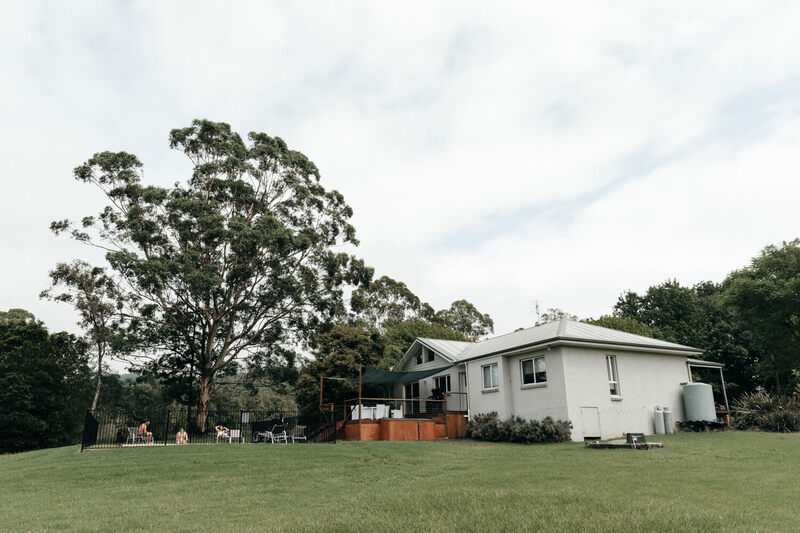 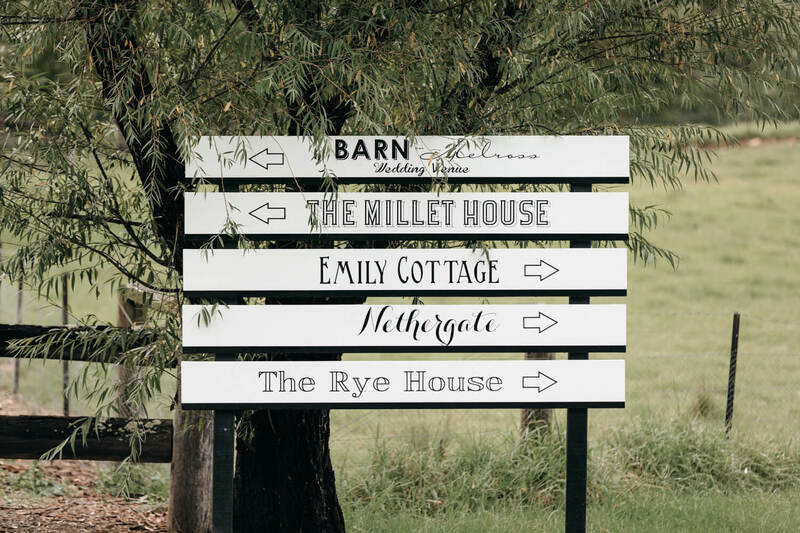 After driving past a few Kangaroo Valley wedding venues, we eventually arrived at Melross Farm. 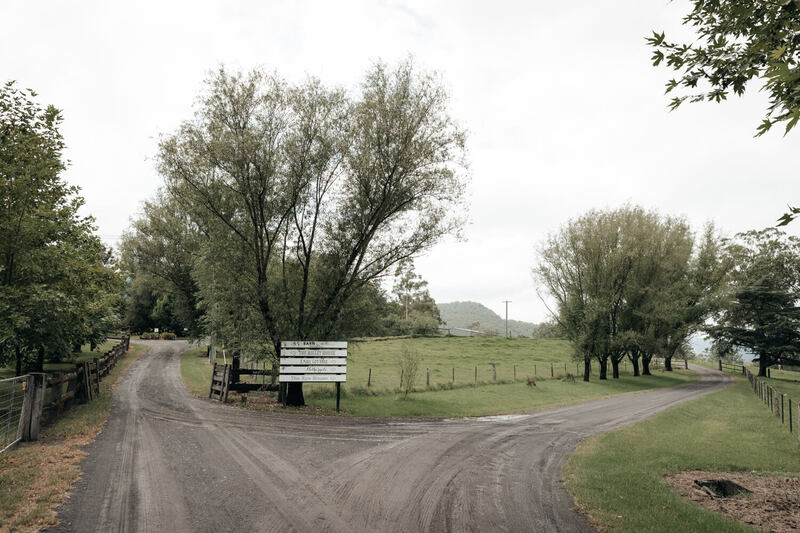 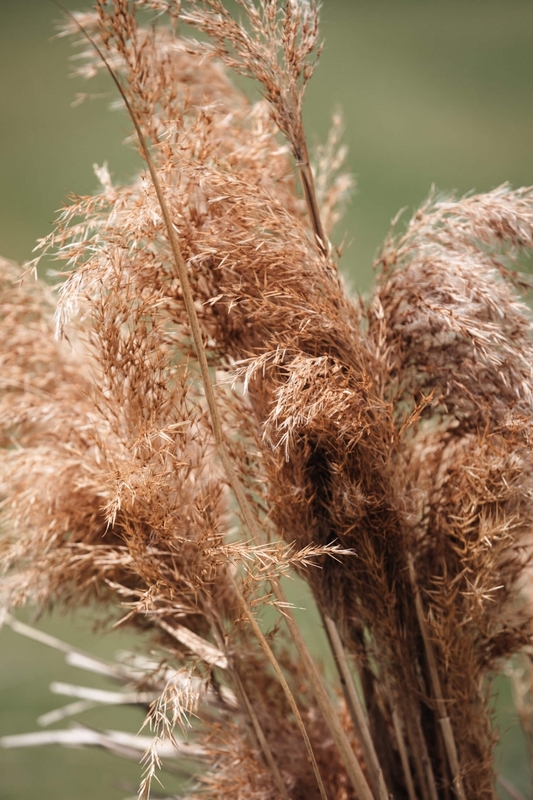 Initially, we drove around the property and located the areas we planned to use later for the location shoot. 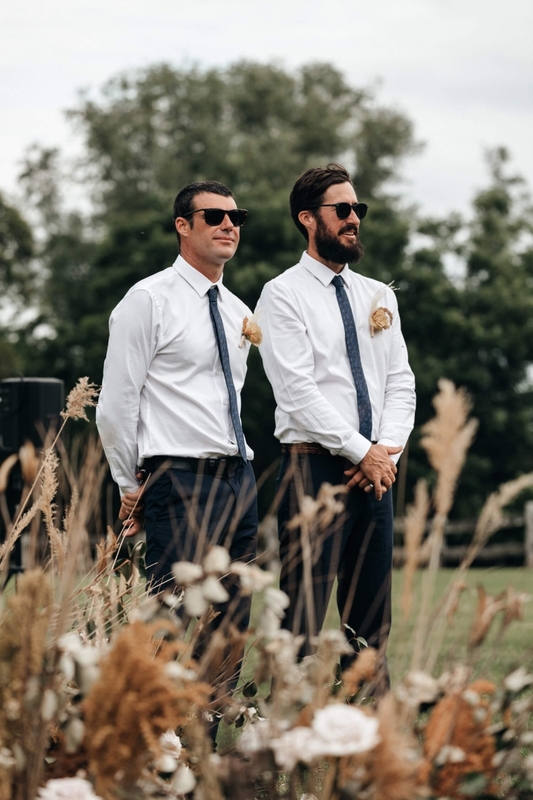 Once we had done a brief reccy and formulated a game plan it was off to Rye House to greet Elise and her bridesmaids. 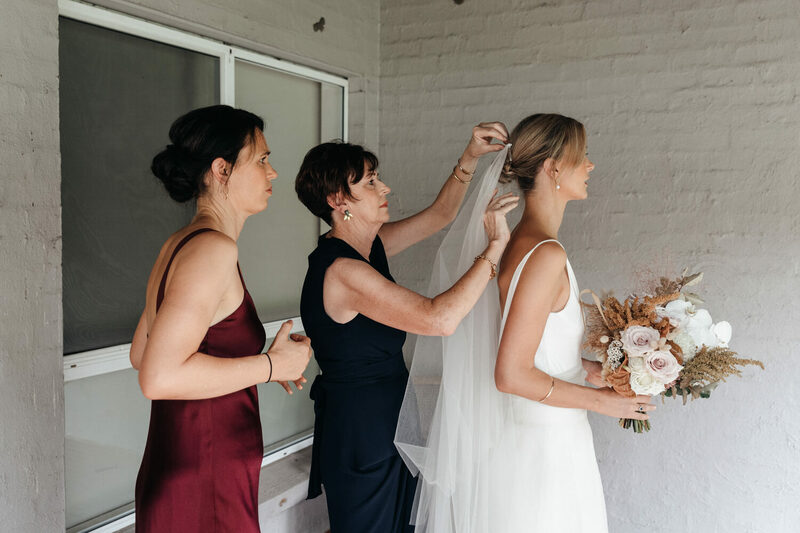 Their day had begun hours ago and they were already in full bride prep swing. 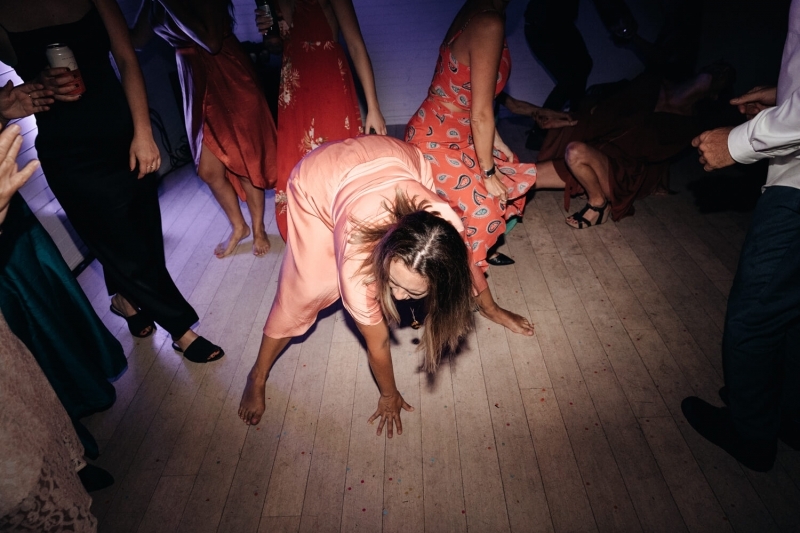 The ladies had their hangover prep kits in hand and were already preparing for the day that was to follow. Smart move in my opinion! 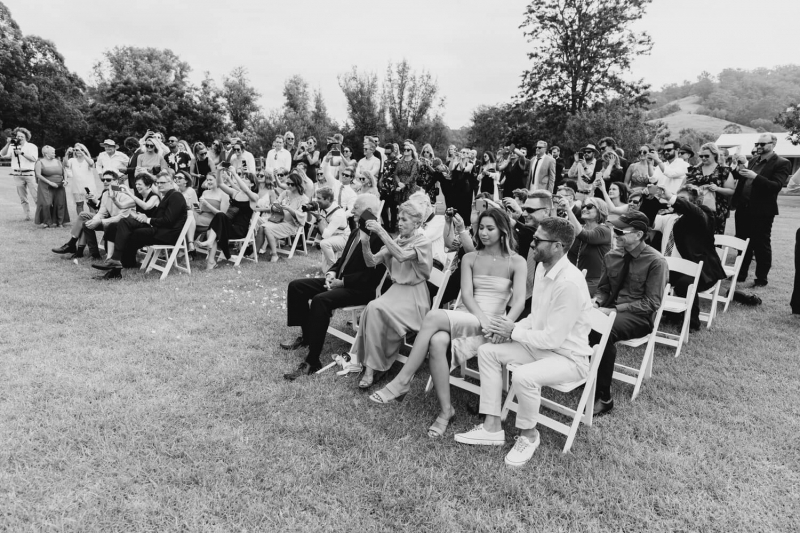 At this stage, the ladies seemed to be fairly relaxed with the ceremony only a few hours away. 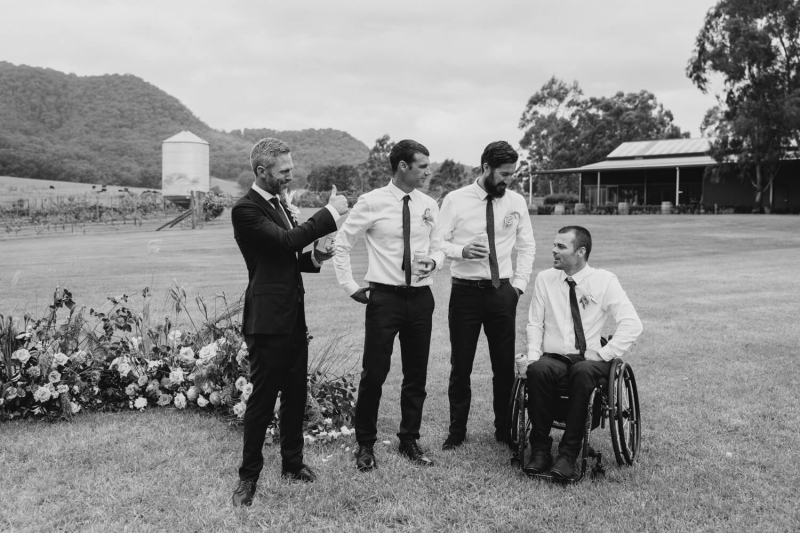 Next, it was off to Millet House to see the Jono and his groomsmen. 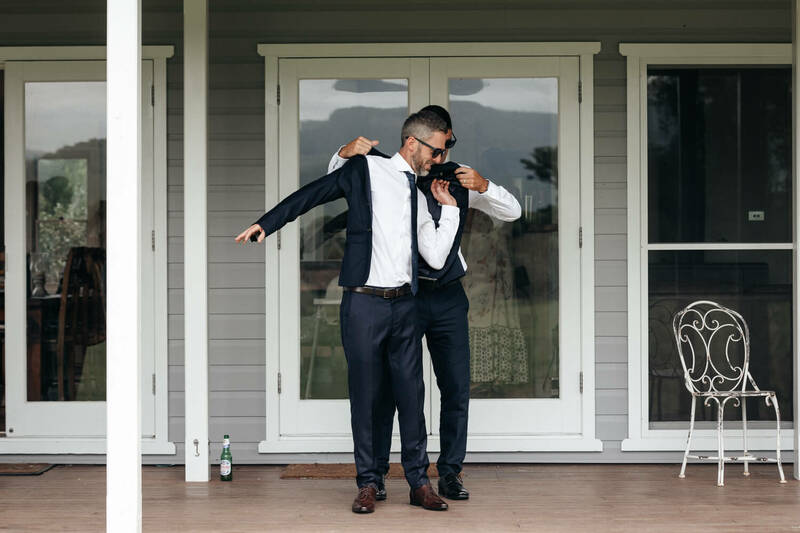 It's always nice when the bride and groom are able to get ready on the same property. 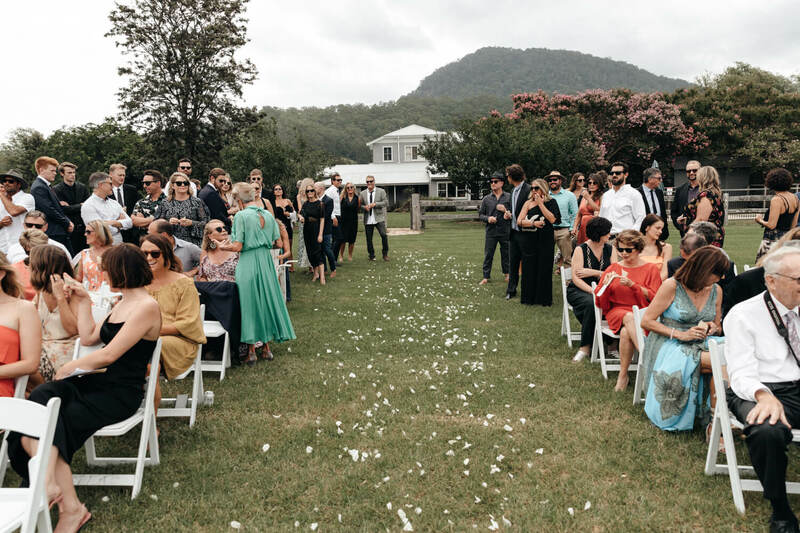 That's probably one of the many benefits that make Melross farm one of the best Kangaroo Valley wedding venues. 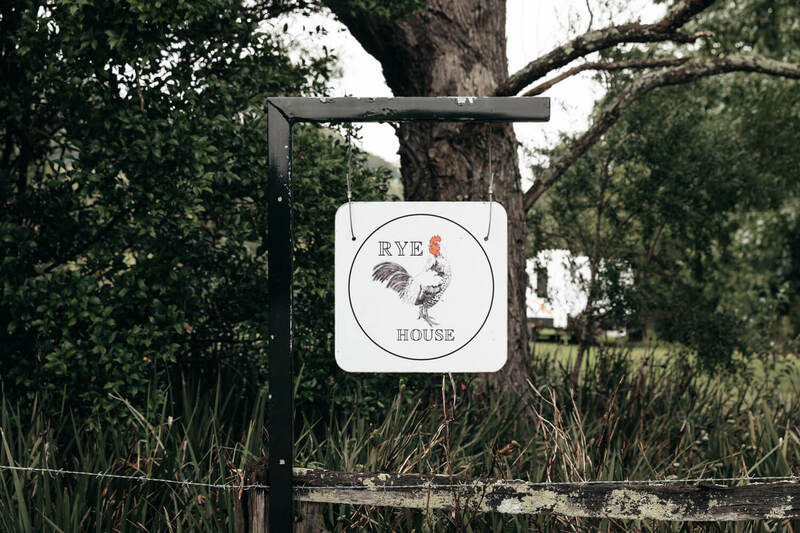 A mere minutes drive down the road and we had arrived. 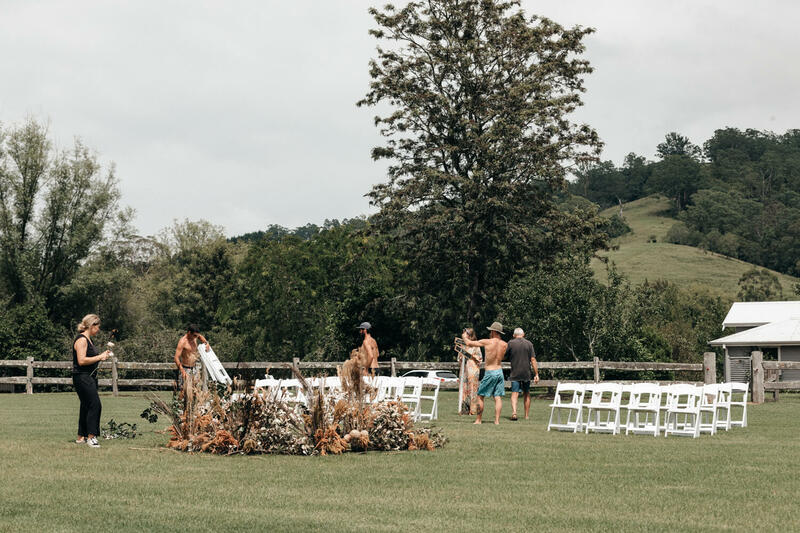 The guys and their entourage were in the midst of helping set up seating for the ceremony. 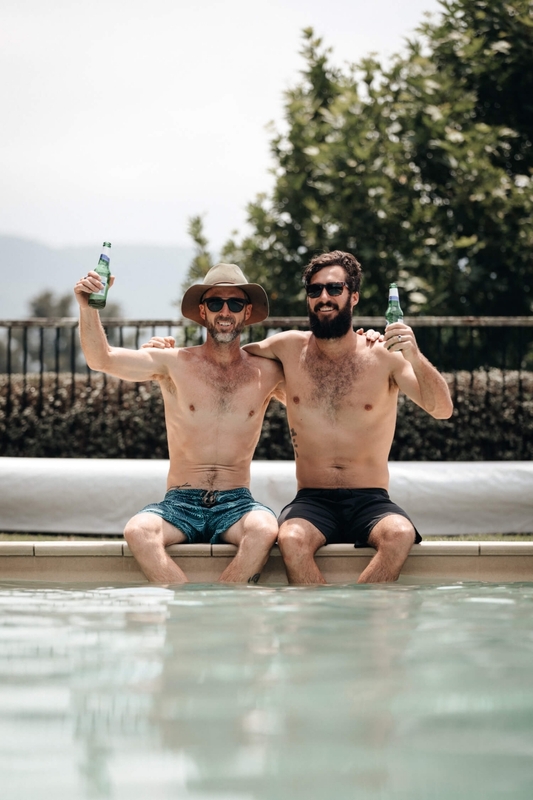 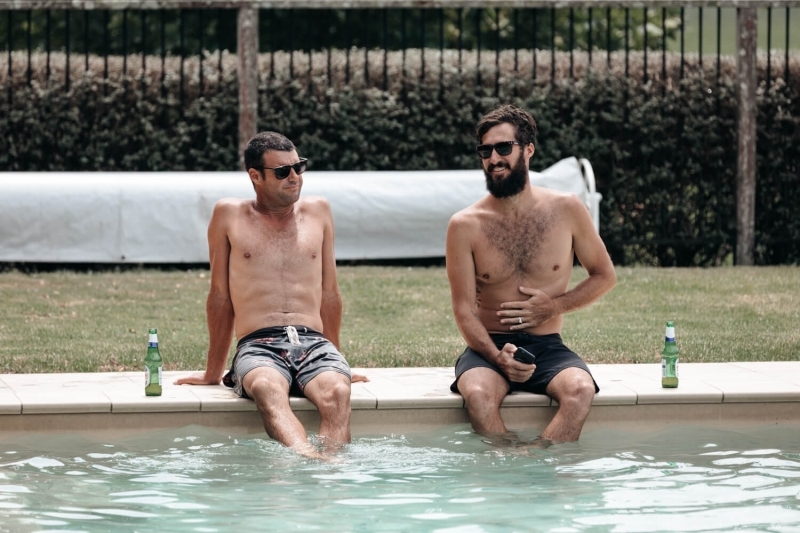 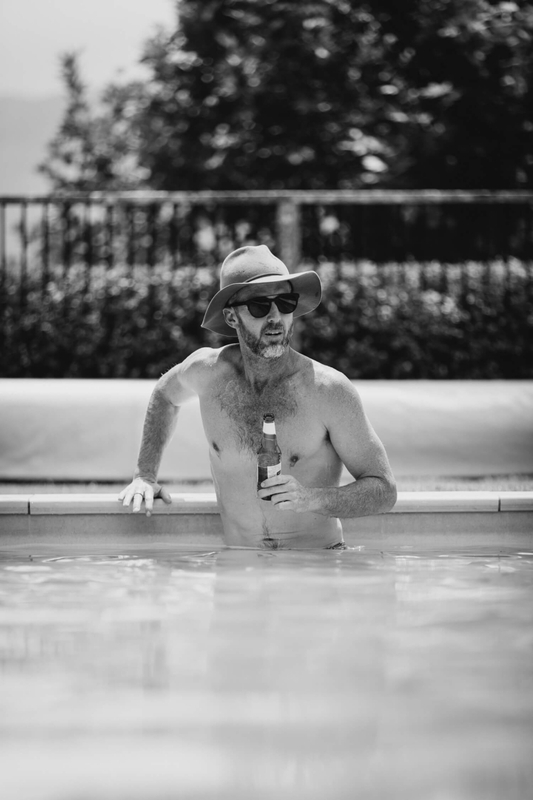 Once these duties were taken care of, they decided to enjoy a dip and a few beers by the pool. Once the wheels are in motion and the day is underway, time begins to slip by quite quickly. 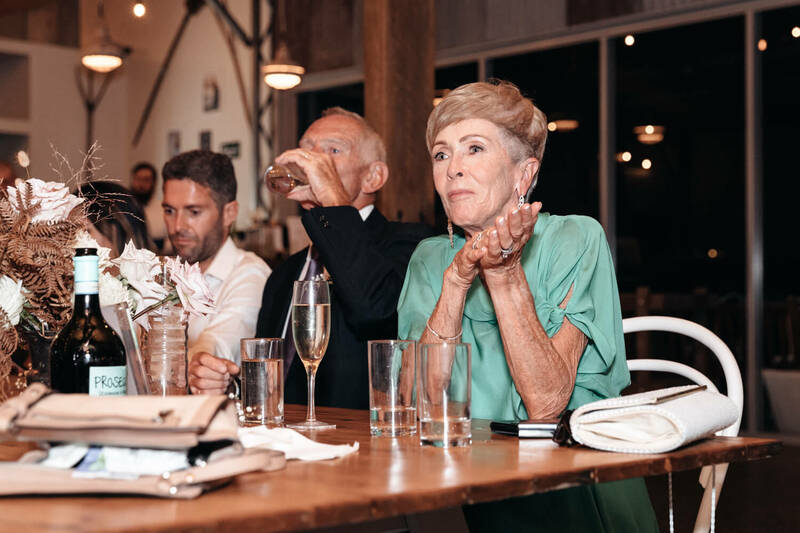 It usually goes without saying but I always try to make sure my couples know to take in each and every moment. 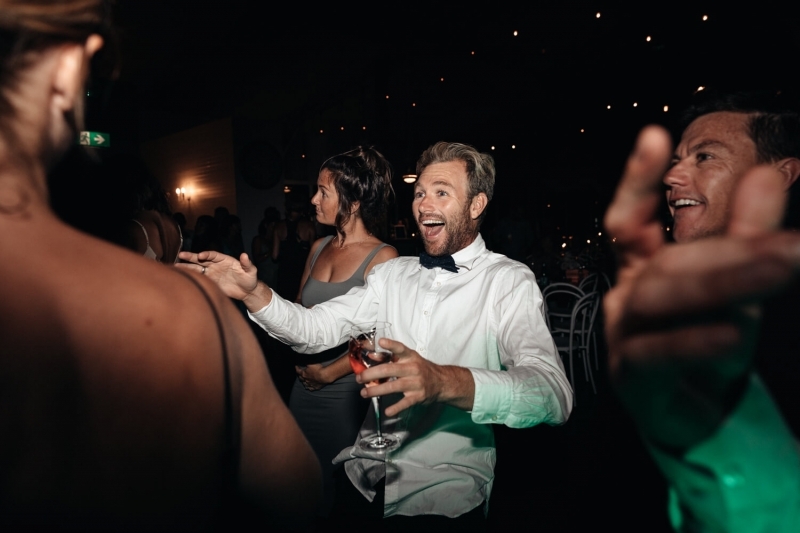 No matter how nervous, anxious or excited you are, it's all part of it.. take it in and enjoy it. 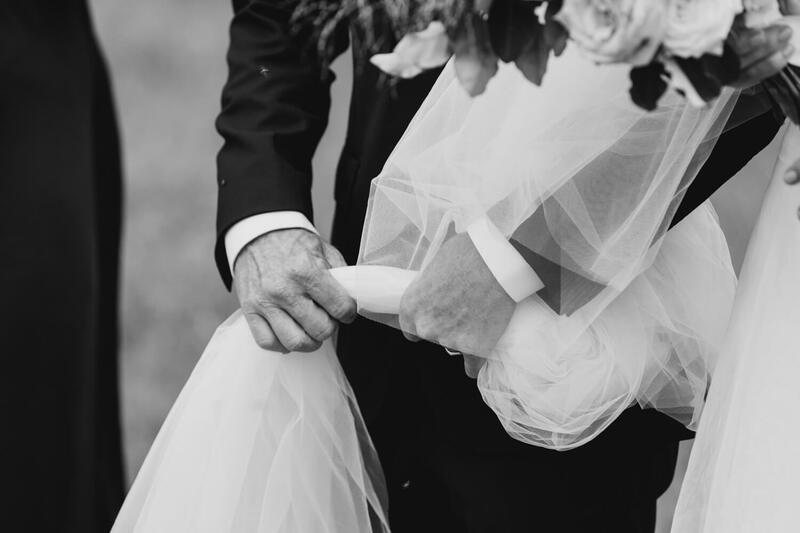 That's because if you're not careful, you'll blink and your wedding day will be over. 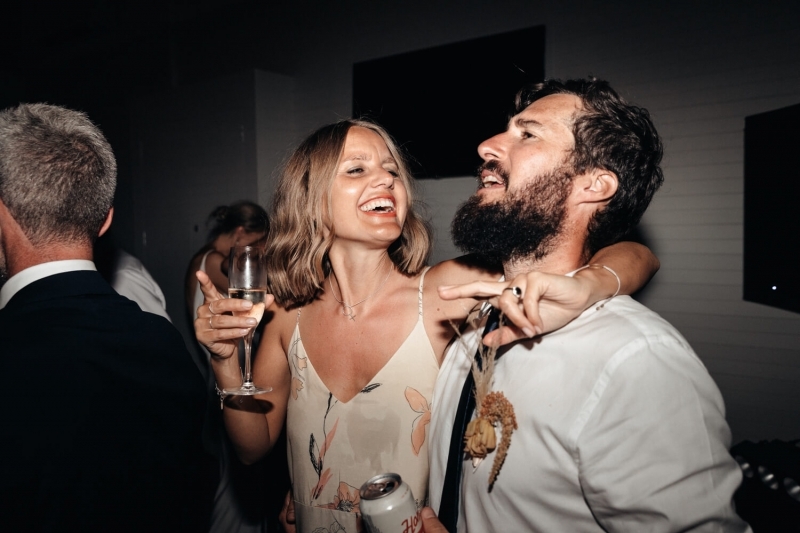 Time flies when you're having fun! 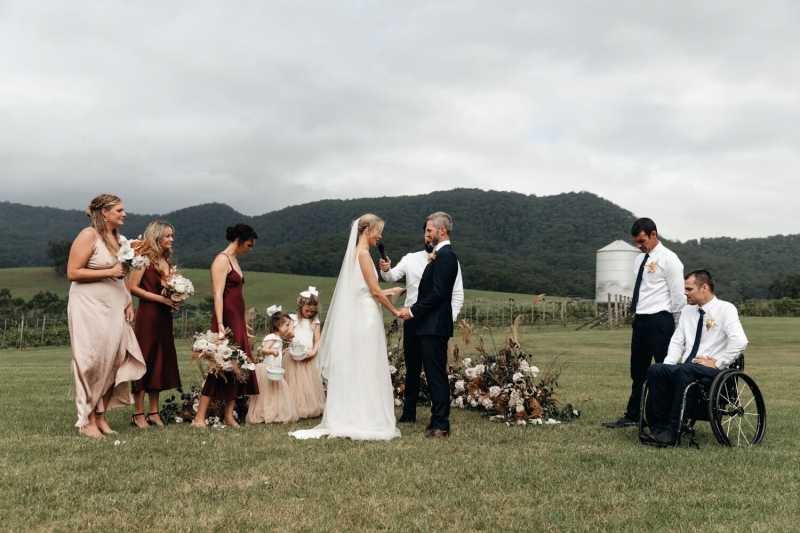 Elise and Jono's Melross Farm wedding ceremony took place on the lawn just in front of Mullet house. 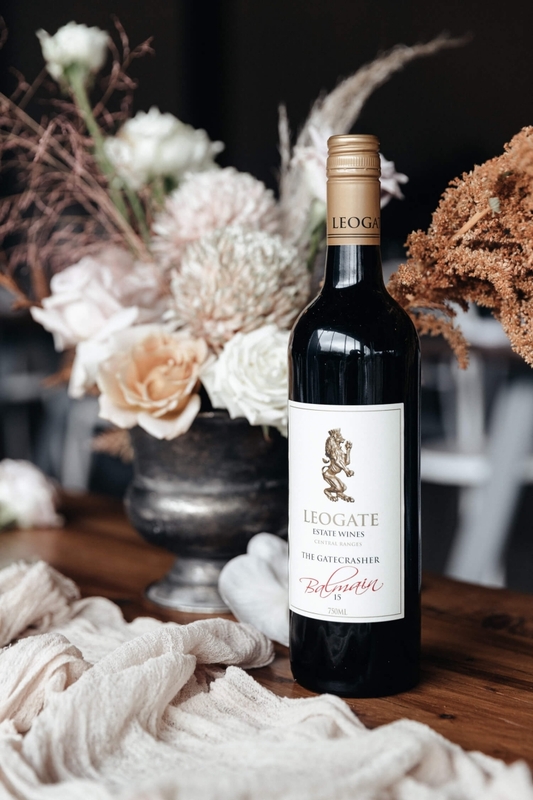 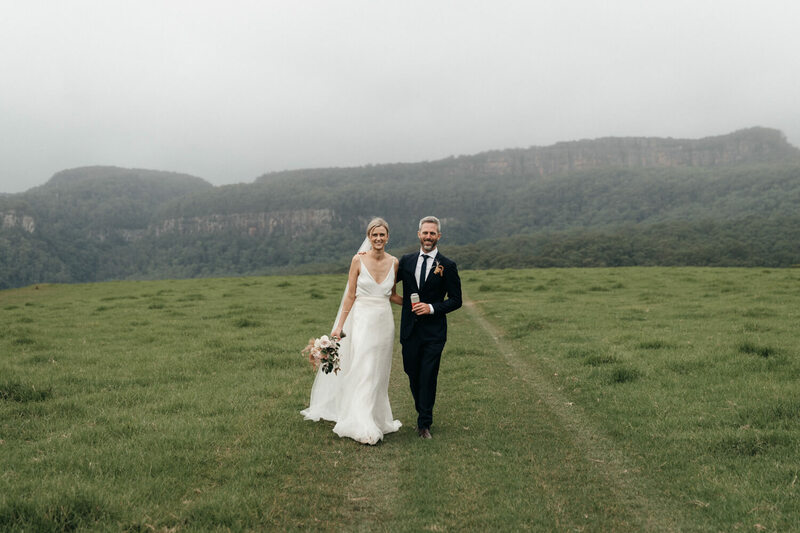 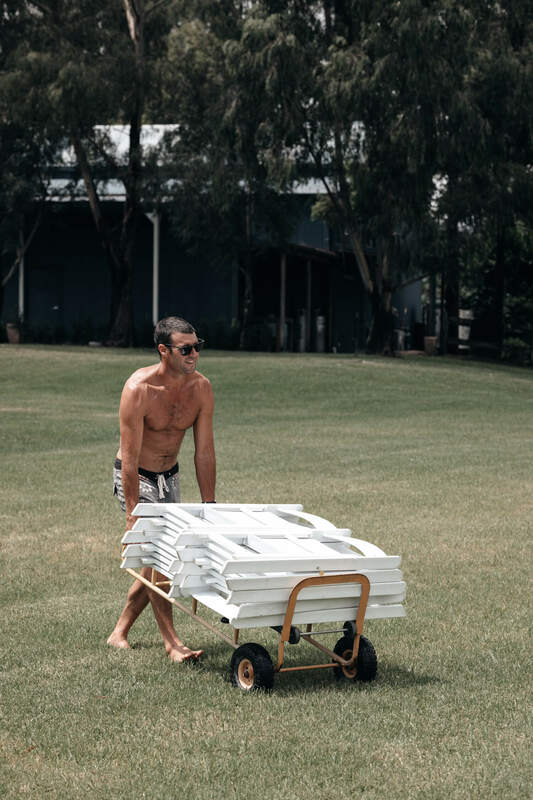 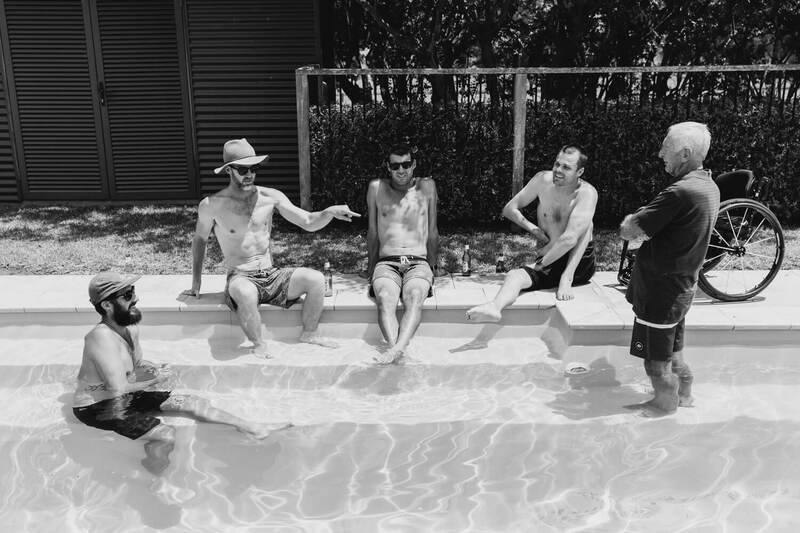 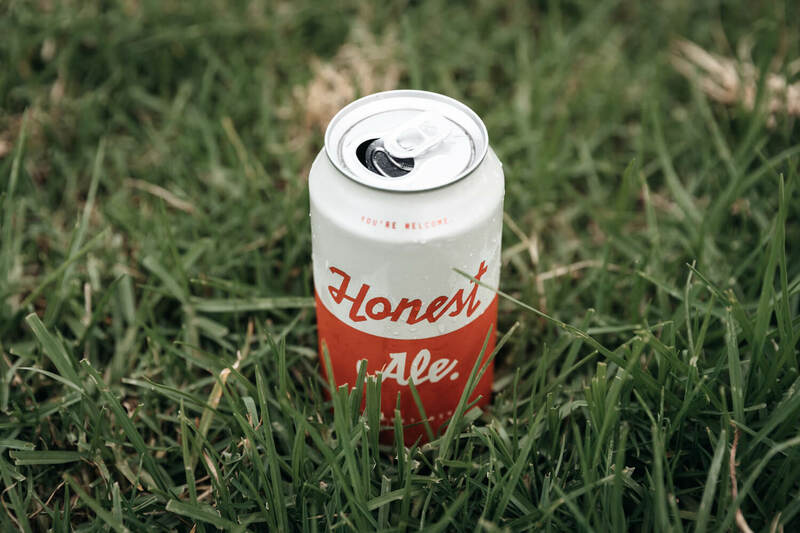 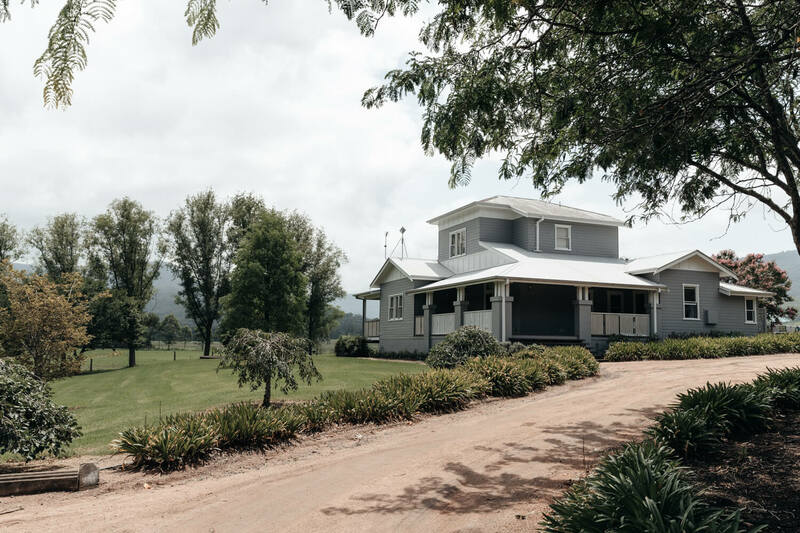 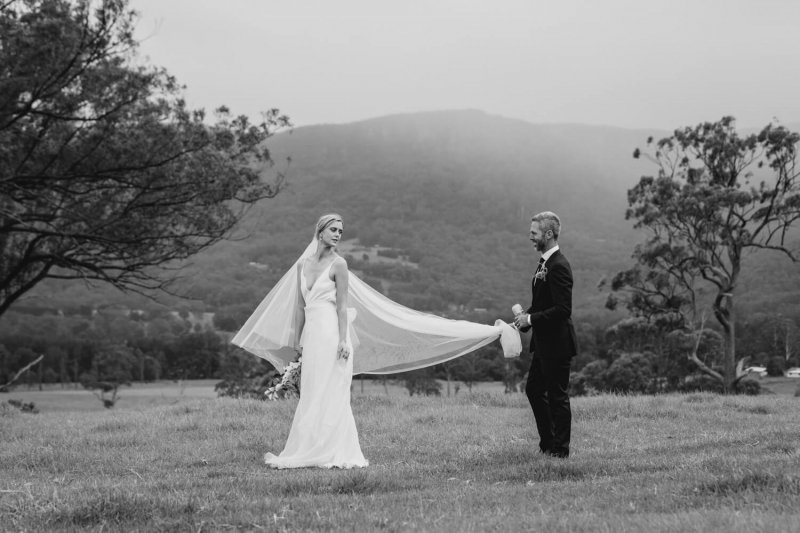 With Kangaroo Valley's surrounding mountains as the backdrop and a view which overlooked the valley off to one side, it was the perfect location. 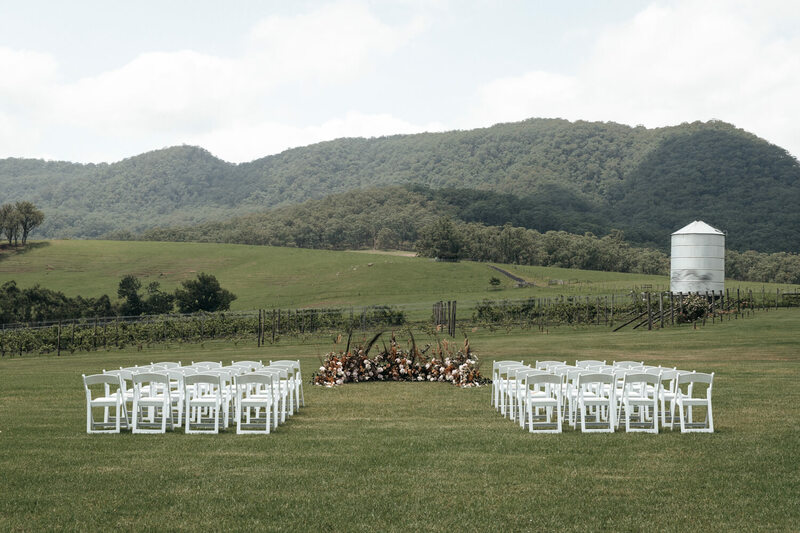 A lovely floral display sat atop the grass at the end of the aisle. 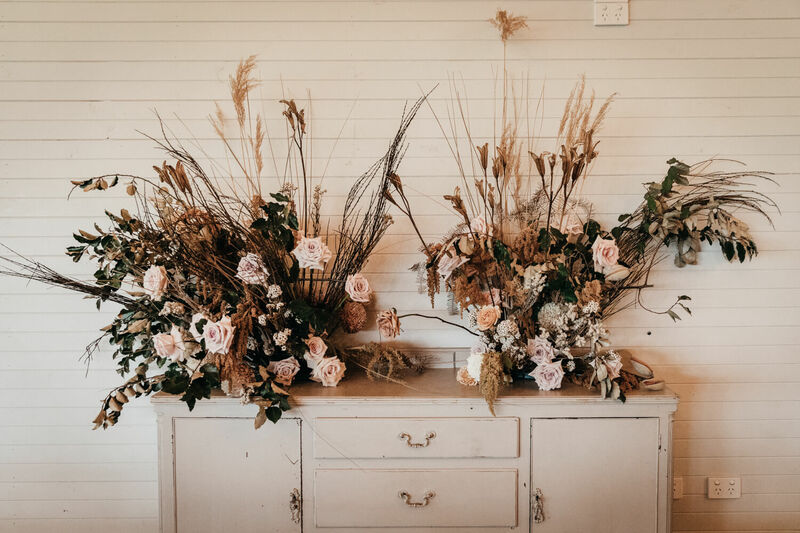 This display was more than enough to add a splash of colour and character while leaving an unobstructed view of the mountains that lay behind. 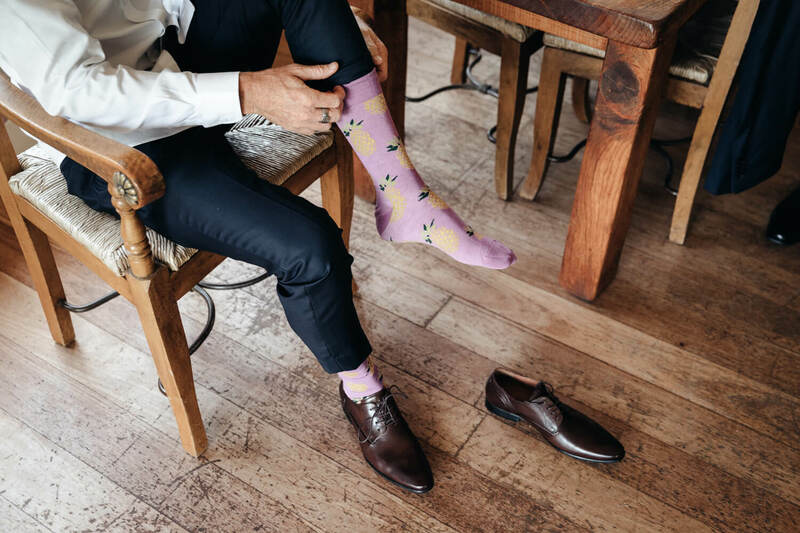 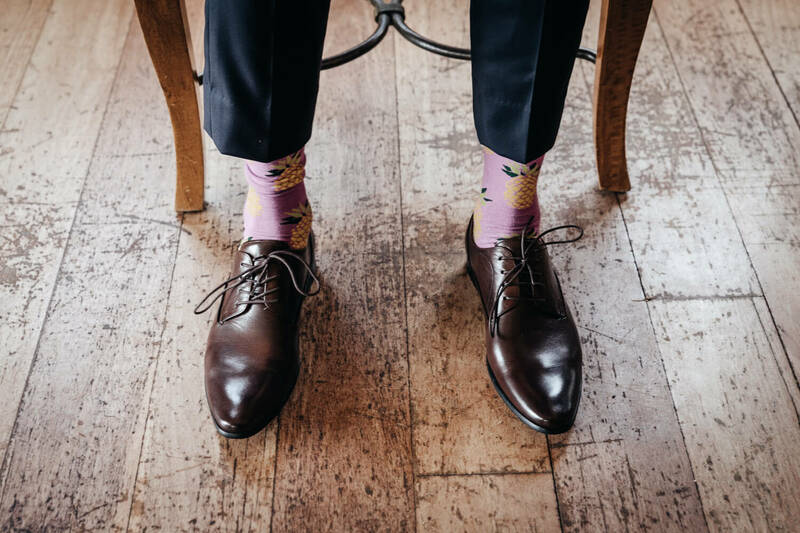 Elise surely did knock Johnno's pineapple socks off! 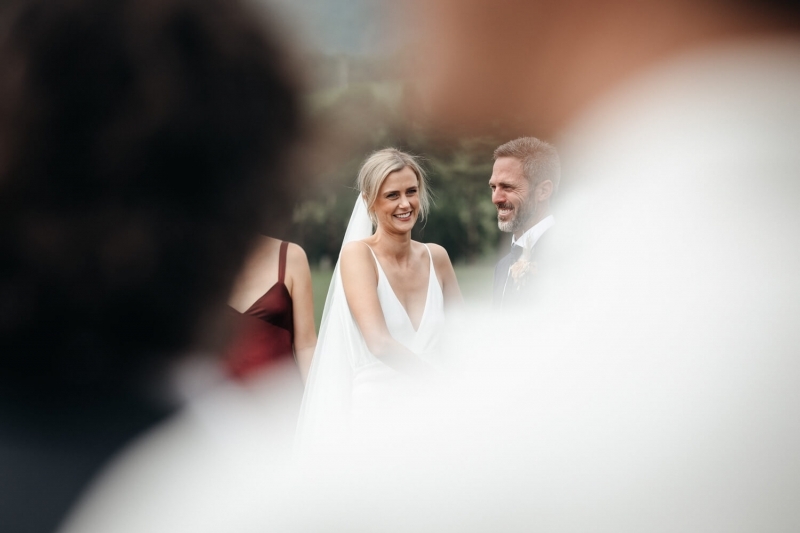 I could see he was a little glassy-eyed as his bride made her way down the aisle toward him. 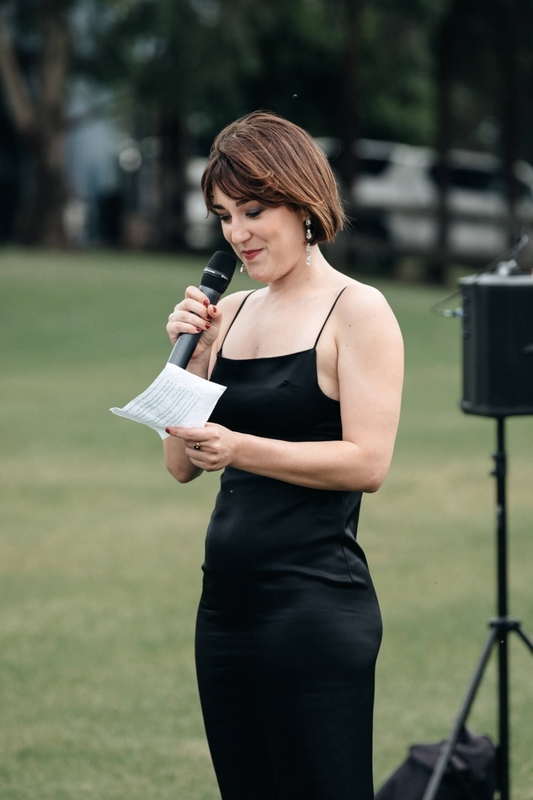 A few words were also given by Lauren, one of Elise's close friends to commemorate the ceremony. 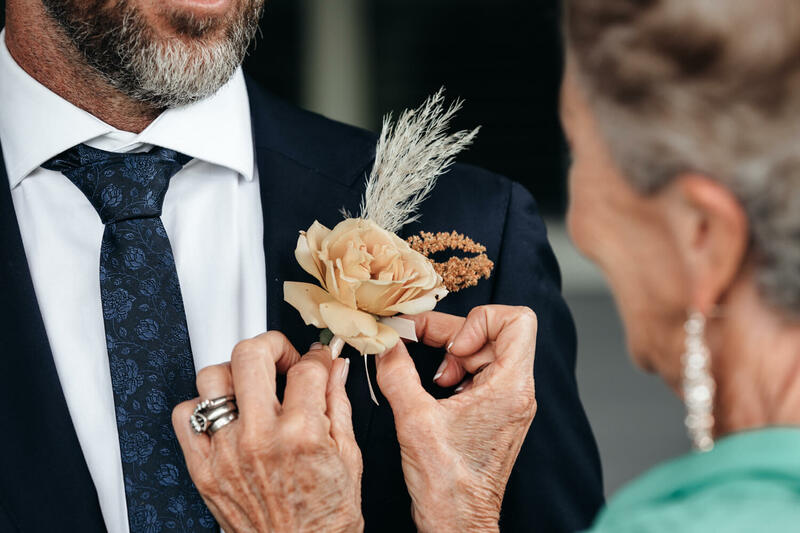 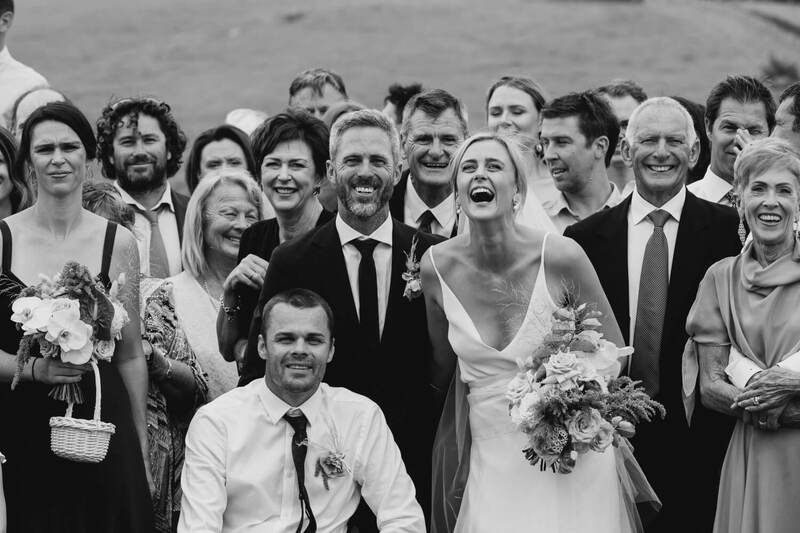 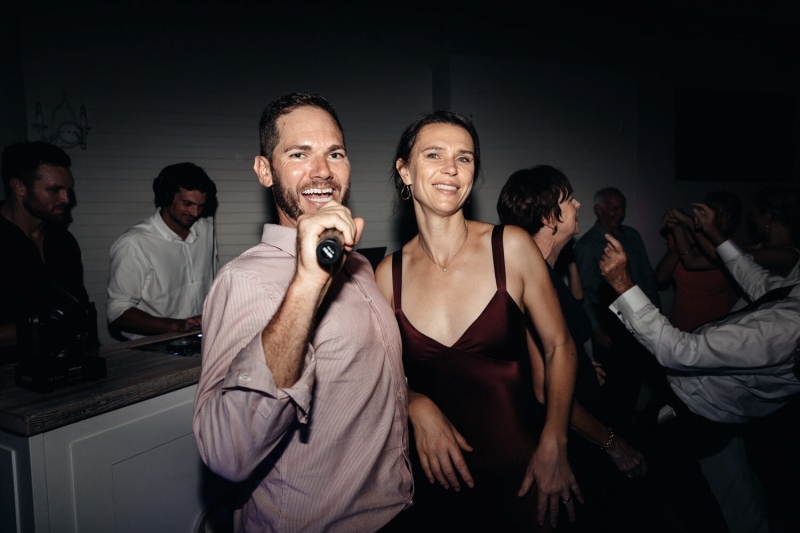 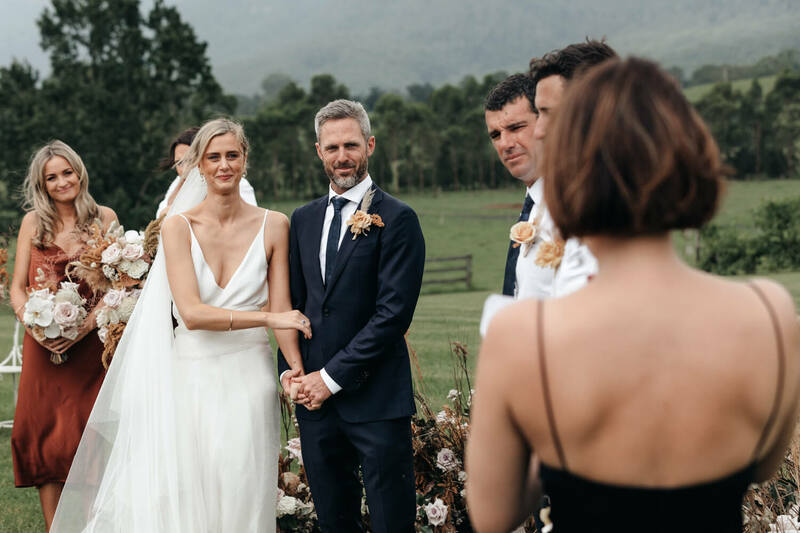 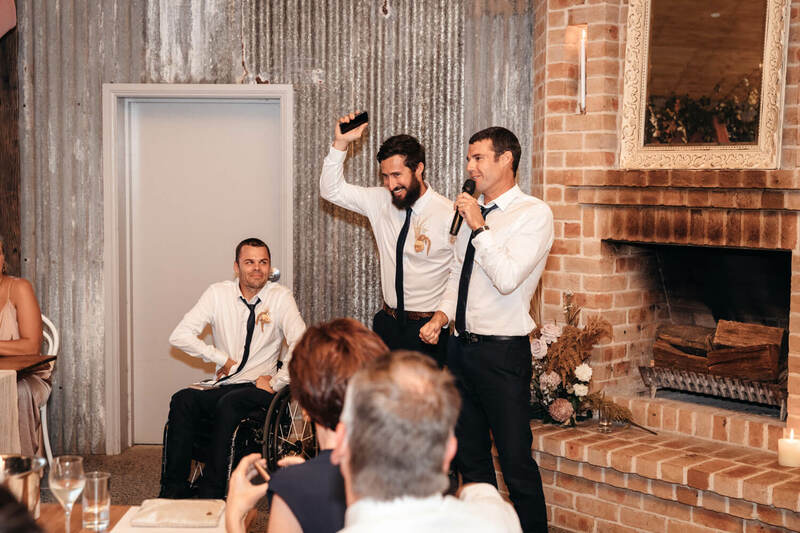 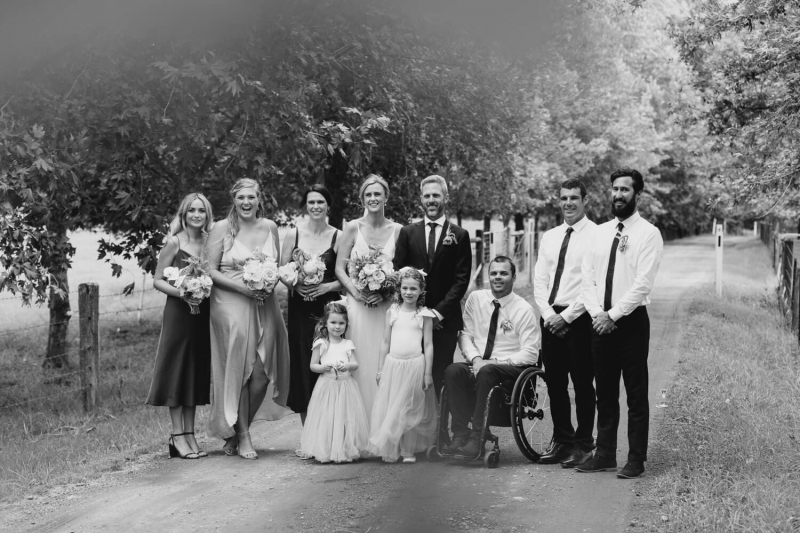 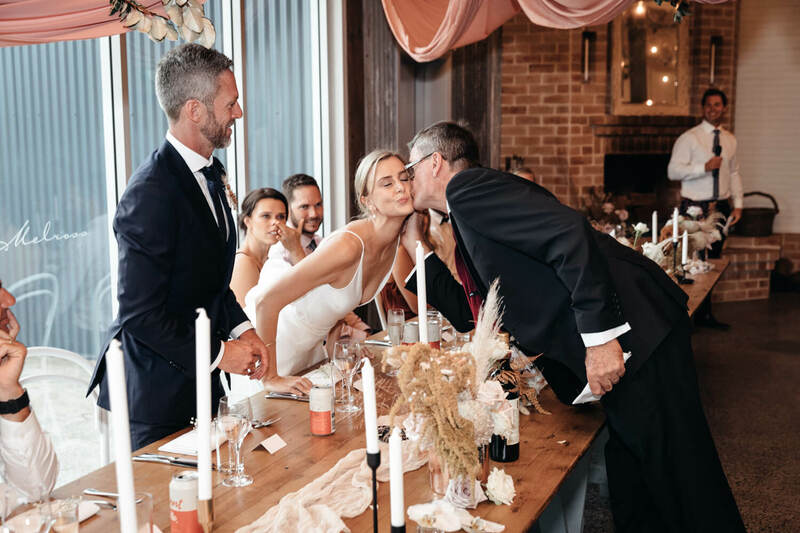 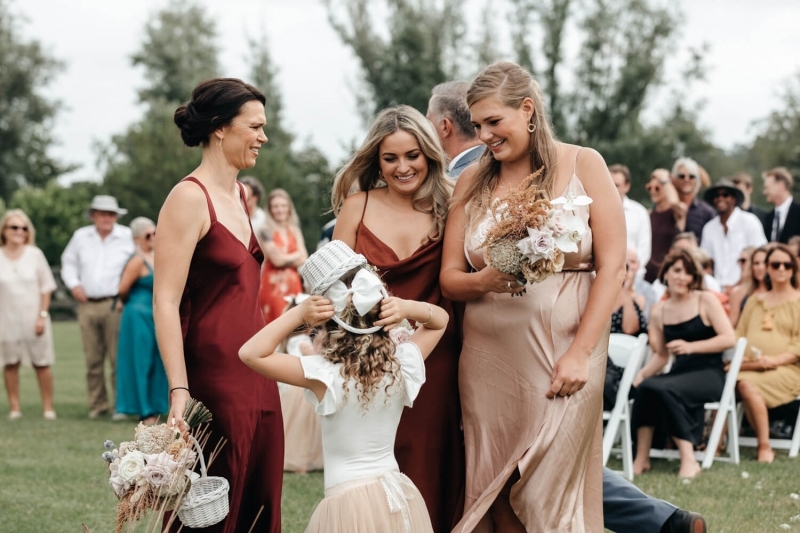 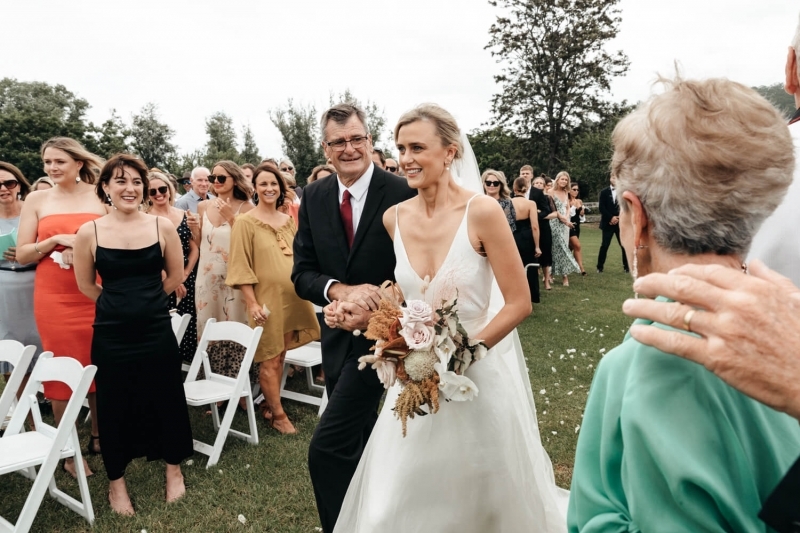 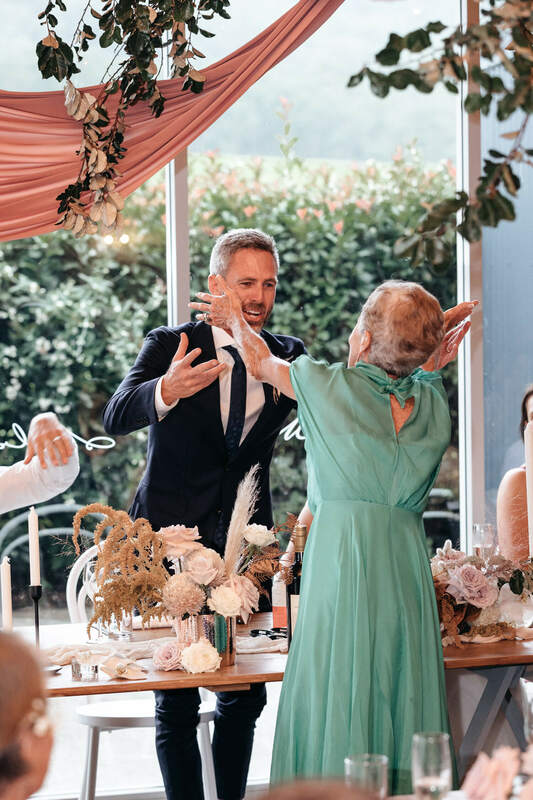 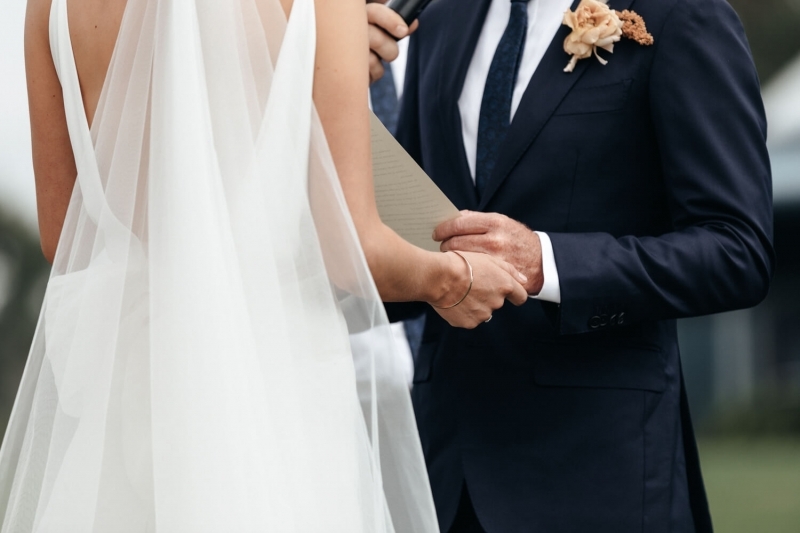 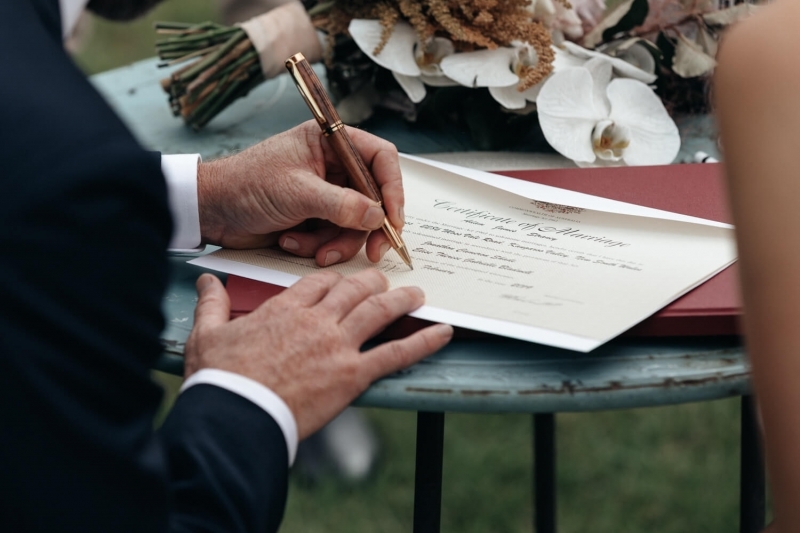 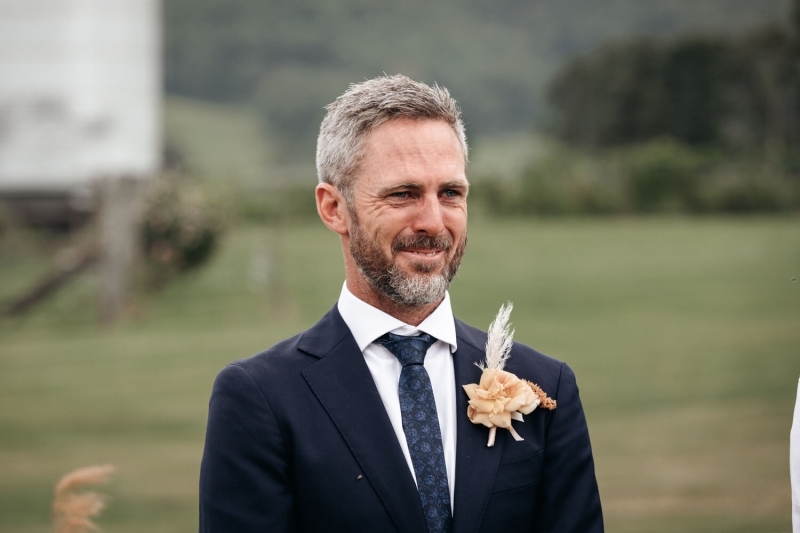 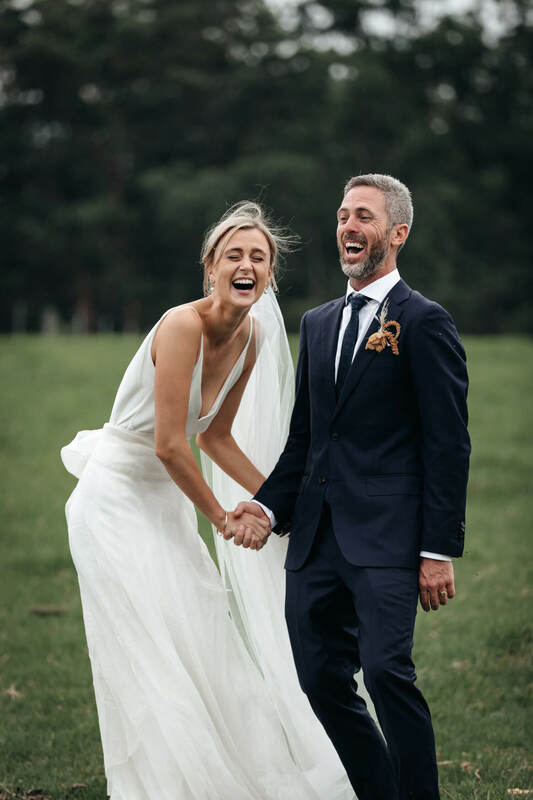 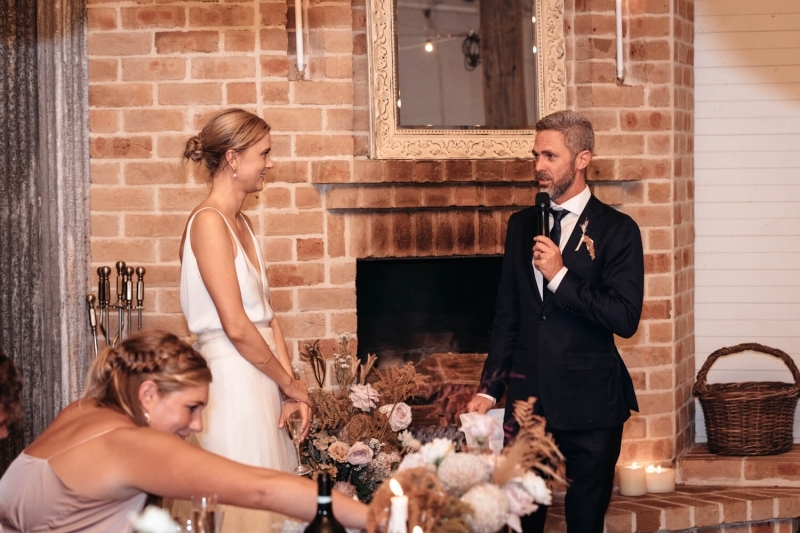 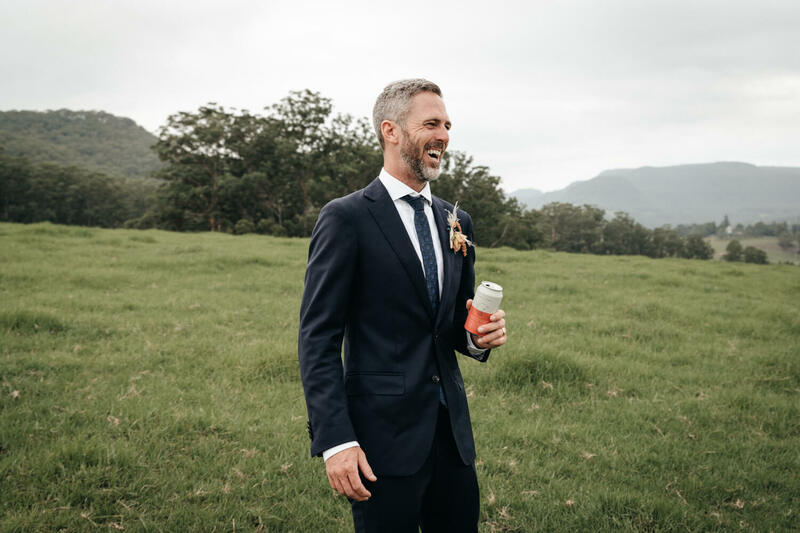 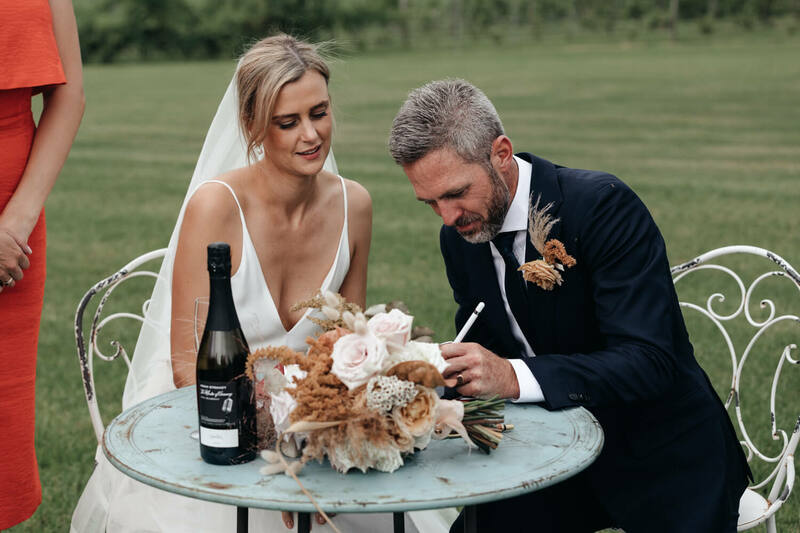 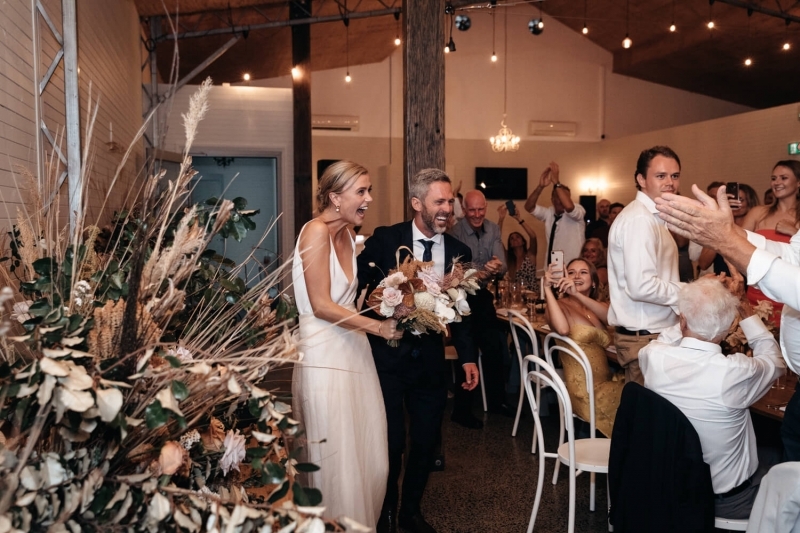 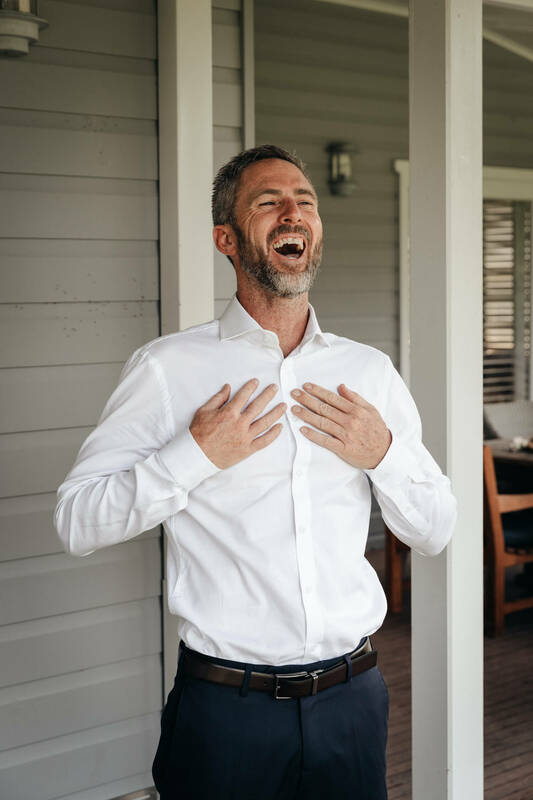 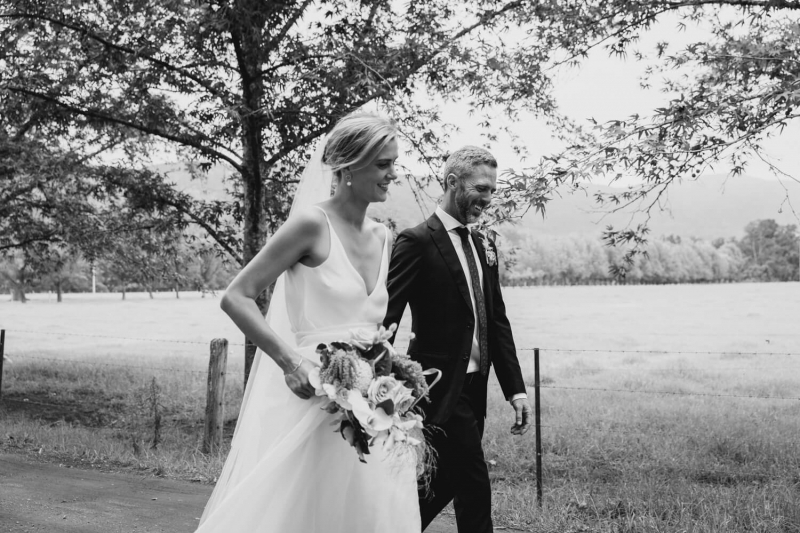 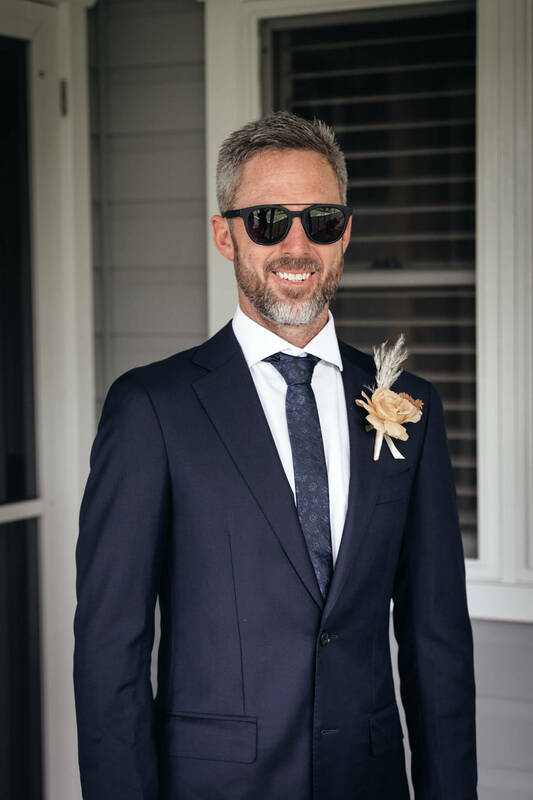 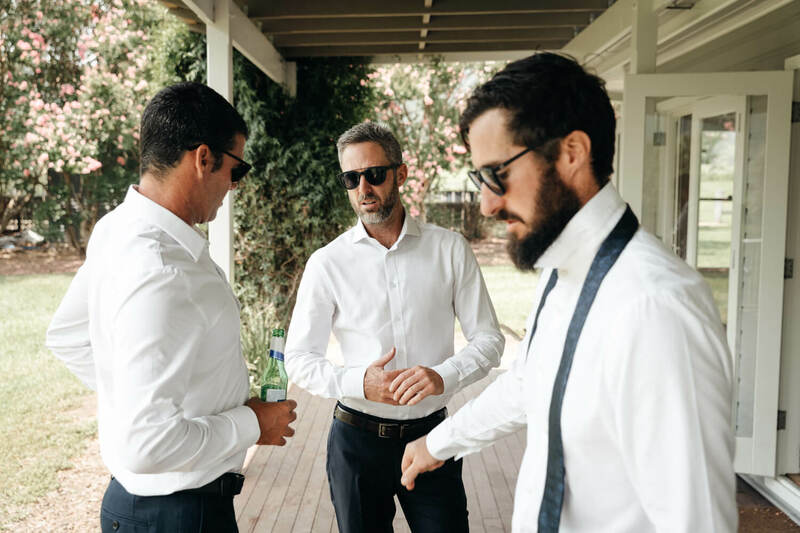 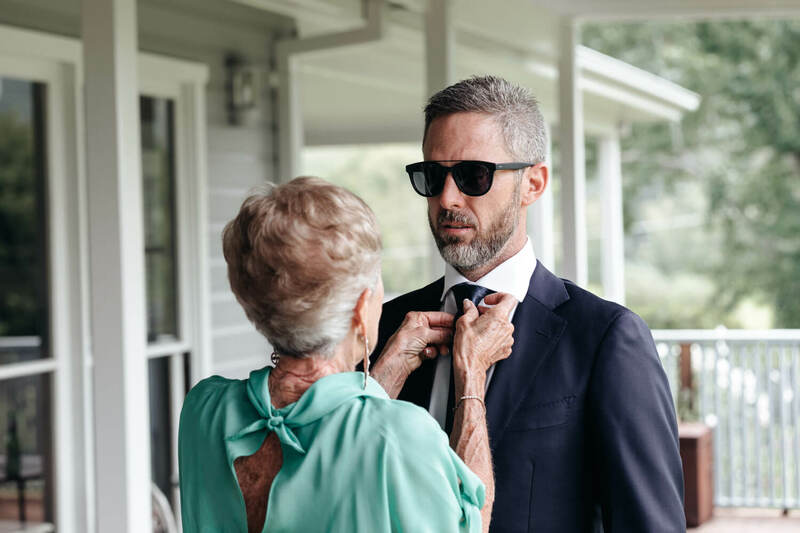 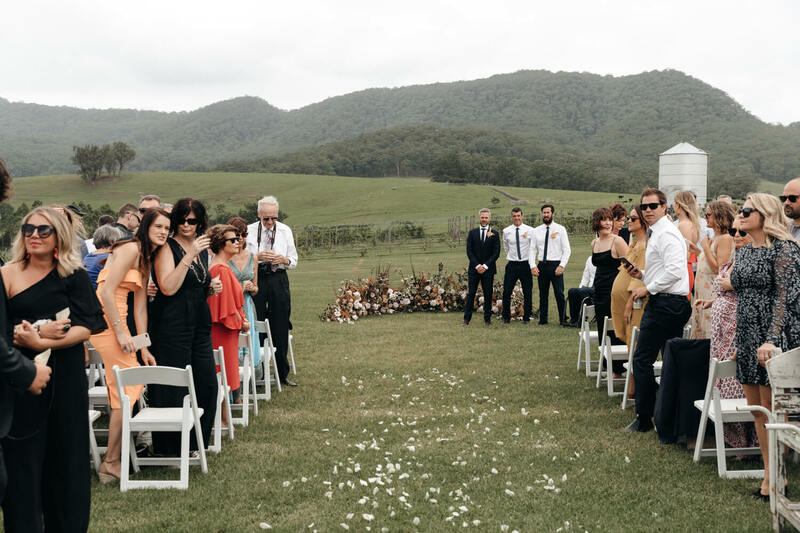 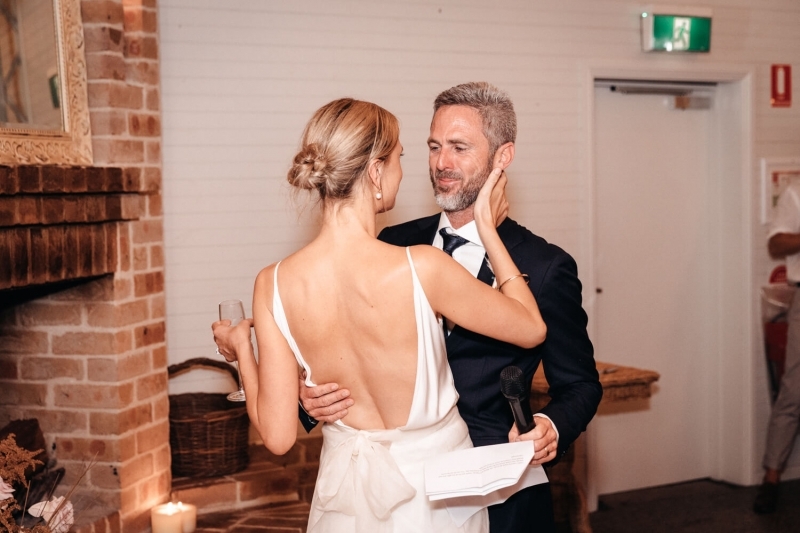 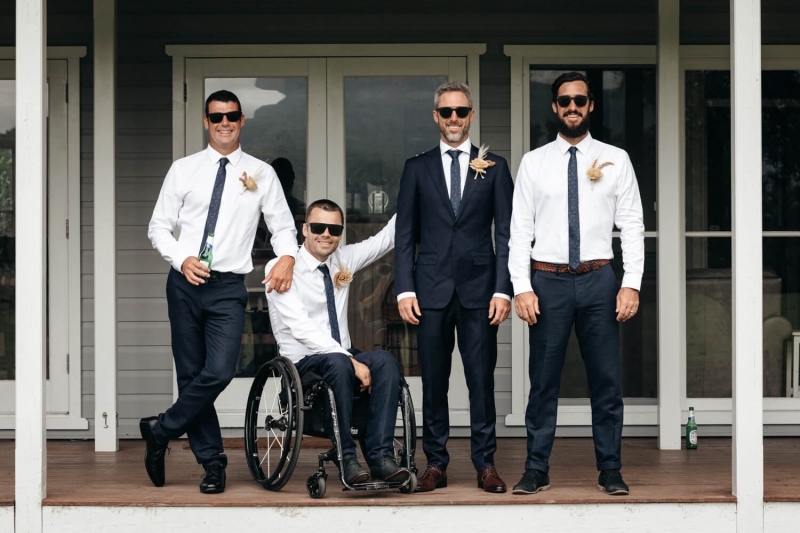 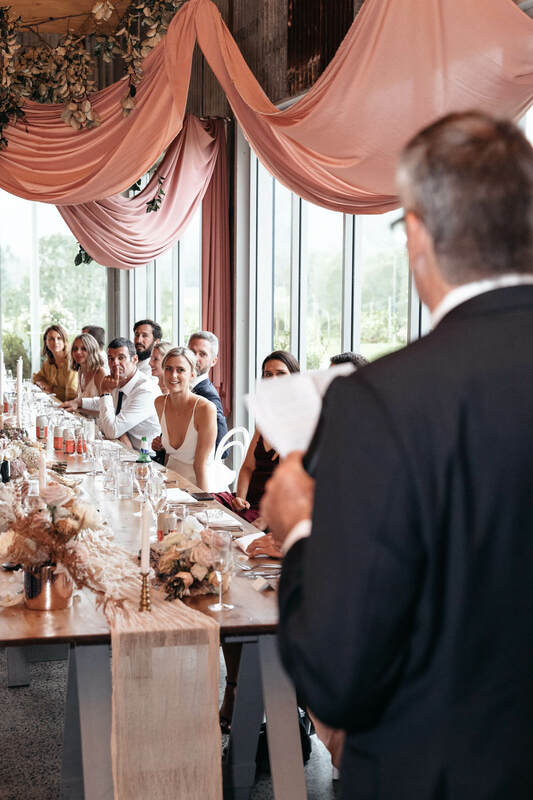 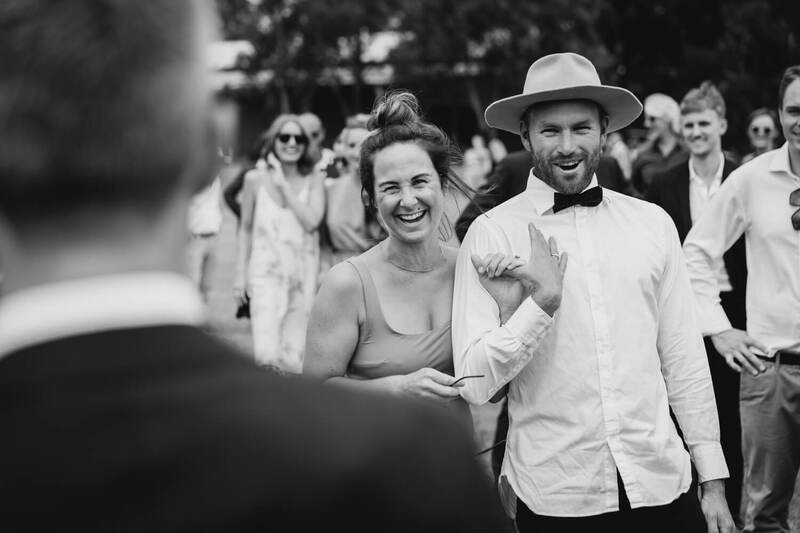 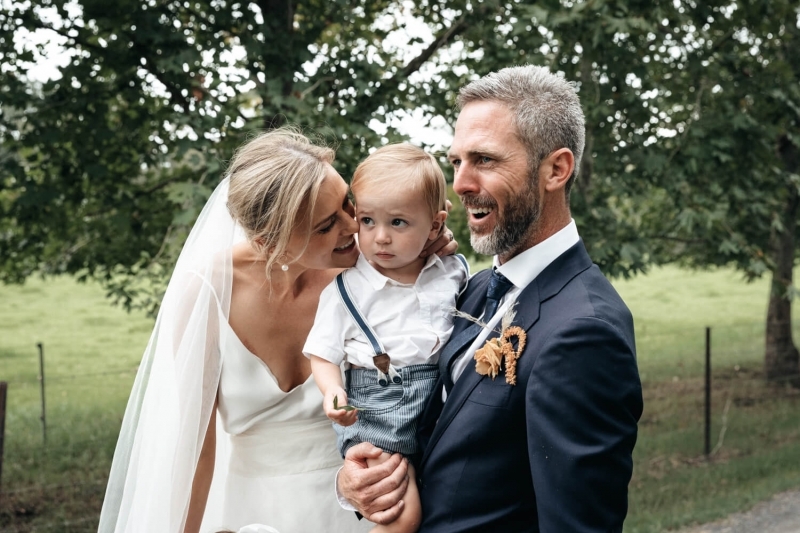 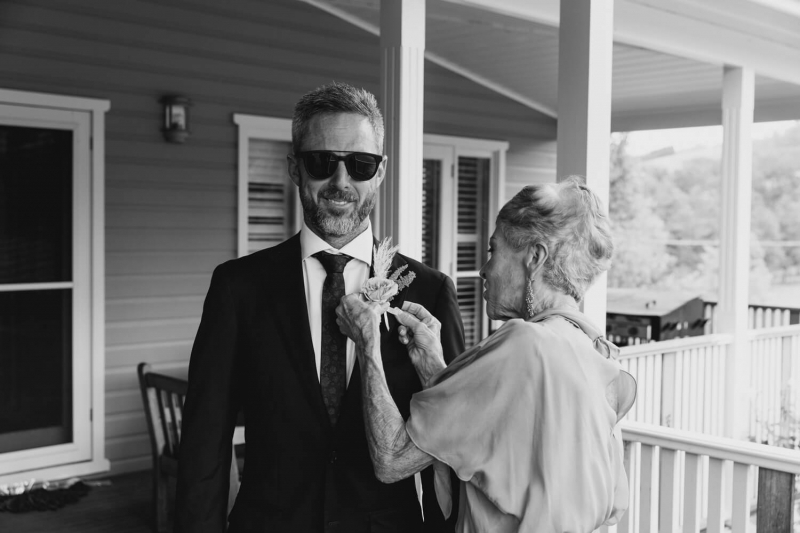 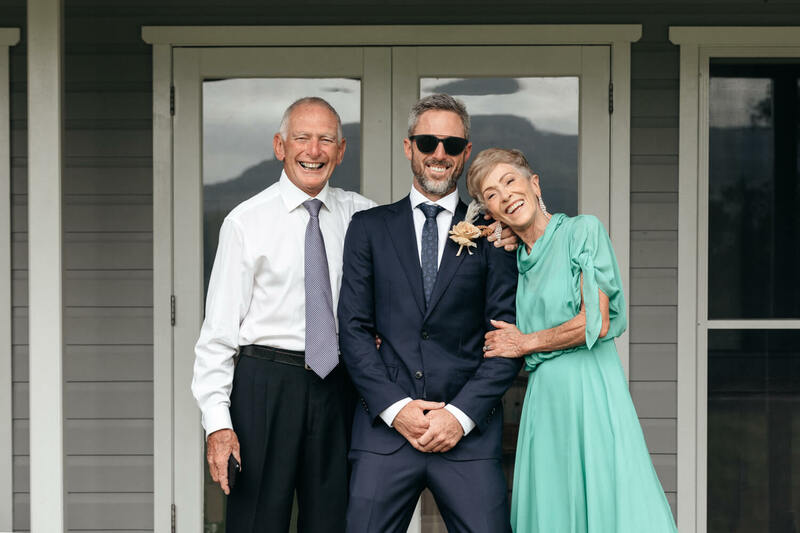 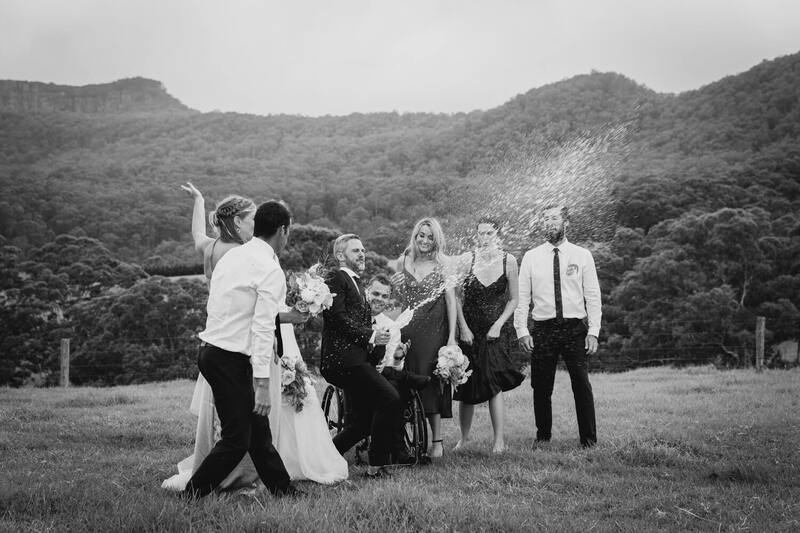 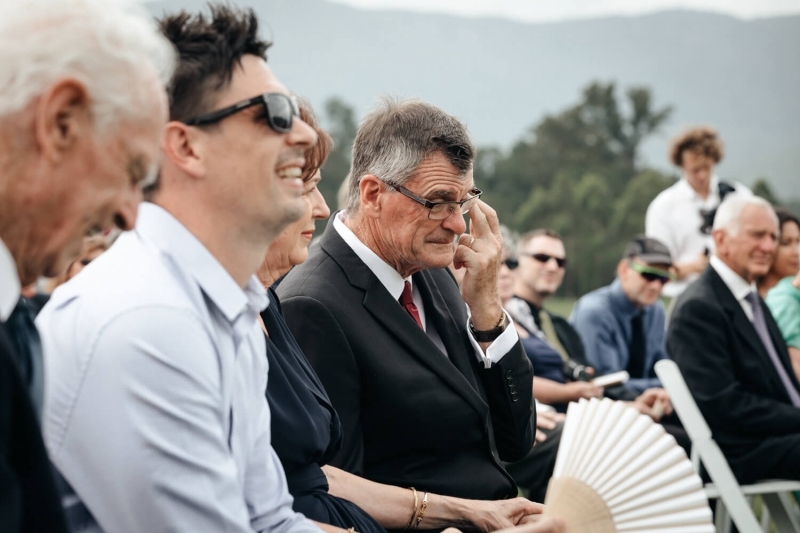 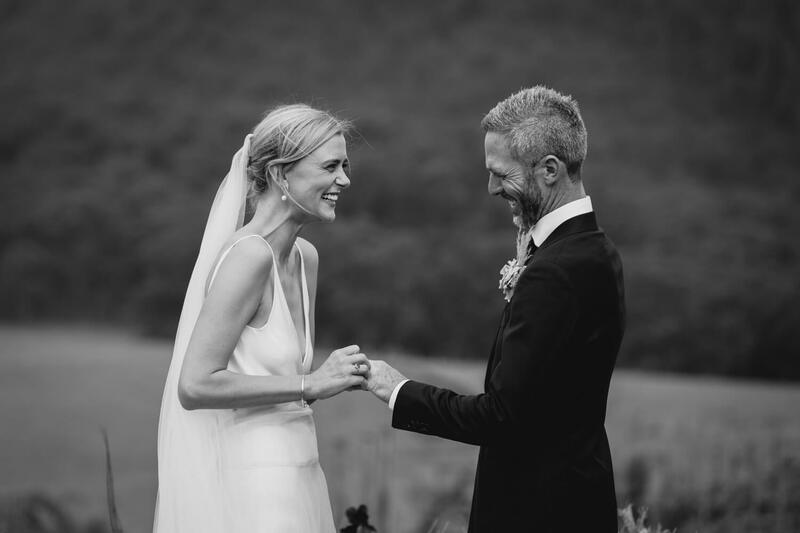 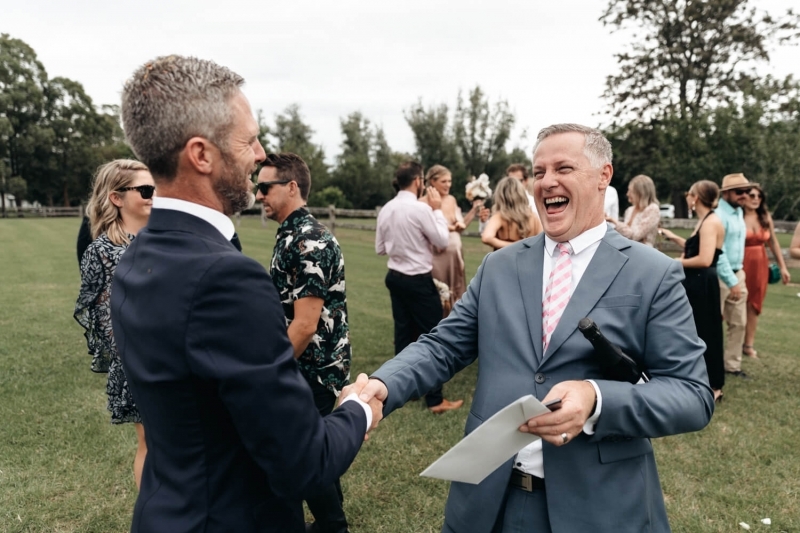 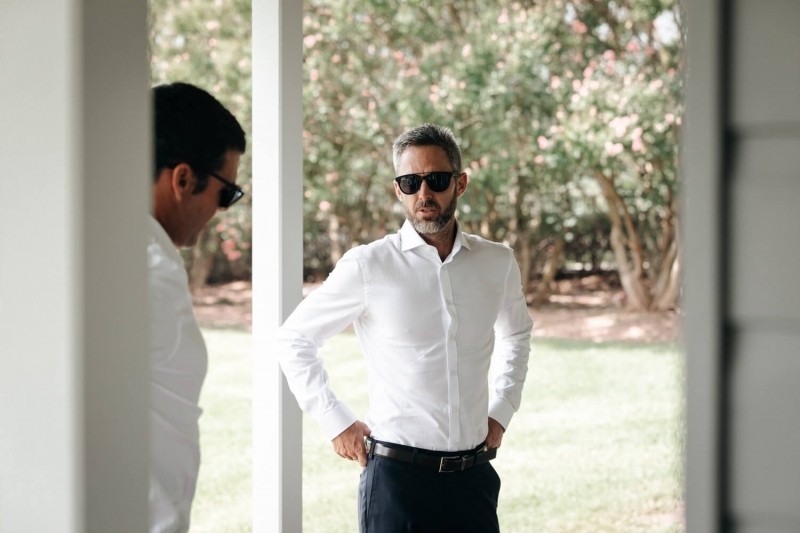 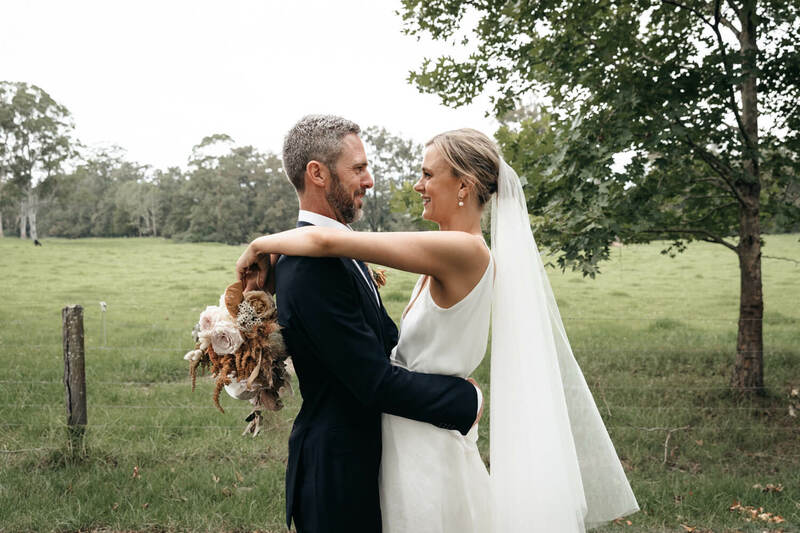 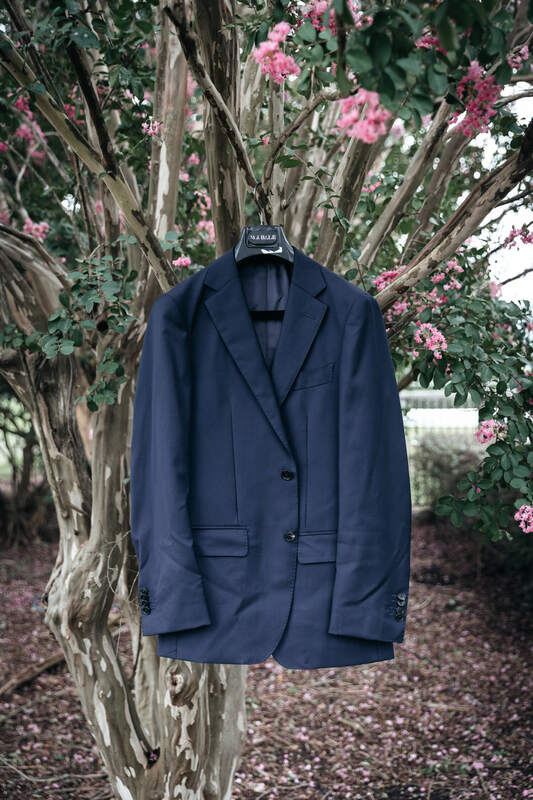 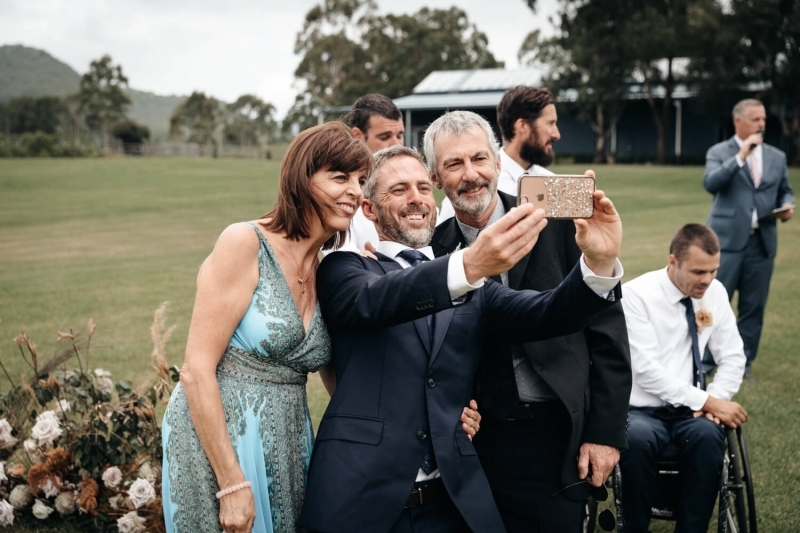 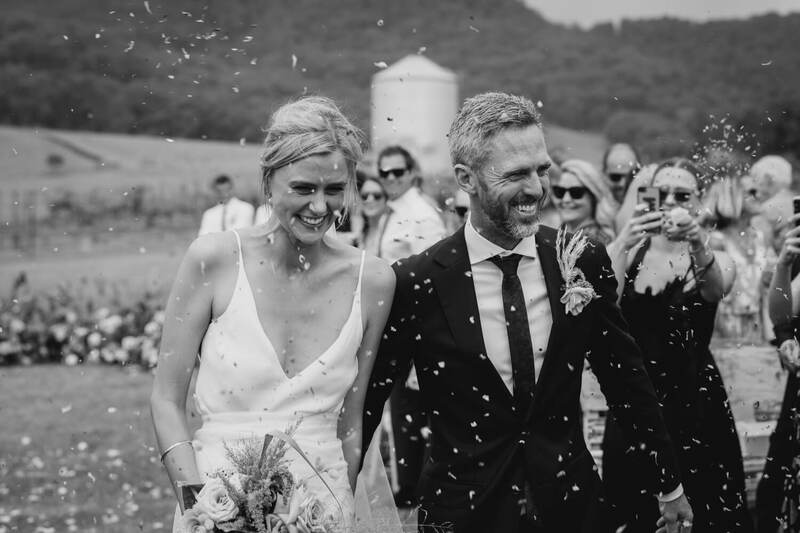 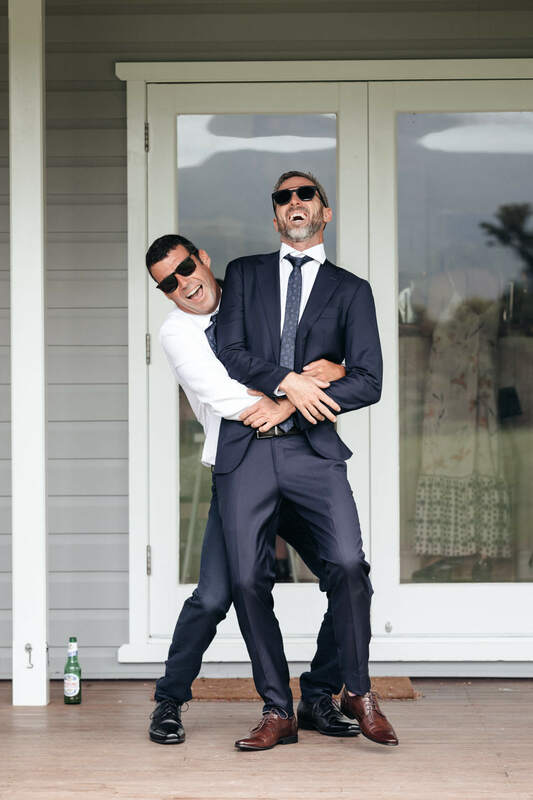 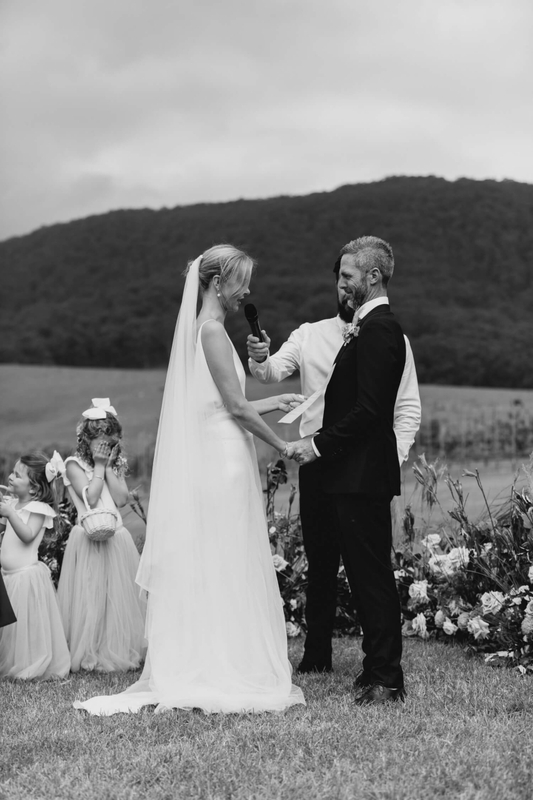 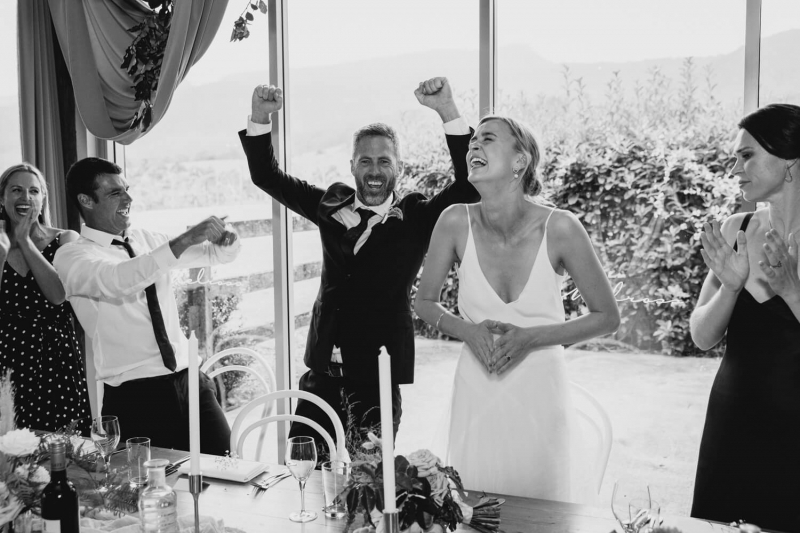 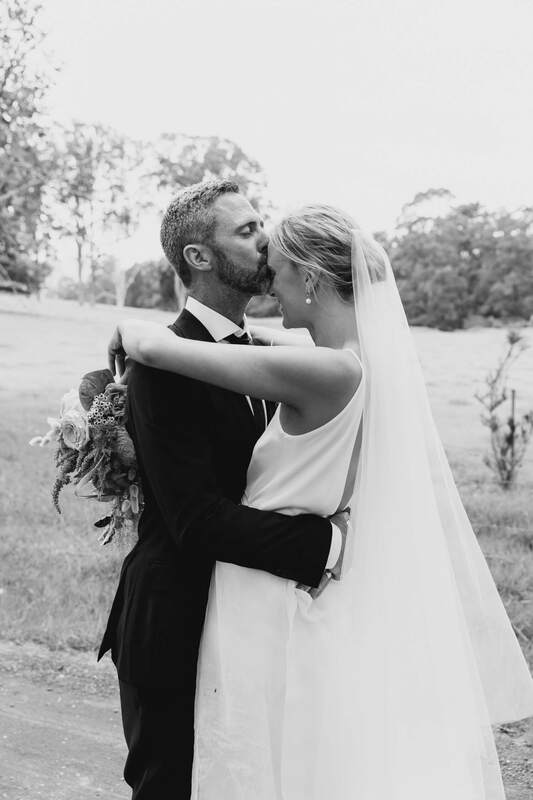 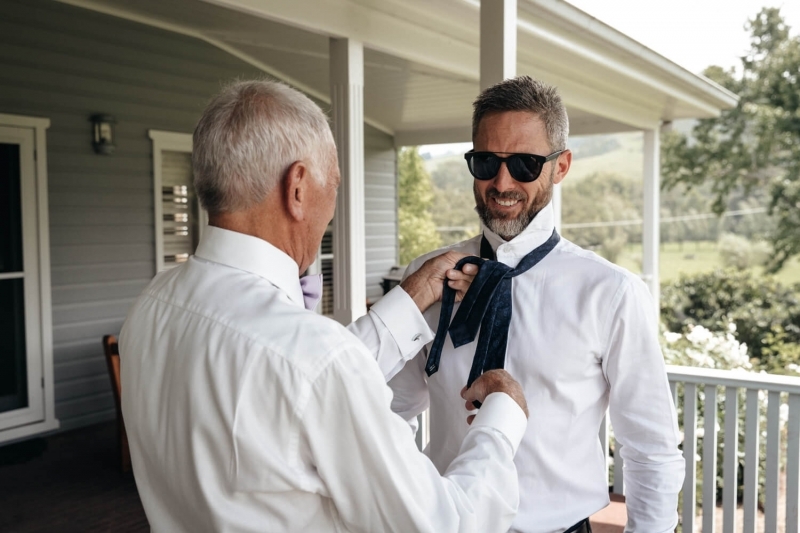 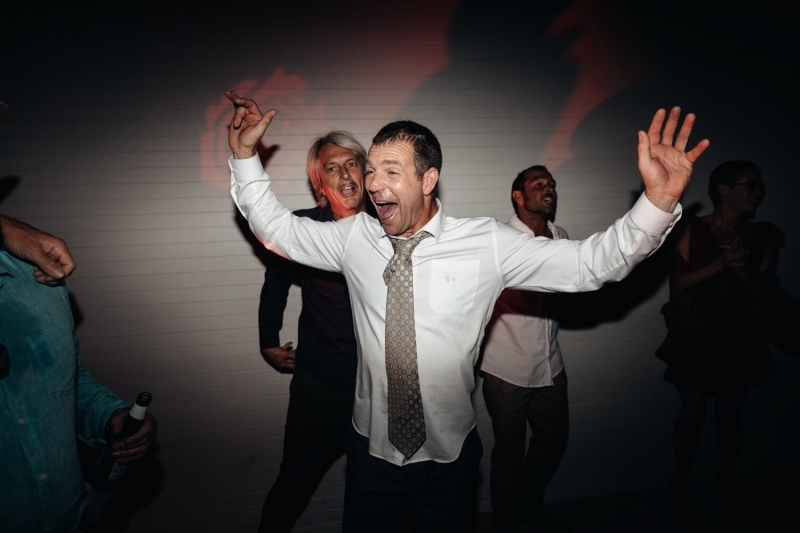 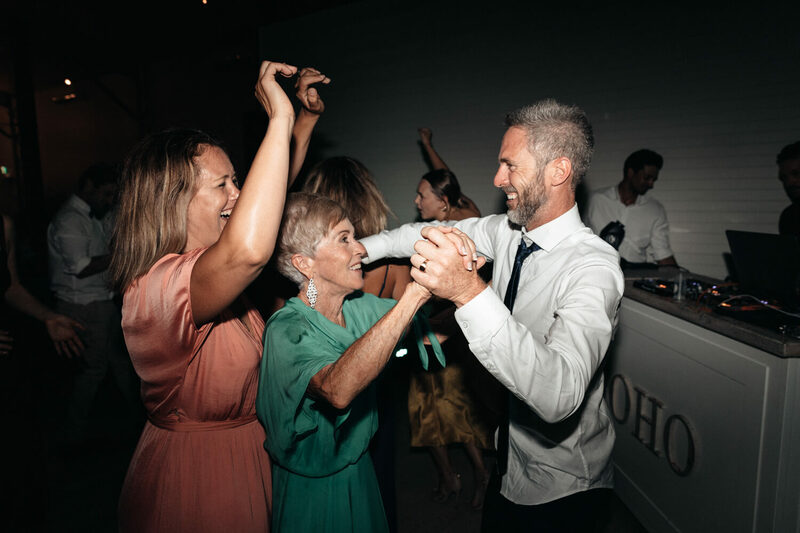 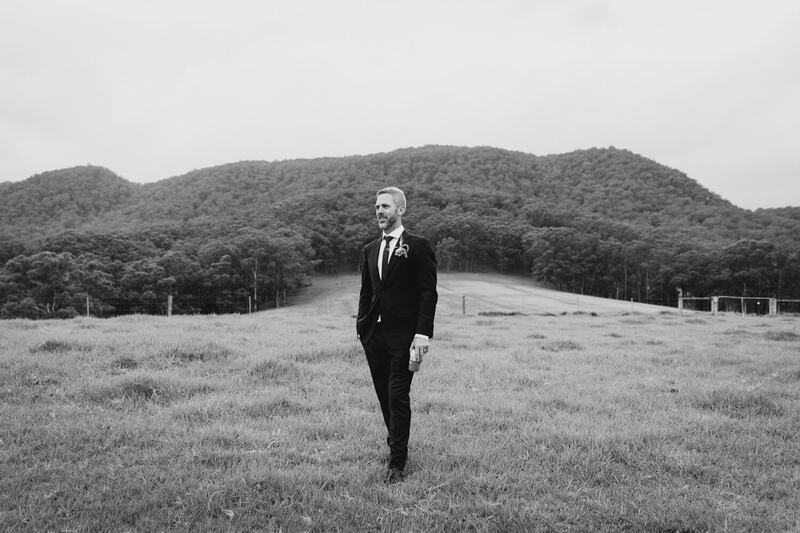 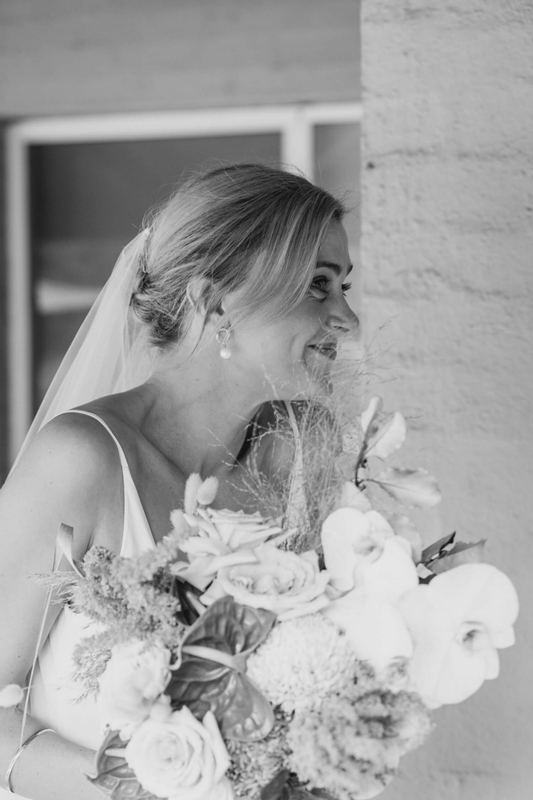 Thanks to the smooth words of their celebrant Adam Straney, their Kangaroo Valley wedding ceremony went off without a hitch. 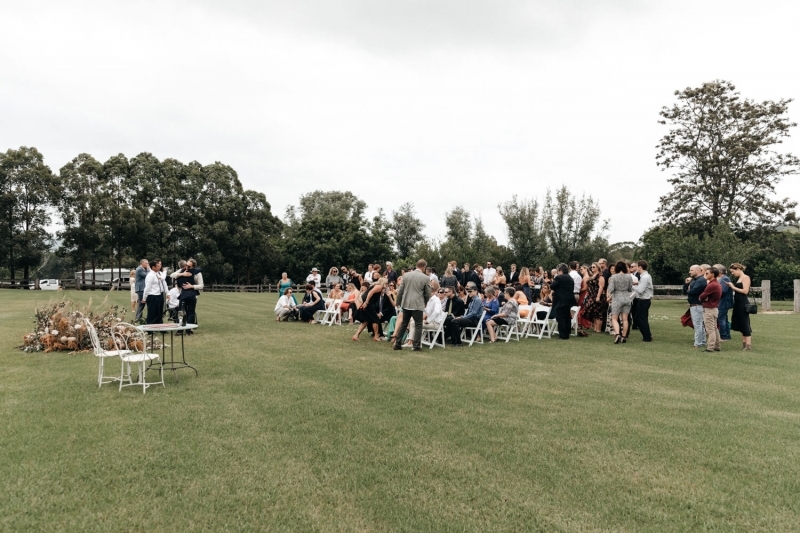 Following the ceremony, we made our way to one of those locations that we scoped out upon arrival to Melross Farm. Our first port of call was the maple tree lined driveway which leads you up to one of the most beautiful Kangaroo Valley wedding venues. 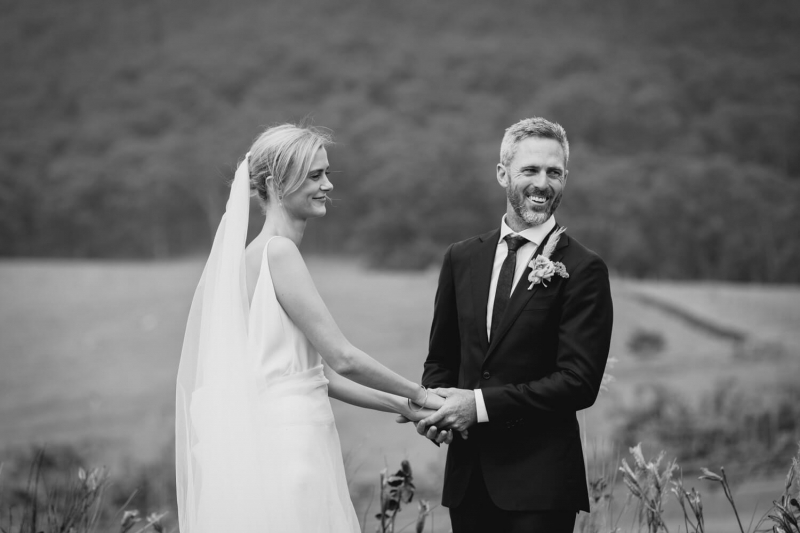 Fortunately, the sun wasn't shining, tucked behind some clouds which provided a nice diffused light to shoot in as it was still early afternoon. 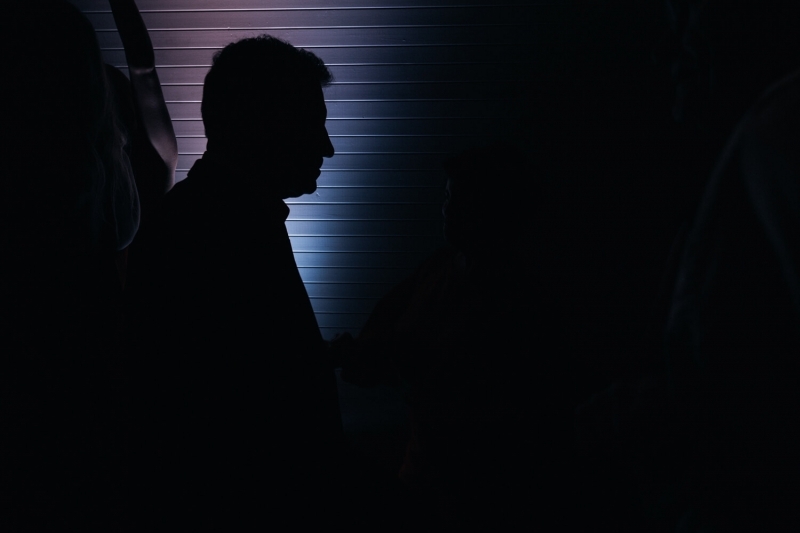 This location may have otherwise been a difficult spot to work with at this time of day. 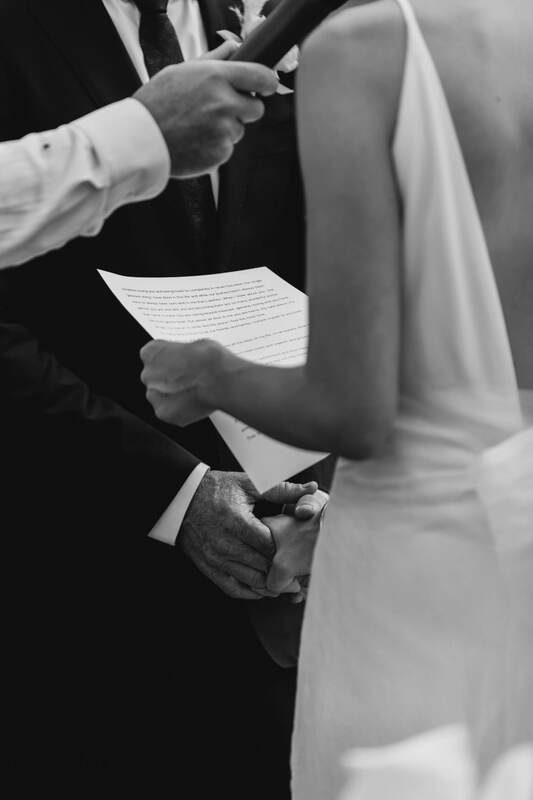 Remember the chemistry I was talking about earlier in this blog? While it is noticeable during the ceremony, it becomes even more evident during the location shoot. 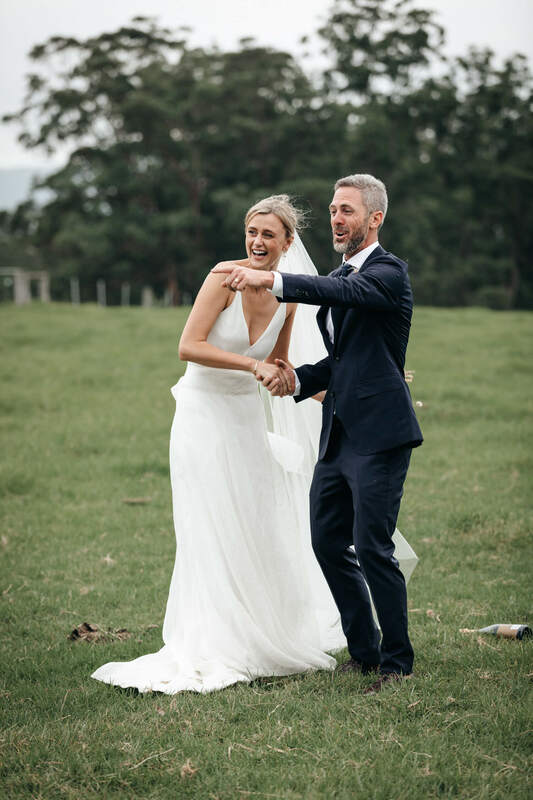 Because Elise and Jono had that in spades, they made shooting a breeze! 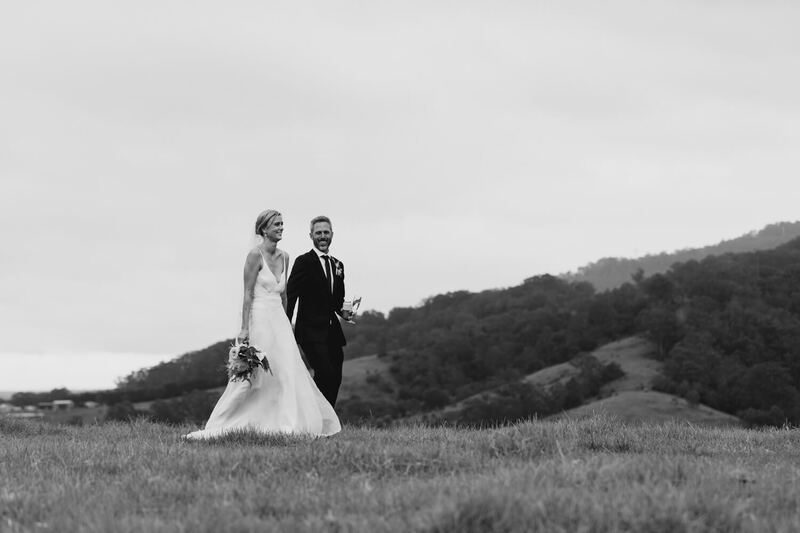 After shooting portraits on the driveway, we eventually made our way up to the top of the hill. 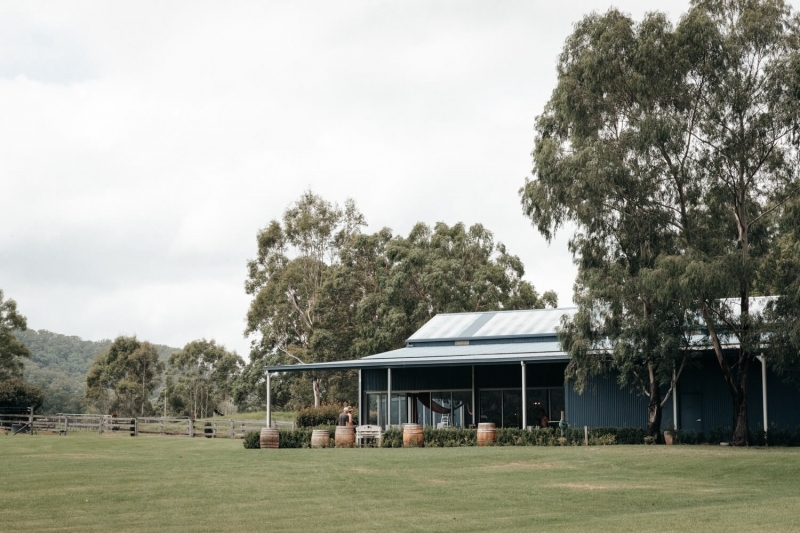 This location would have to be a favourite for any wedding photographer shooting a Melross Farm Wedding at sunset. 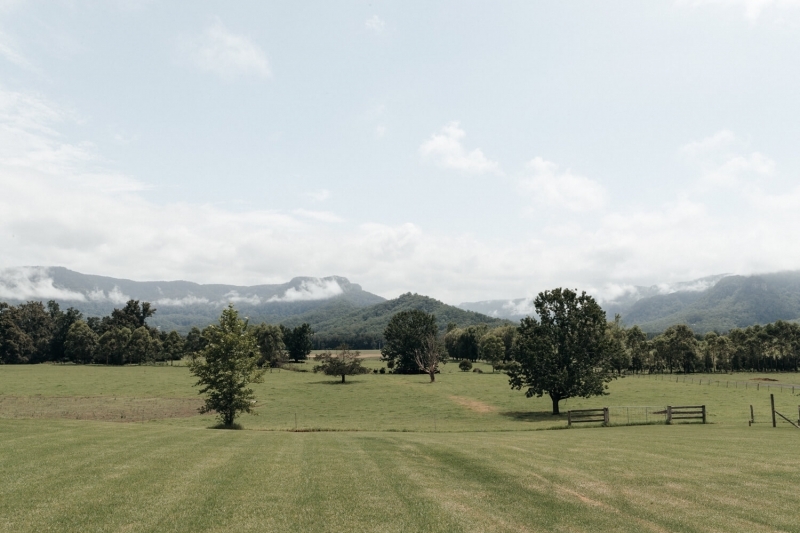 That's because this spot overlooks the entire valley. 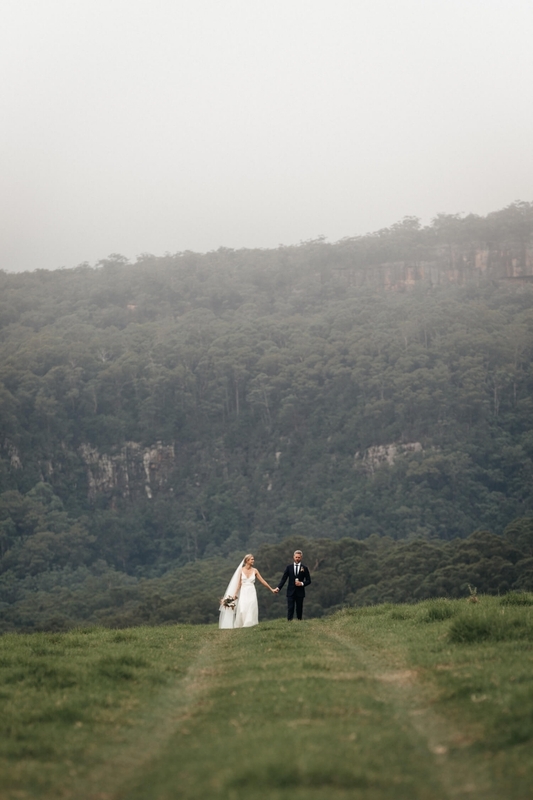 Here, the sun usually sets behind one of the distant Kangaroo Valley hills. 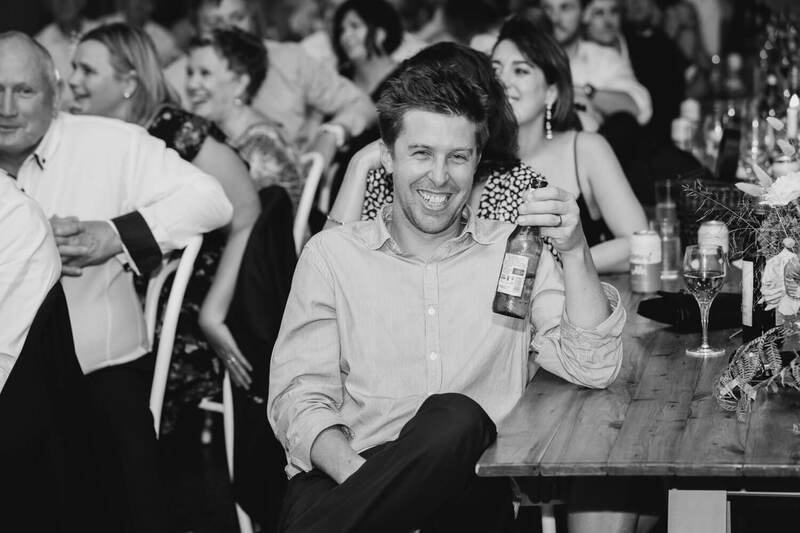 It wasn't out on this occasion though and I was totally fine with that. 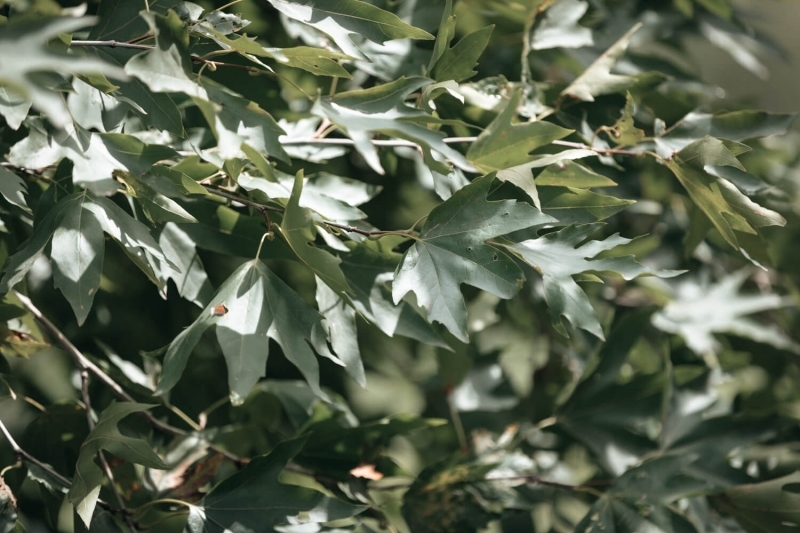 One memorable moment which occurred during the shoot was when the videographer accidentally flew his done into a patch of trees. Much like a whipper snipper cutting grass, the sound of the drone made everyone's heads turn. 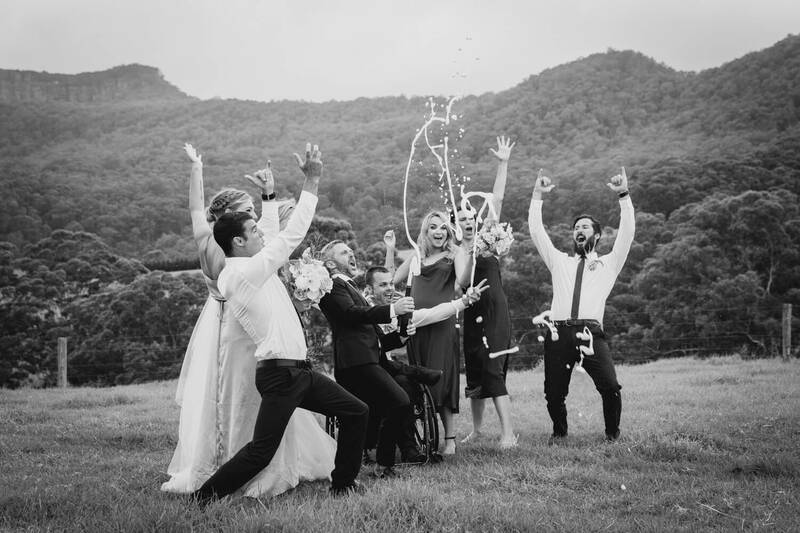 Immediately the videographer hit the eject button and flew it directly up and out of harm's way. 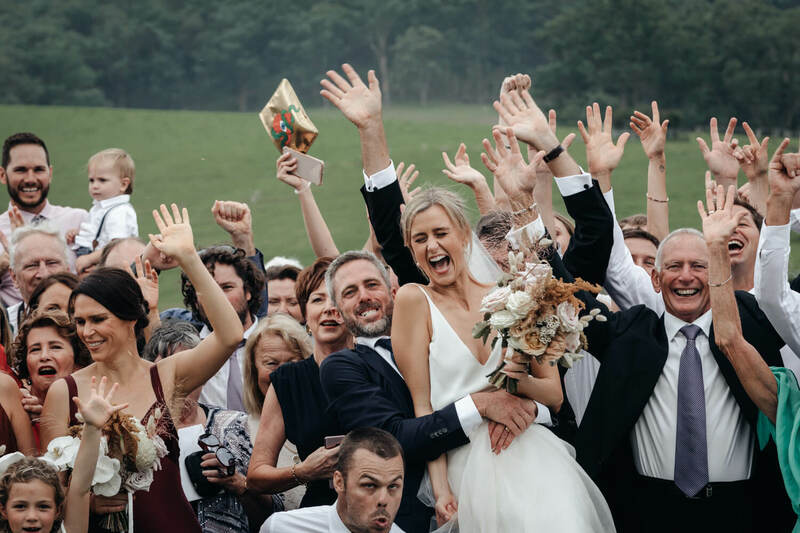 The entire bridal party cheered with arms in the air as the drone made it safely out of the Melross Farm foliage. 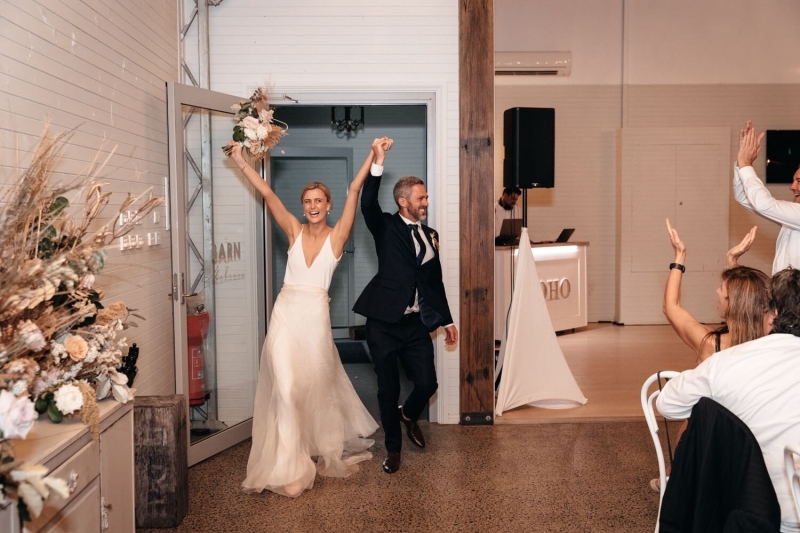 When the bride and groom enter their reception to Fisher's 'I'm Losing it' track, you know you're in for an eventful reception. After finding their seats, we began the formalities. 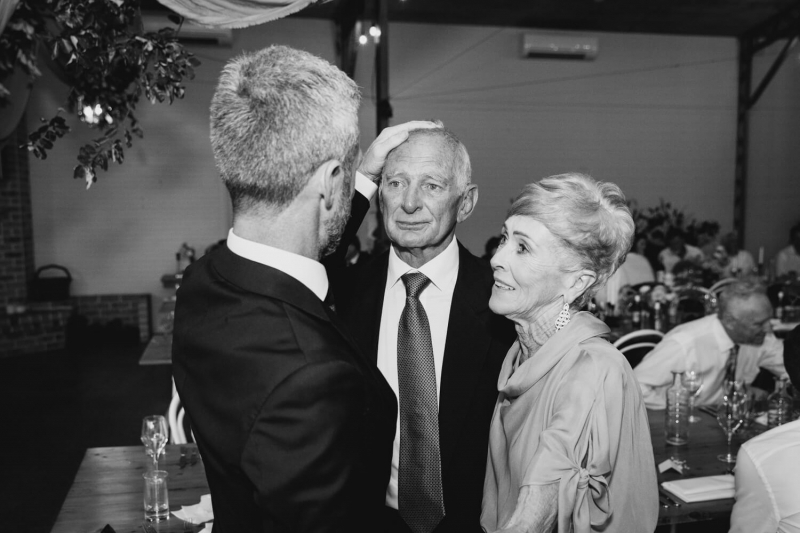 One speech which happened to stand out was the words from Jono's father. He gave a real heartfelt and moving speech about finding the one and what makes a partner for life. 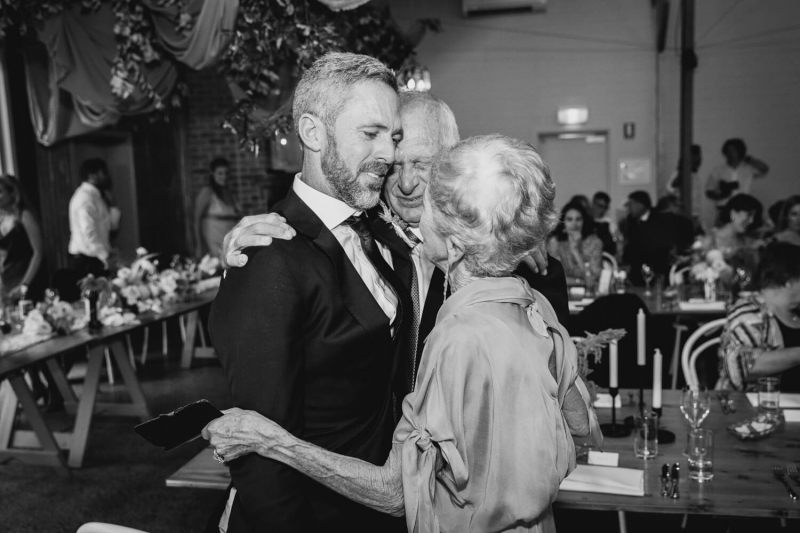 It was the emotional moment that followed between Jono, his dad and mum that I'm so grateful I was able to document for them. The photos of this moment would have to be my favourite of the day. That's because they show the raw and honest emotion that was taking place between the family at that moment. 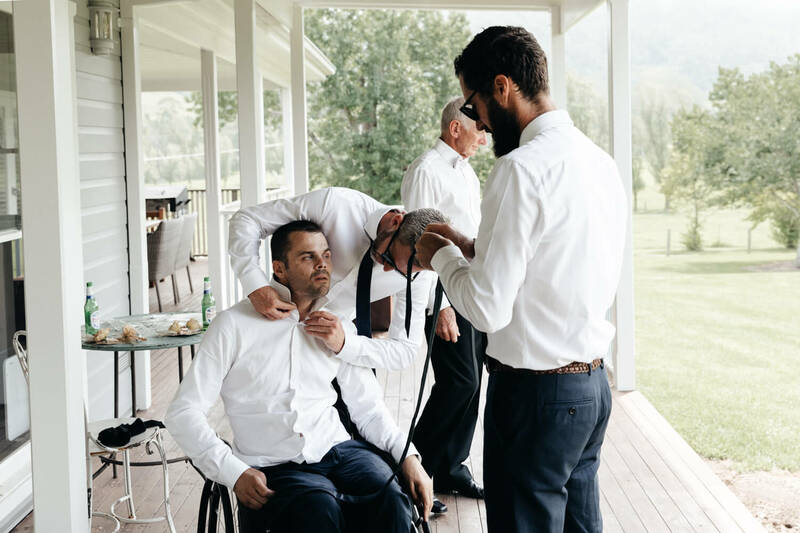 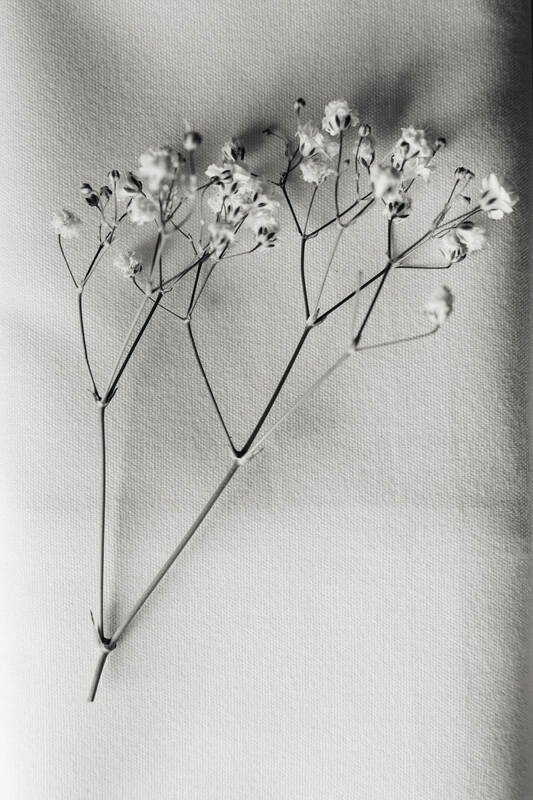 So much so, you can almost feel it when you look at the images. I had also purchased some confetti prior to their Melross Farm wedding, hoping we would be able to use it during the location shoot. 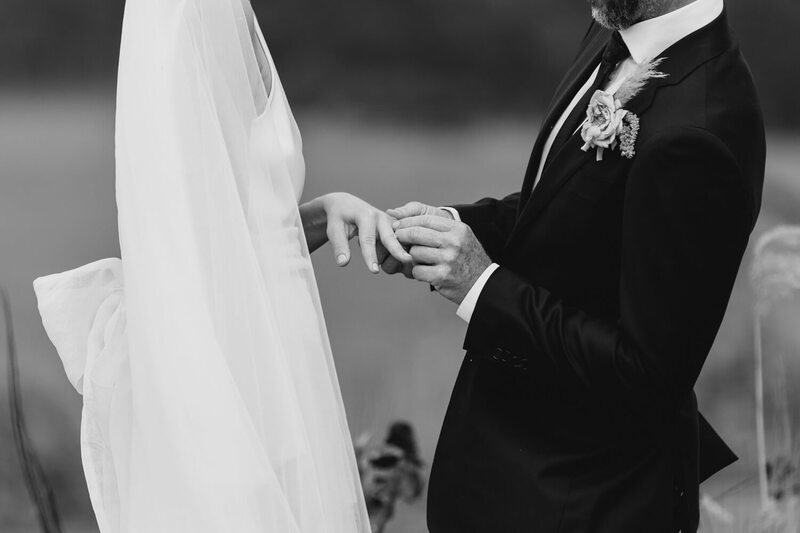 Unfortunately, time didn't permit. 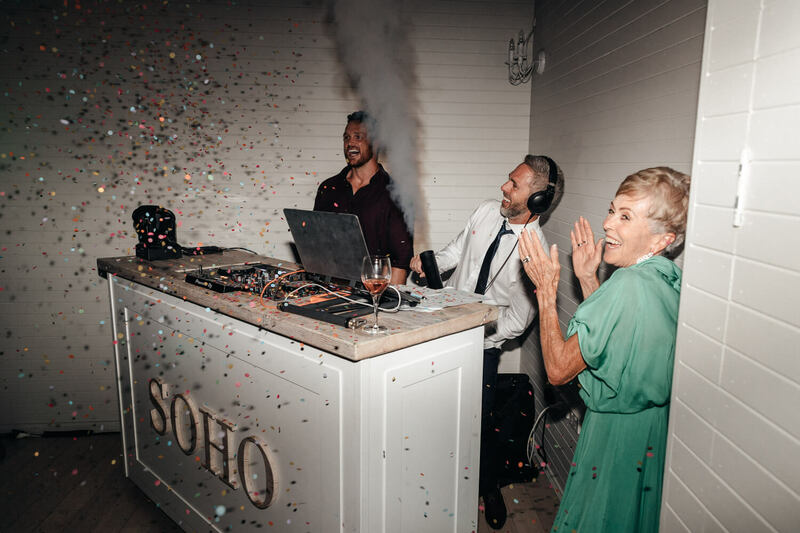 But when I heard the DJ's were going to give Jono a type of smoke/extinguisher to let off, I thought it would be the perfect opportunity to also involve some confetti. 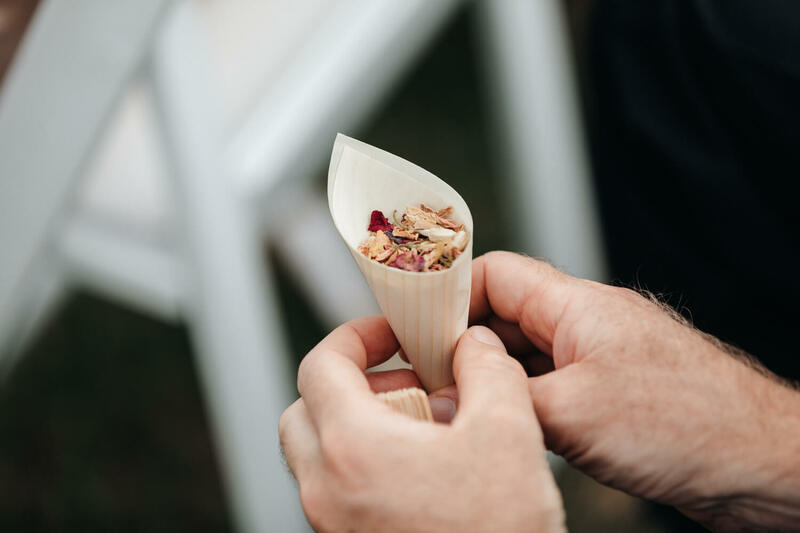 I handed it out to guests and waited for the moment to unfold. 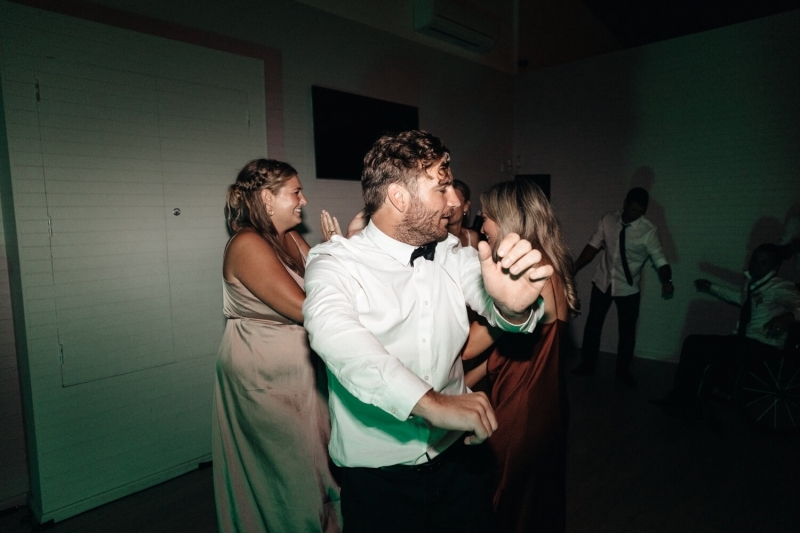 The resulting shot almost looks like it was taken of a festival headliner.